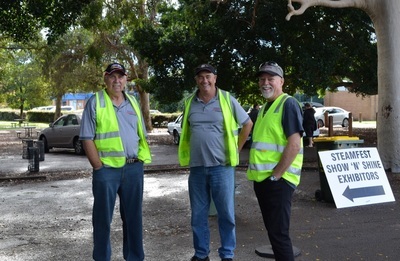 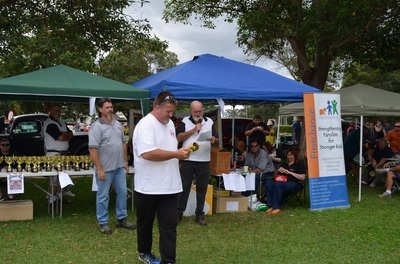 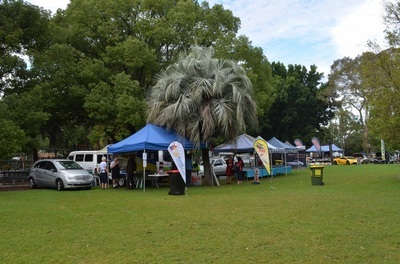 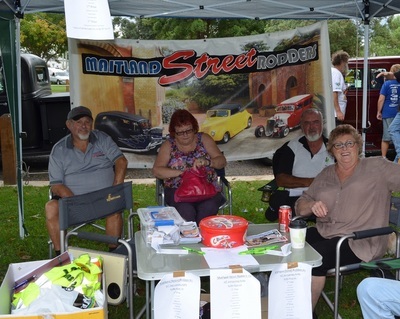 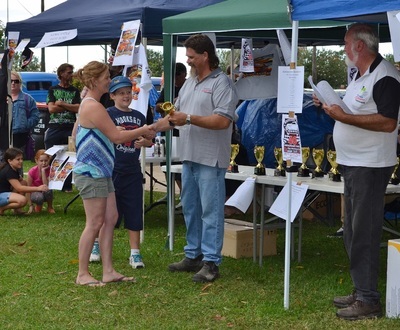 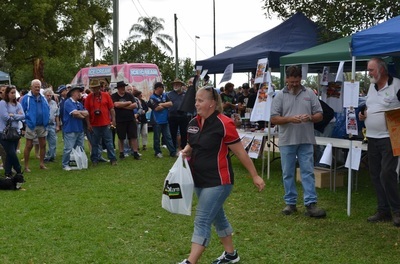 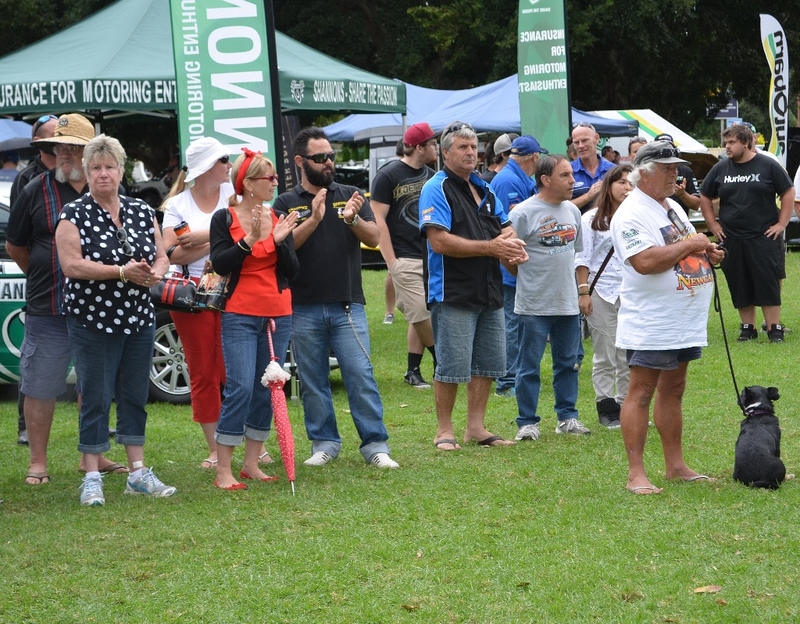 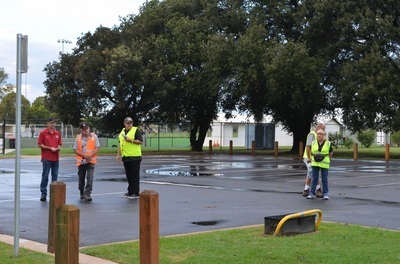 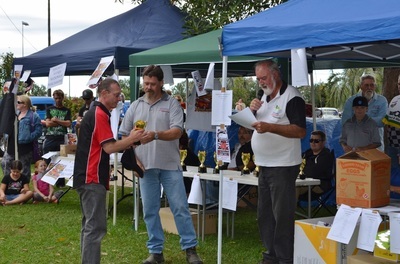 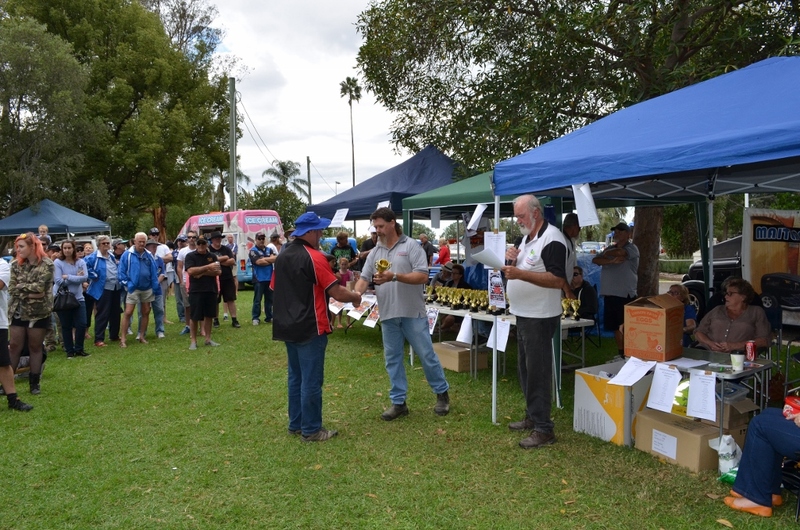 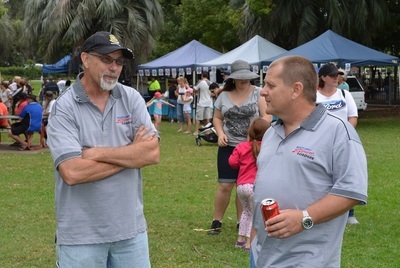 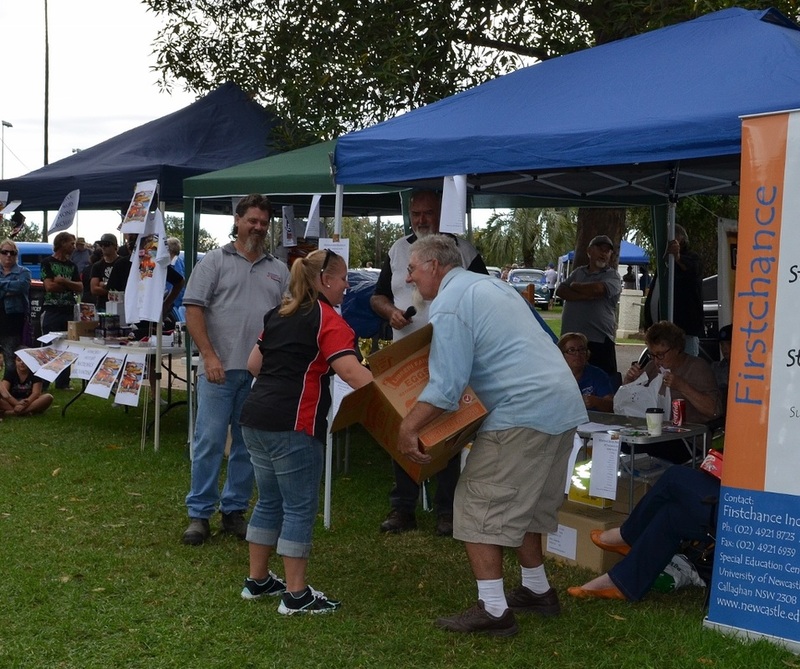 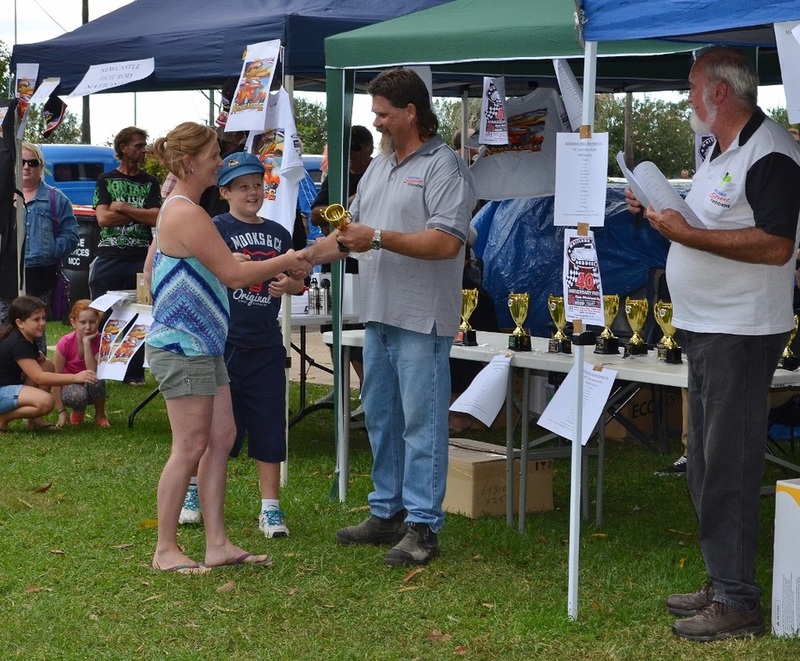 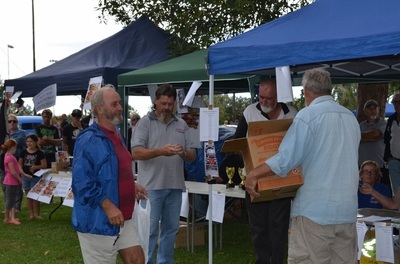 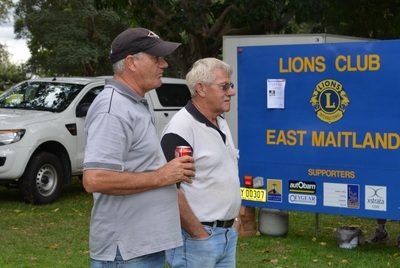 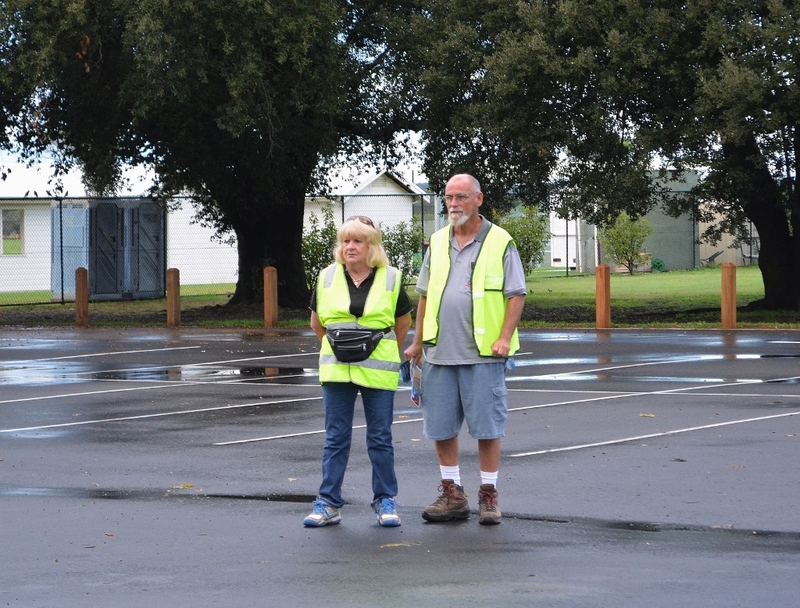 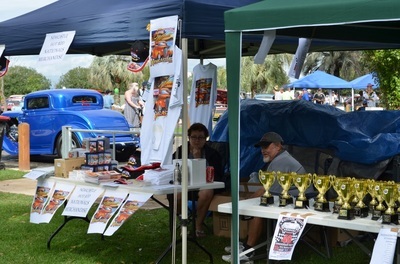 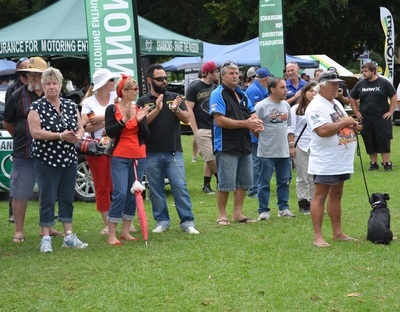 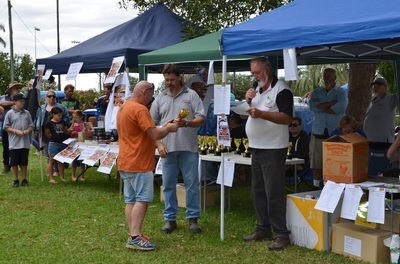 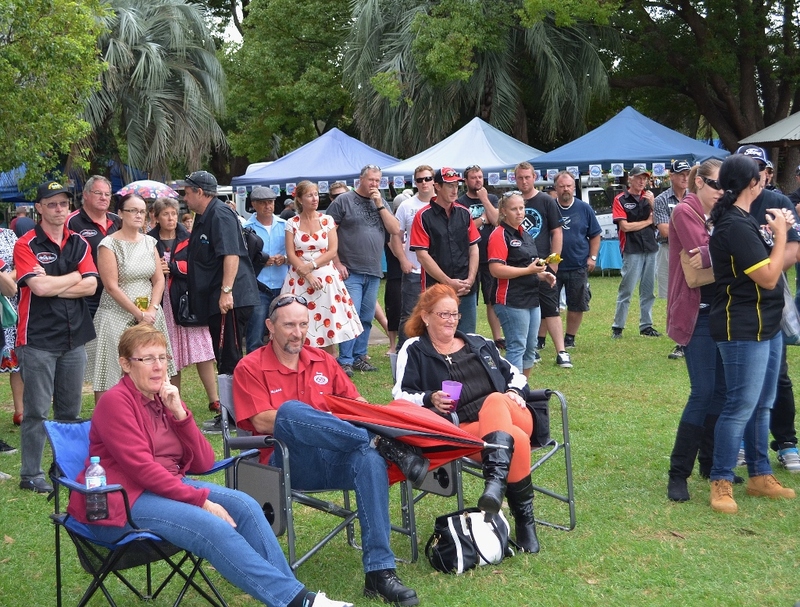 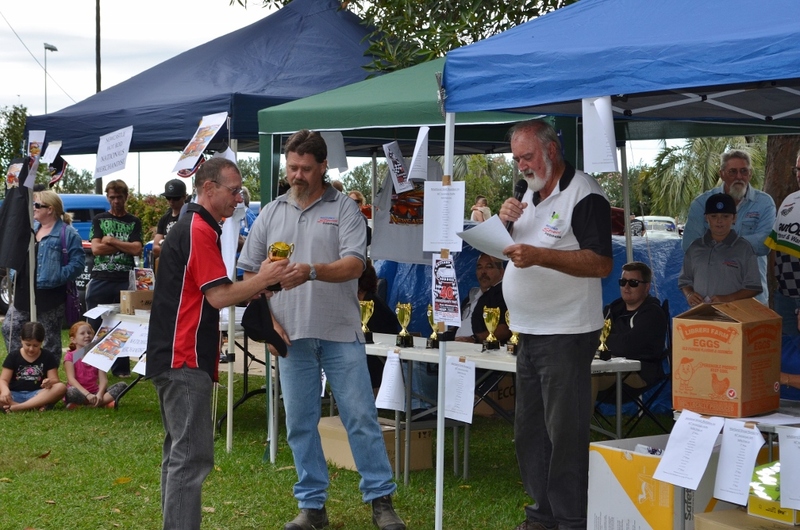 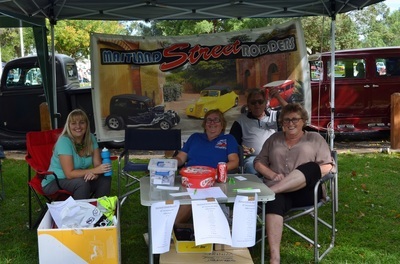 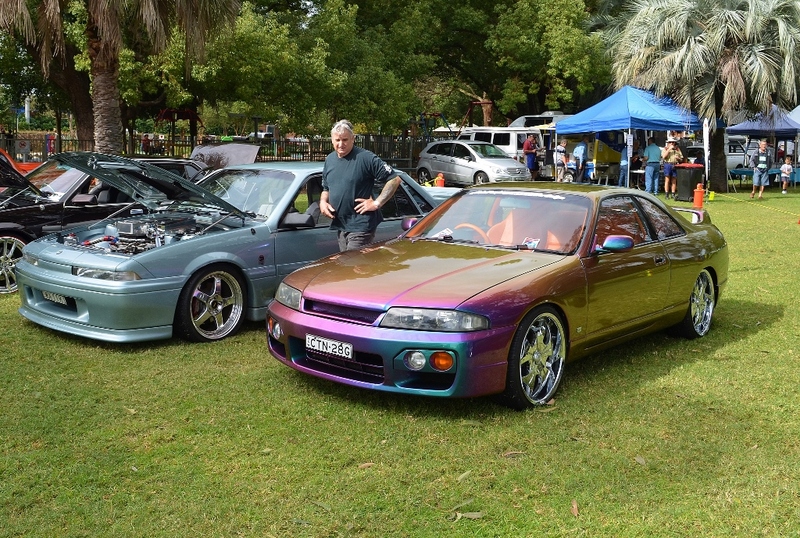 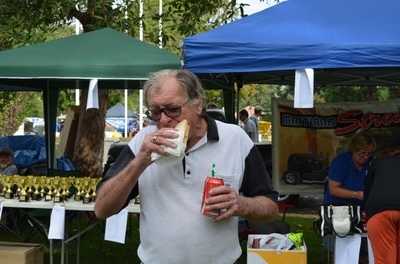 The number of entrants at Steamfest were well down on those of previous years due to terrible weather forecasts and a storm that started at 3 am and went for a couple of hours in Maitland but continued longer in other areas. For the 300 that did venture out it was worth the effort, a fine day, a good crowd and at presentation time we had more watching than any other year in the past. 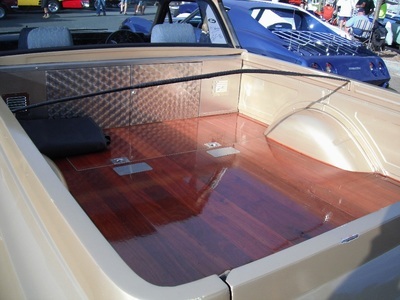 Thanks go to Autobarn who supply all the lucky entrants prizes and are the major sponsor of the event. 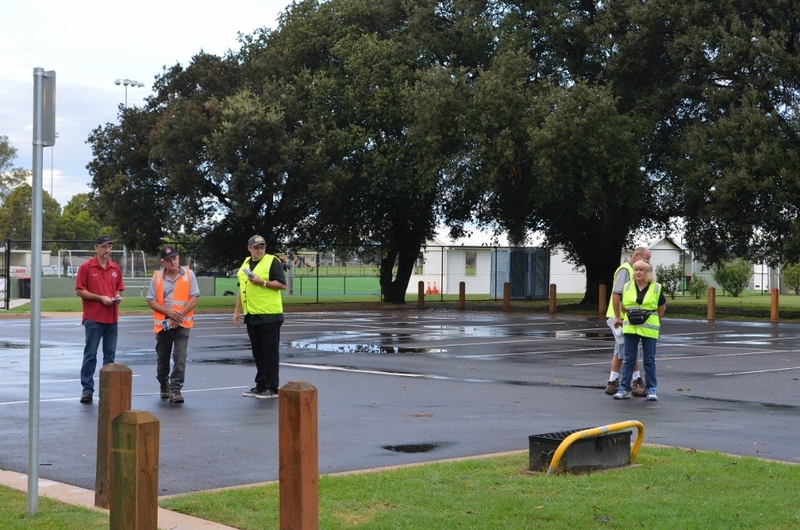 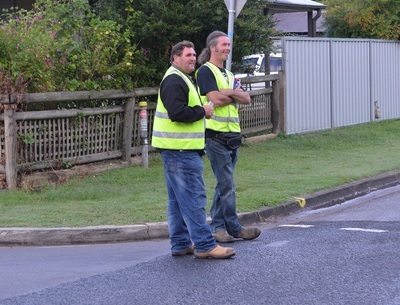 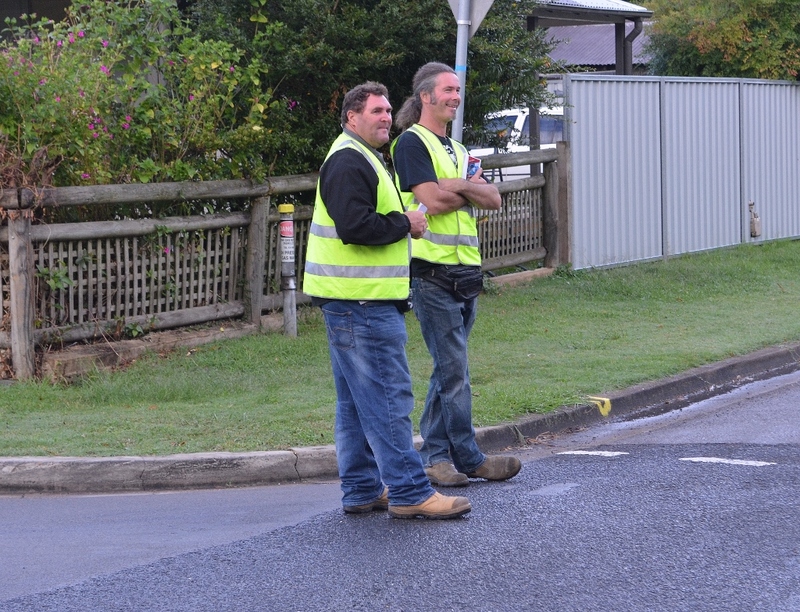 It was also great to see the majority of our members there on the day helping. 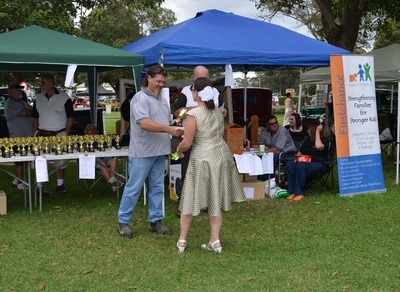 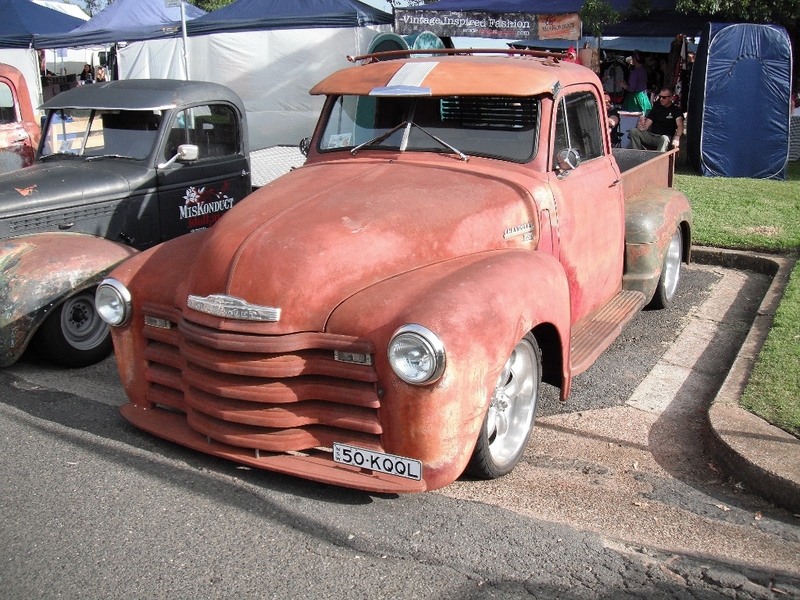 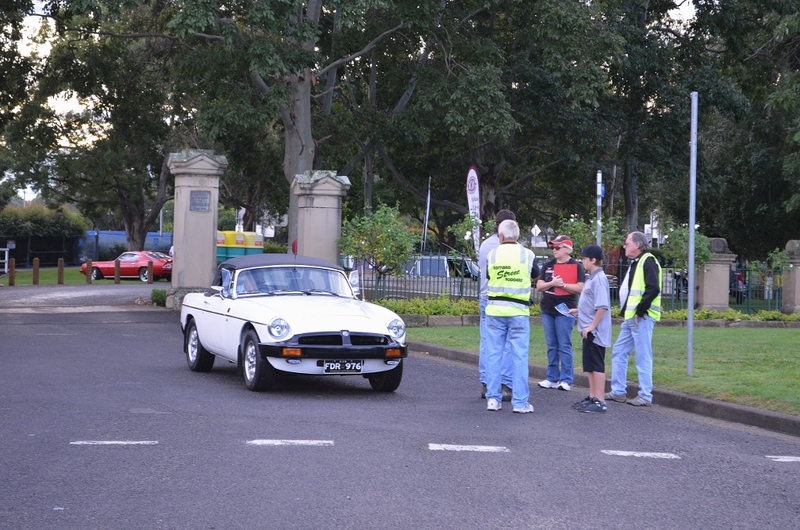 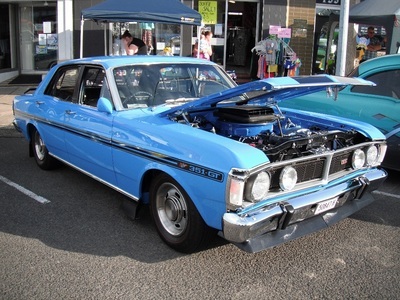 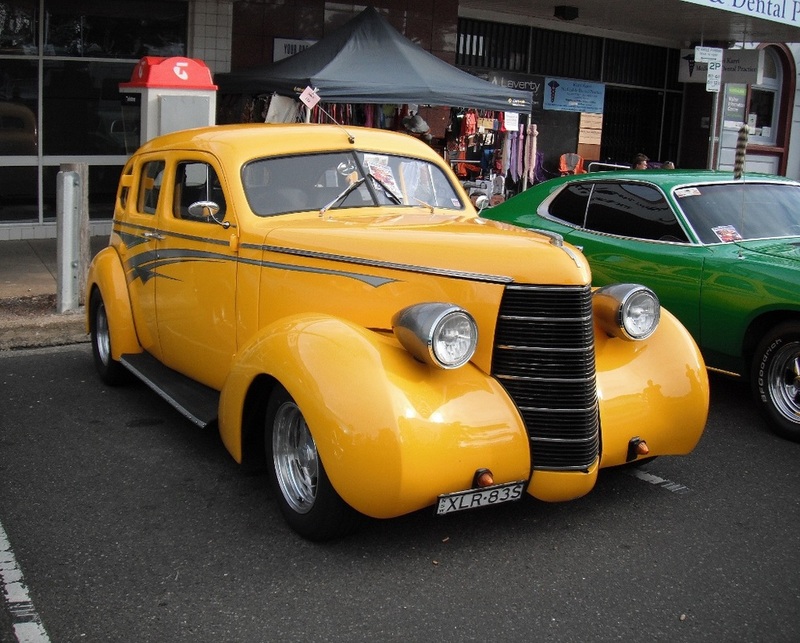 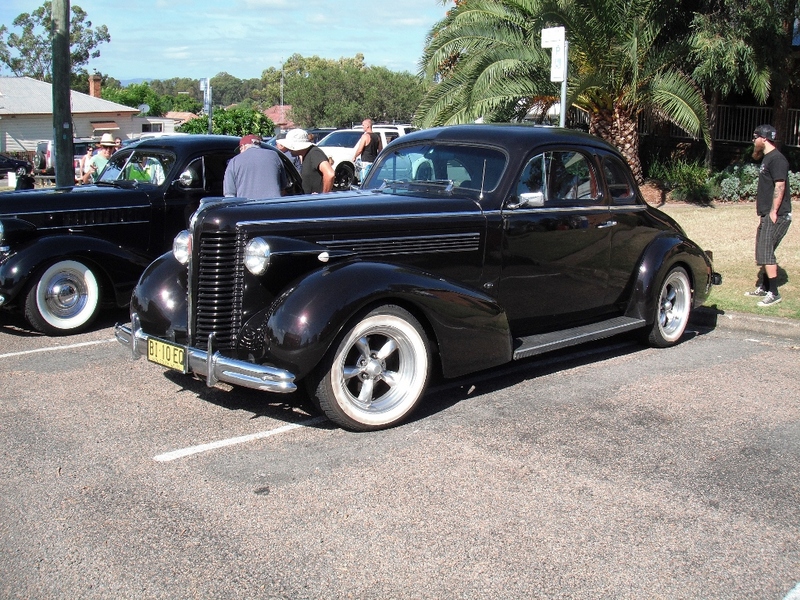 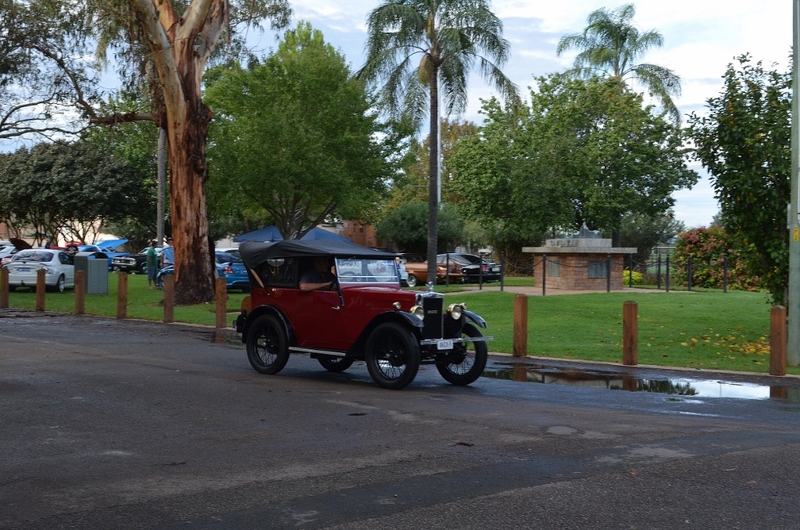 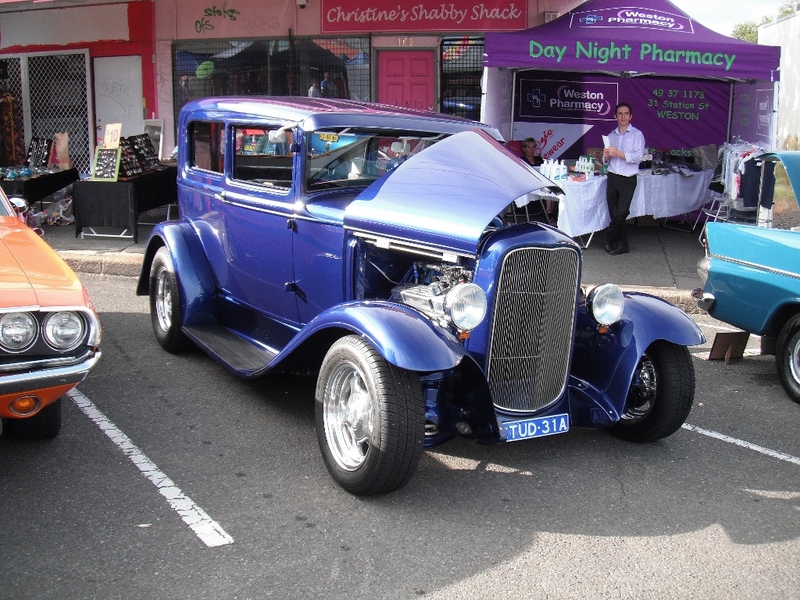 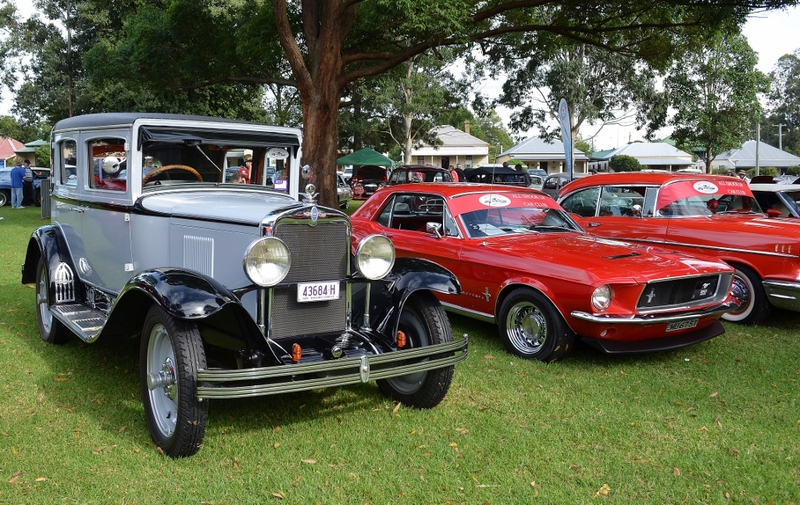 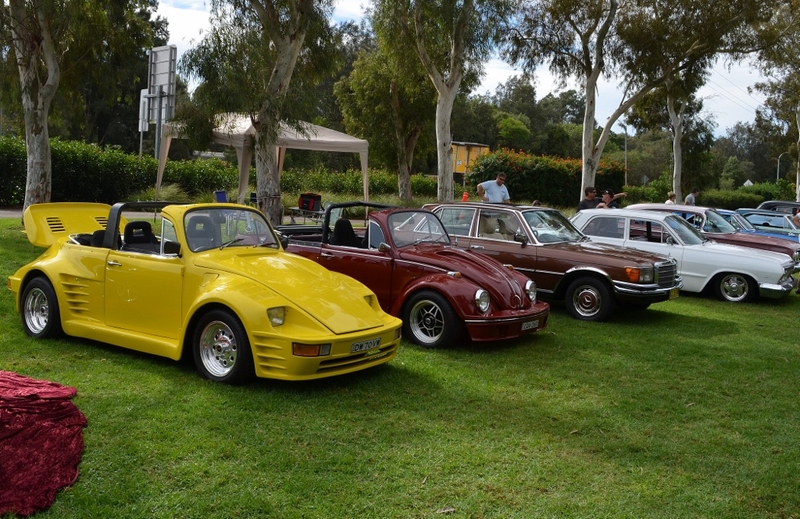 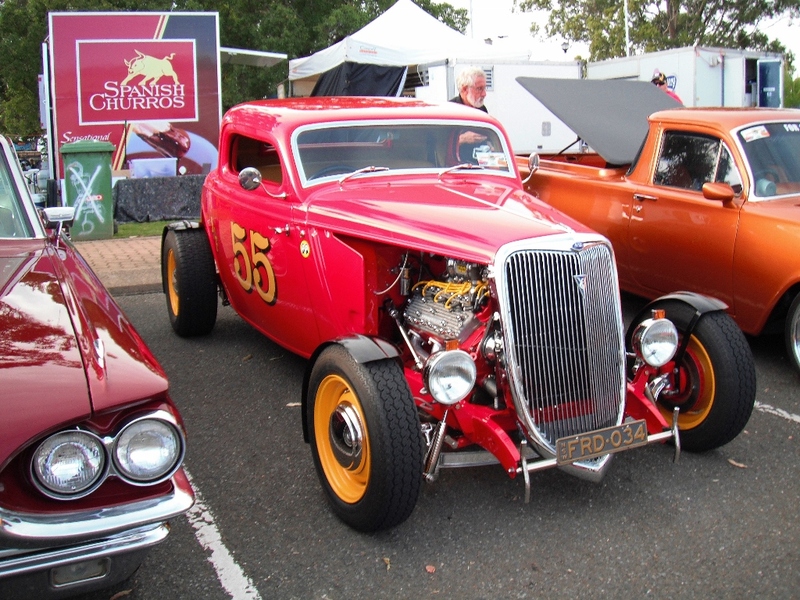 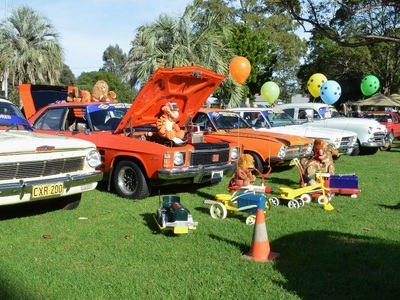 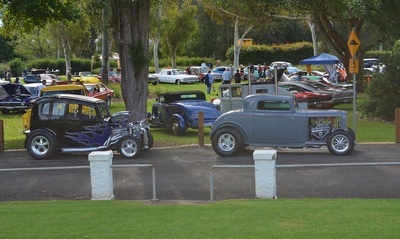 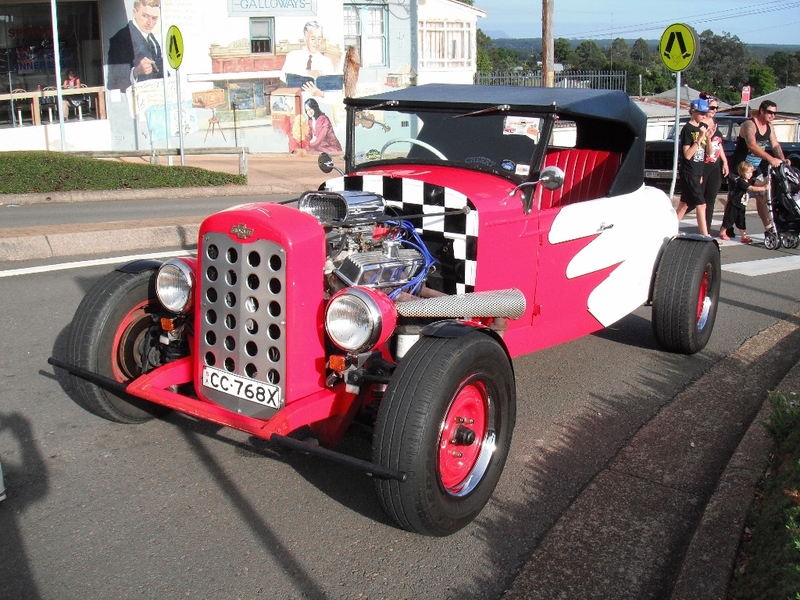 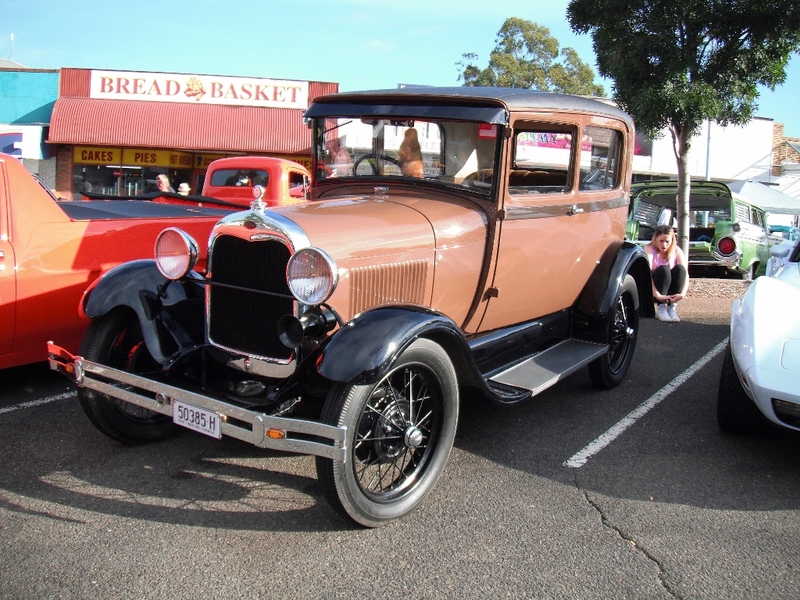 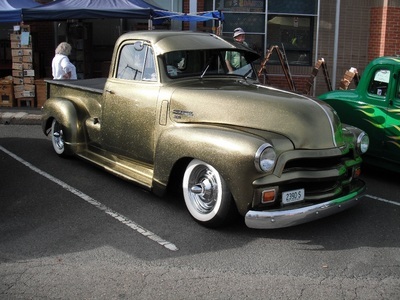 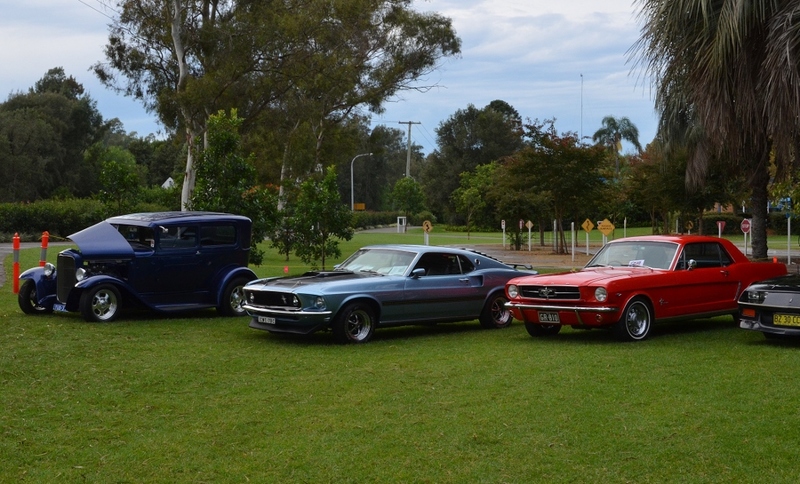 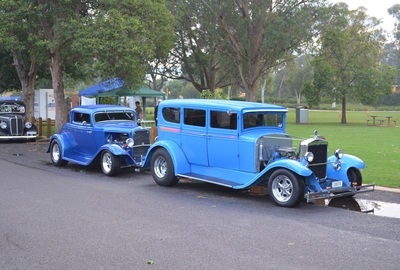 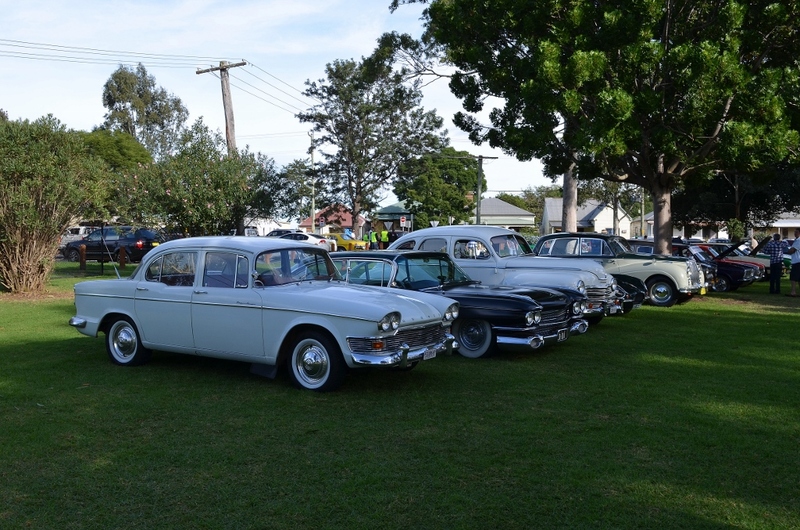 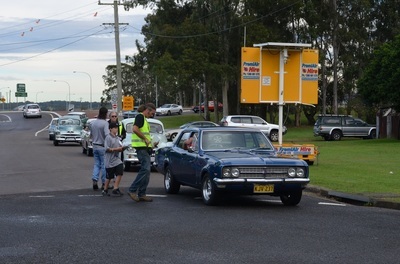 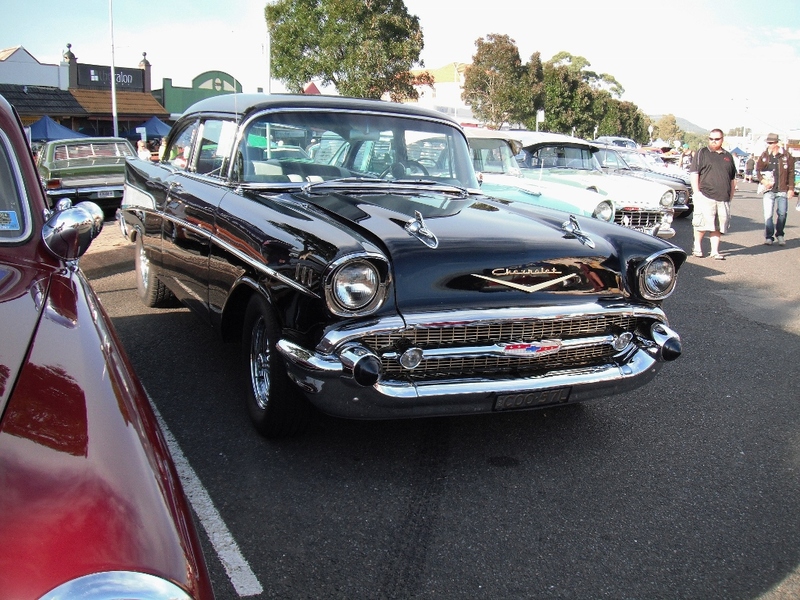 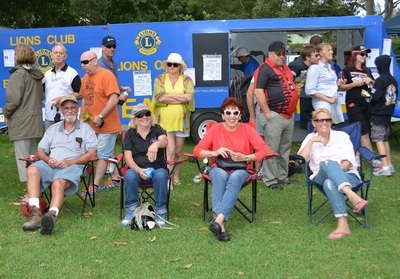 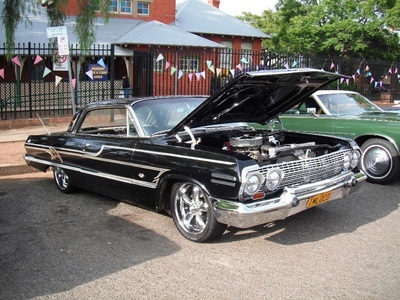 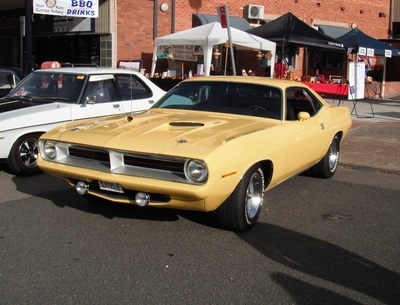 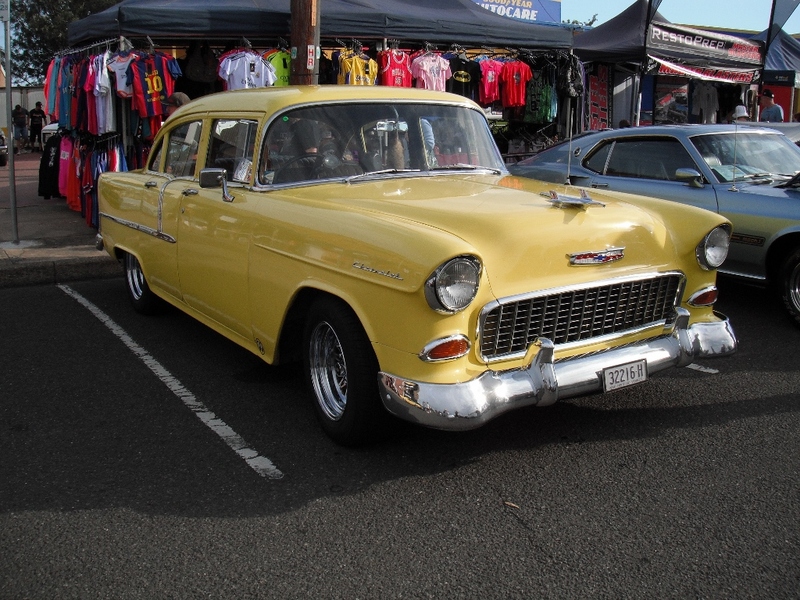 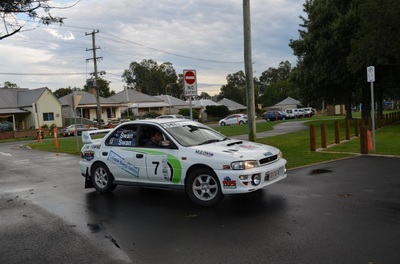 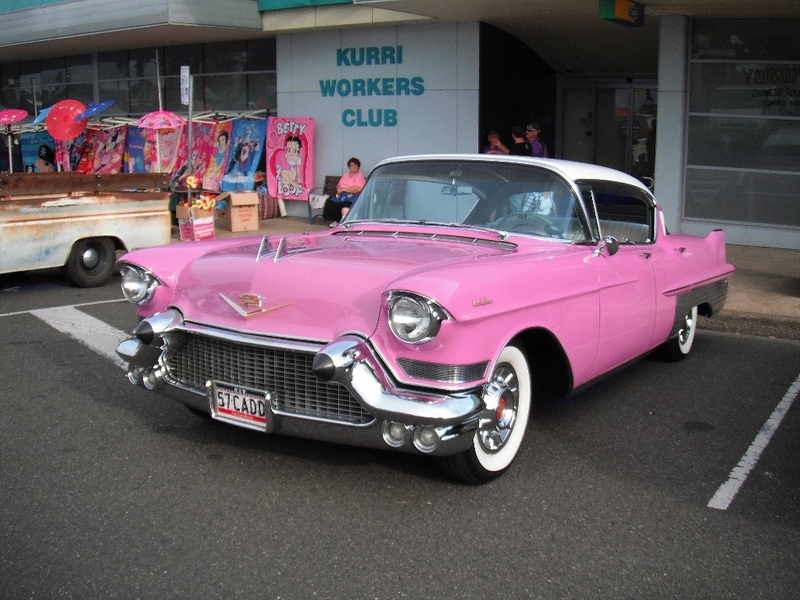 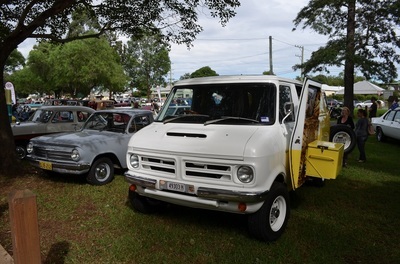 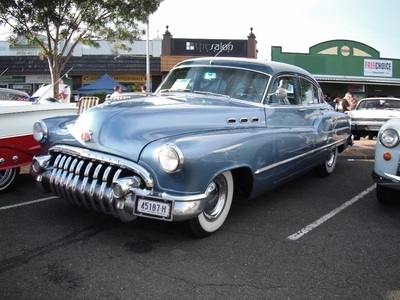 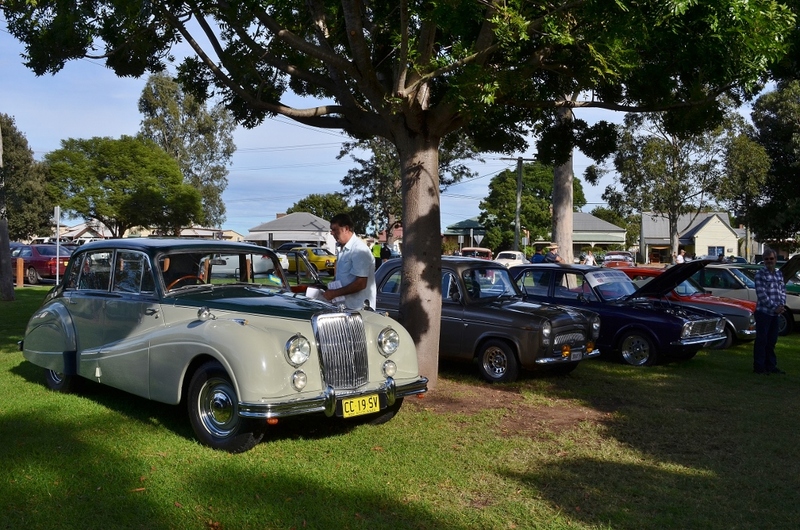 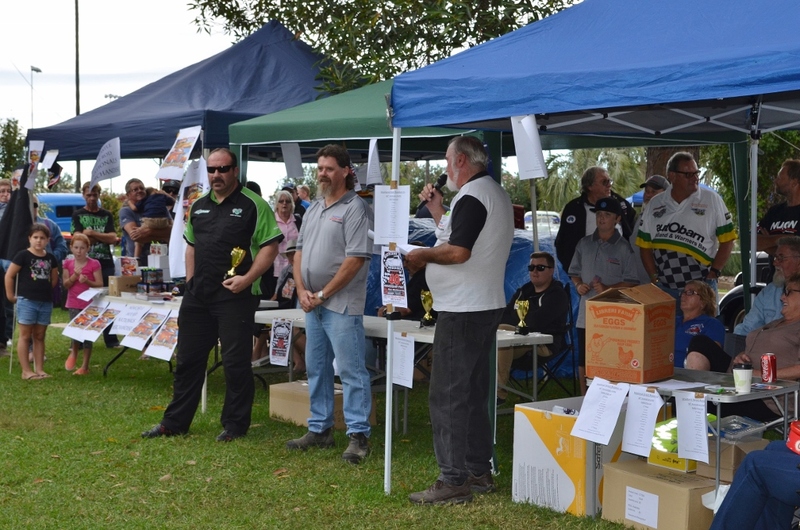 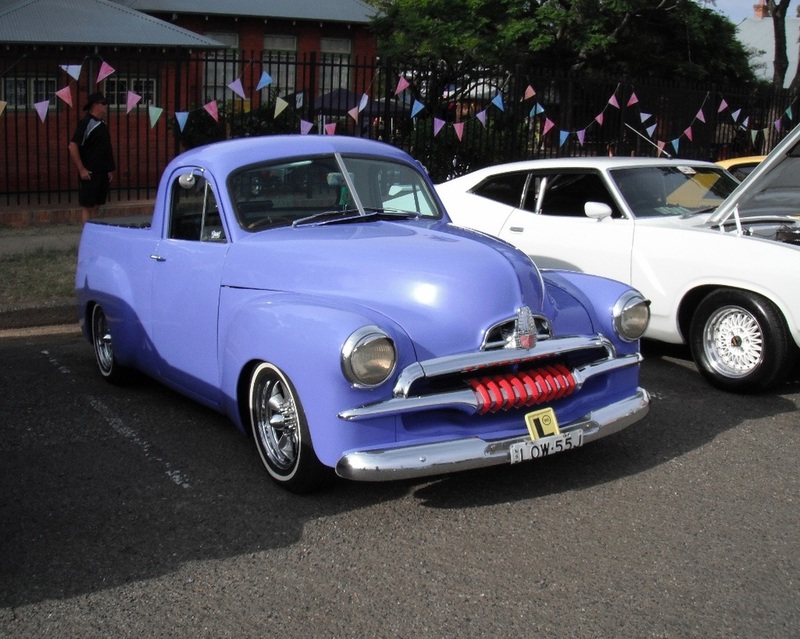 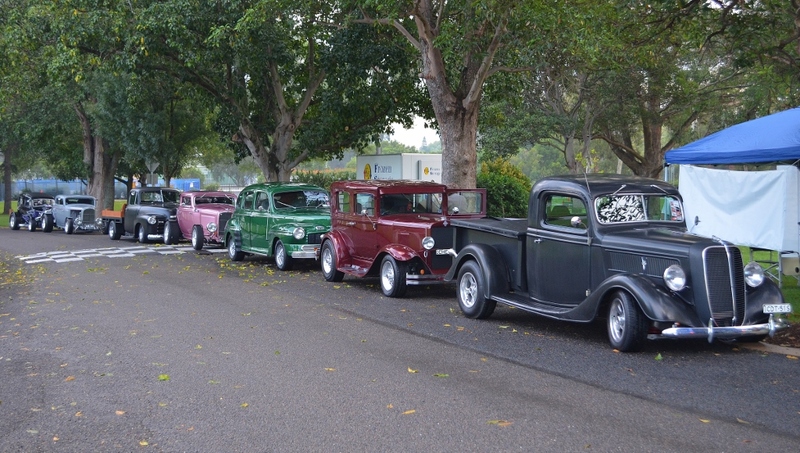 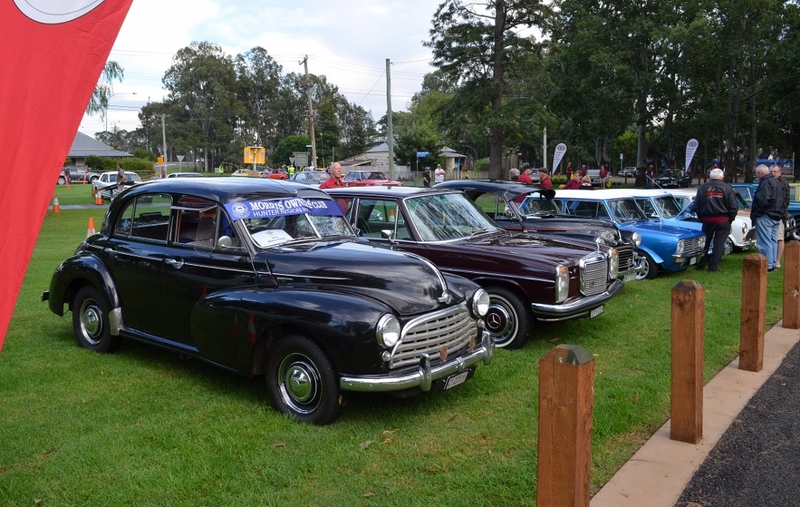 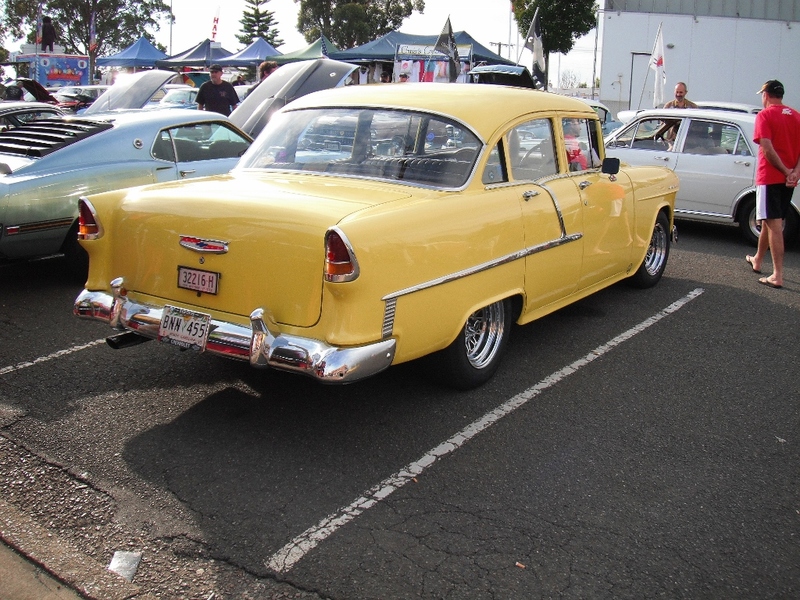 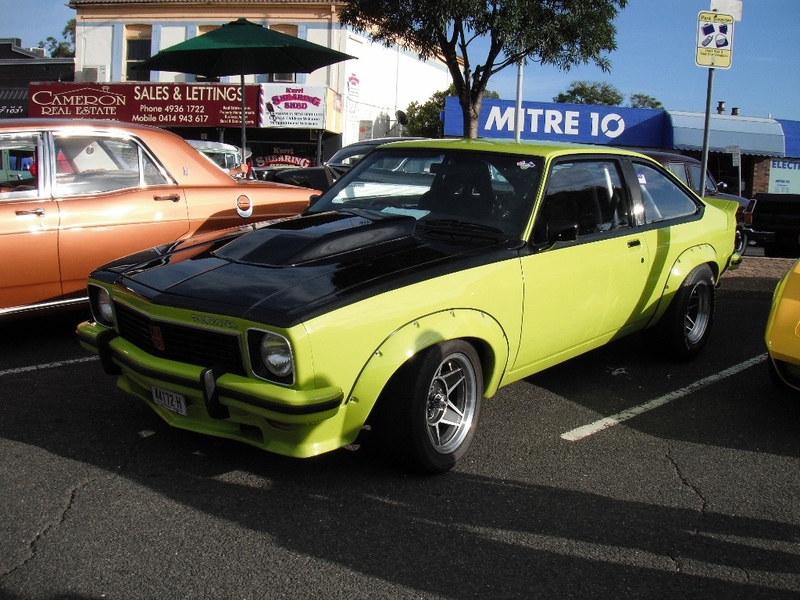 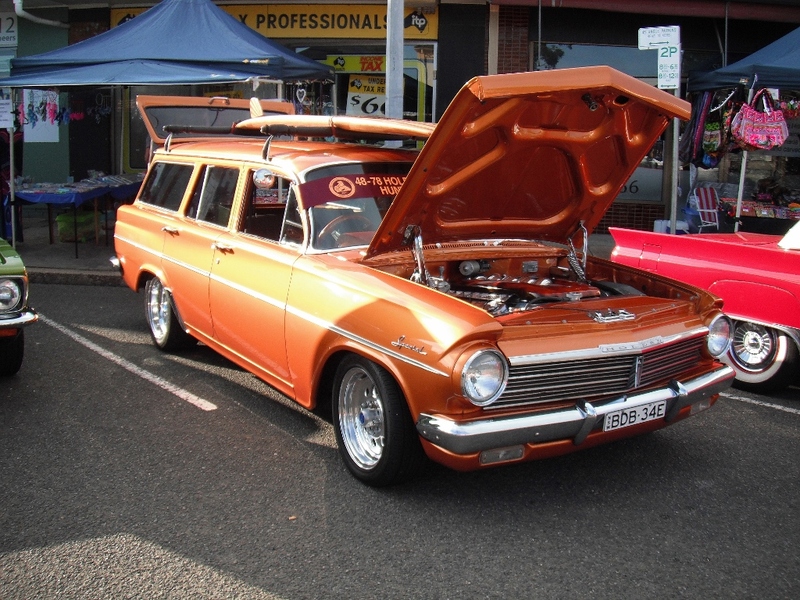 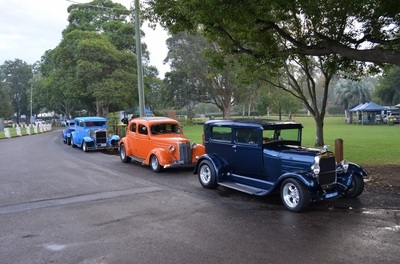 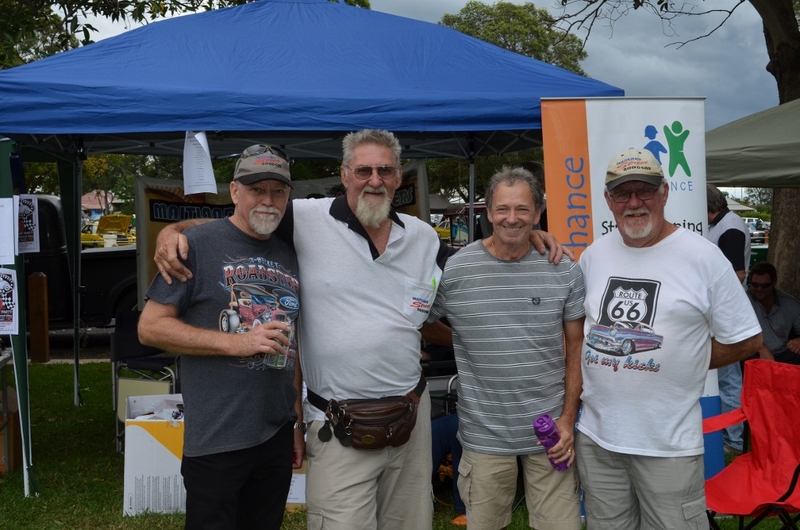 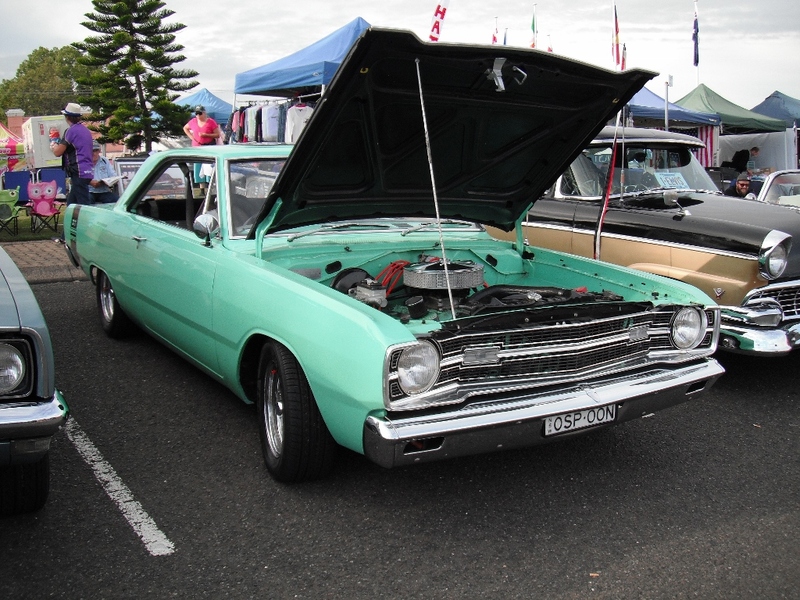 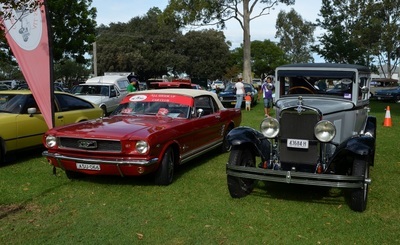 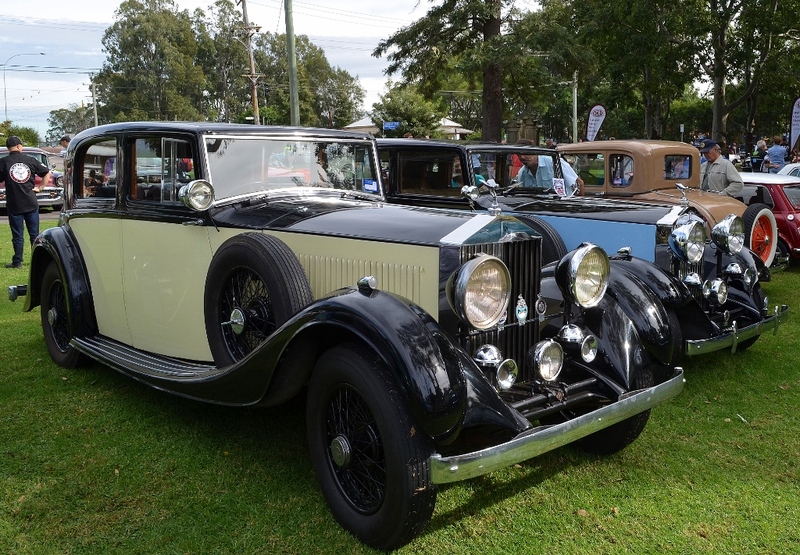 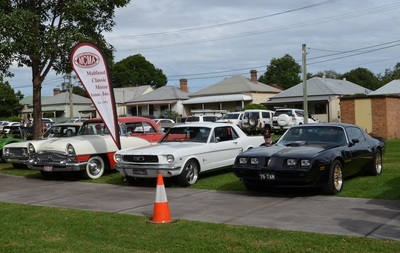 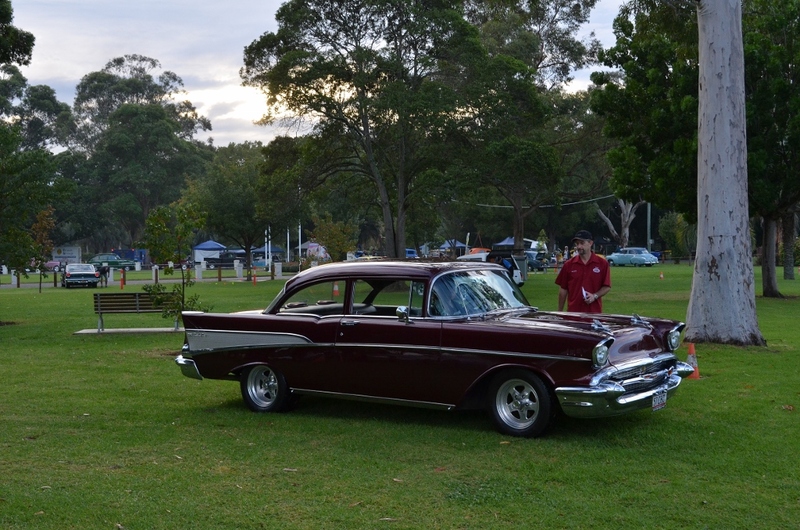 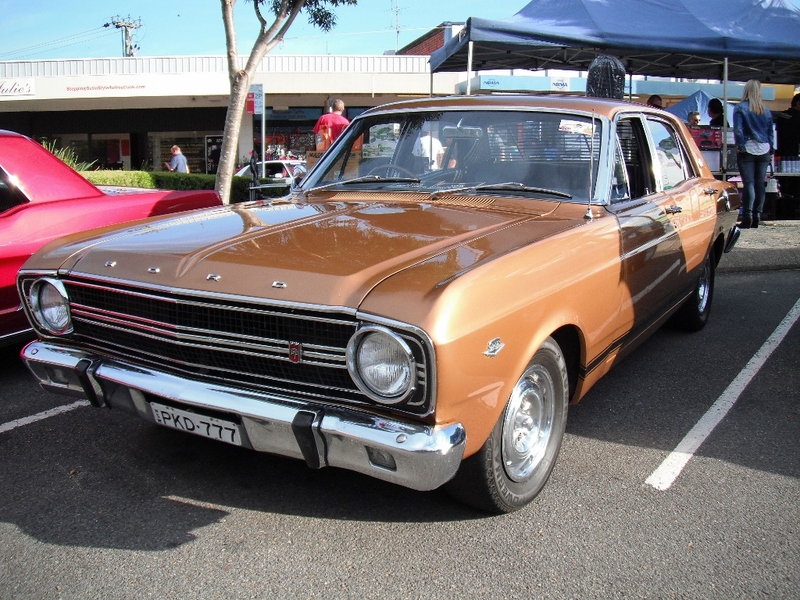 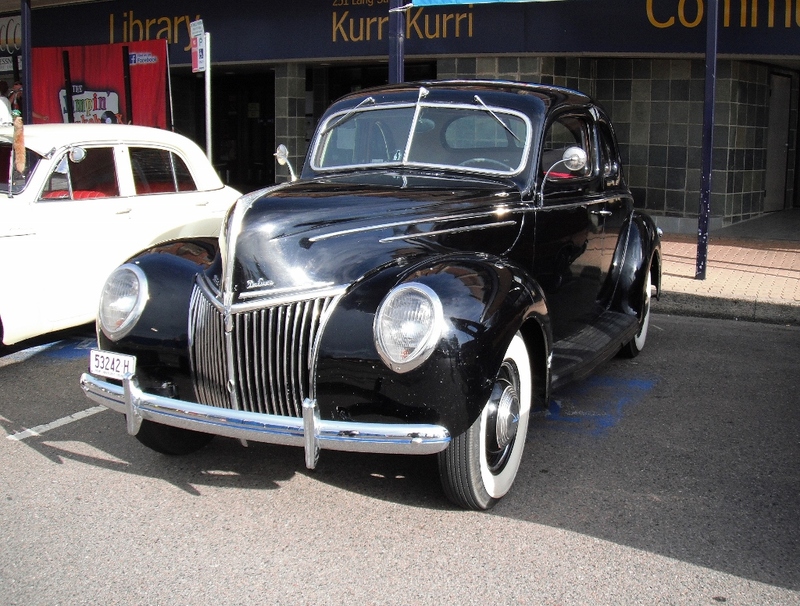 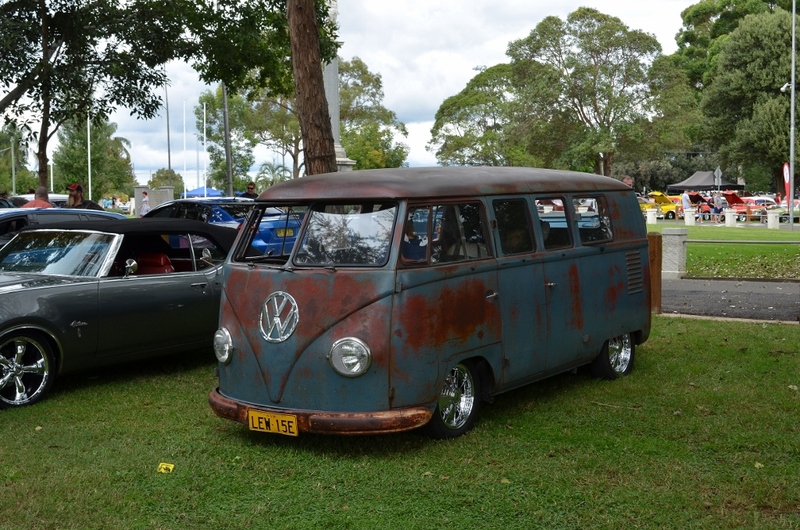 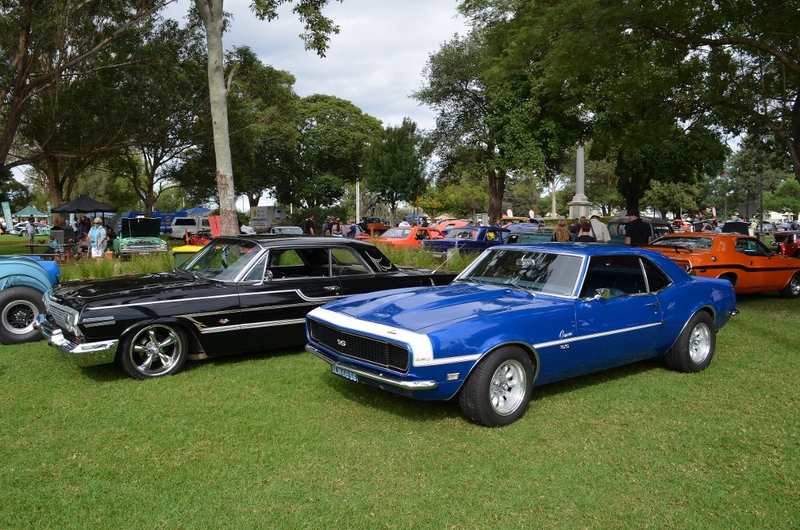 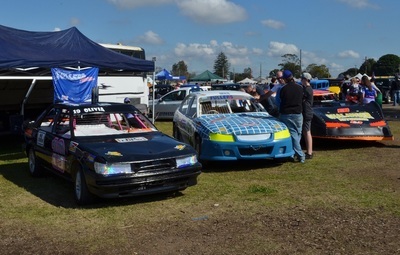 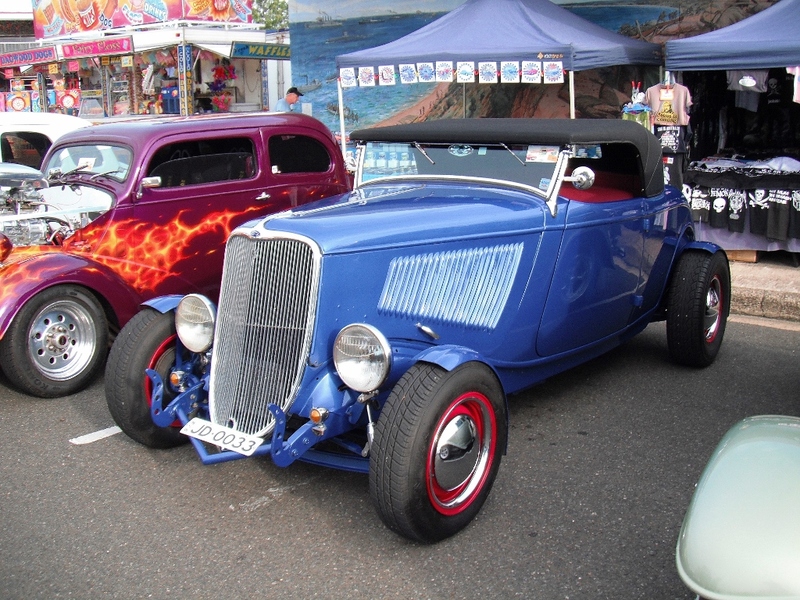 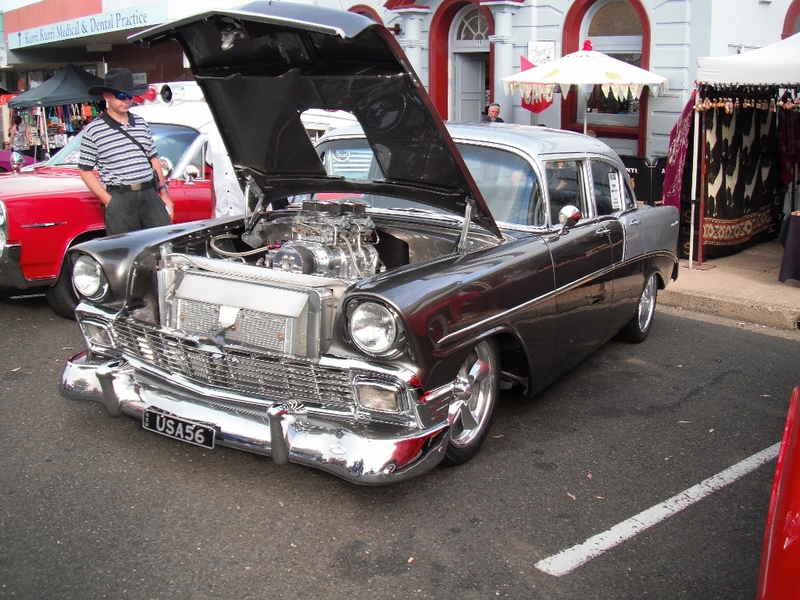 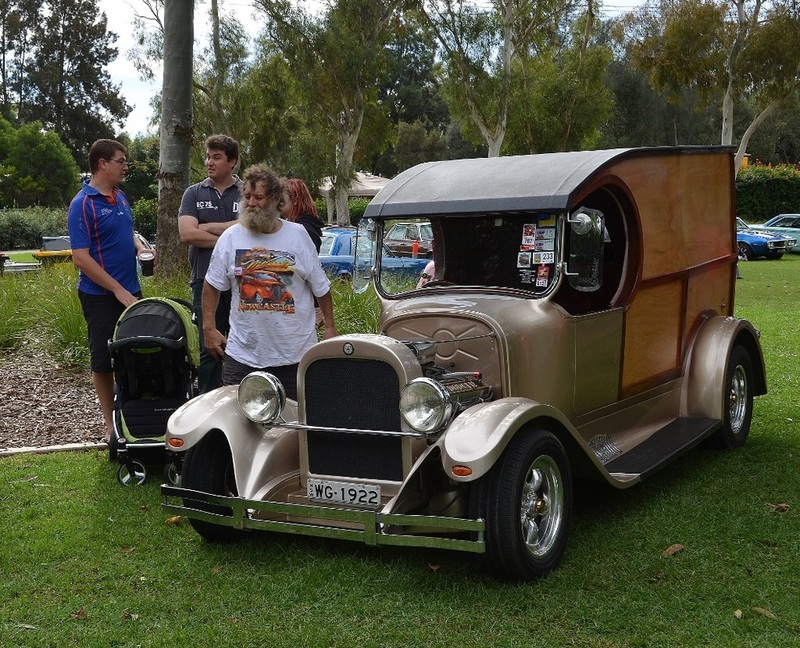 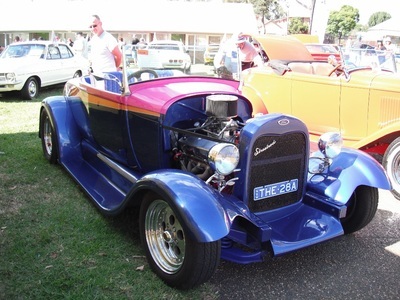 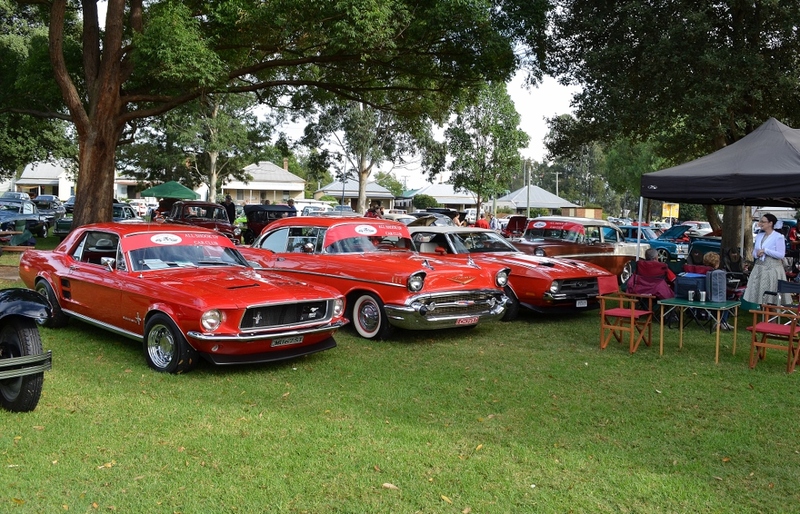 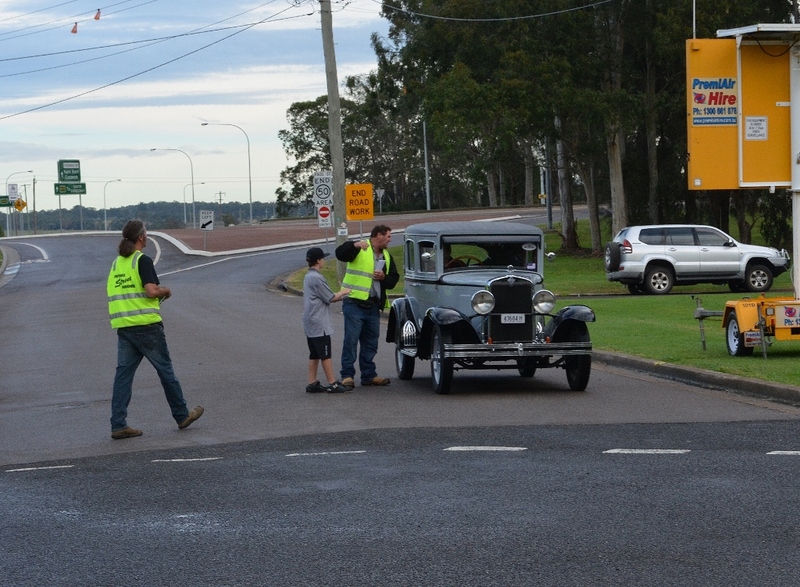 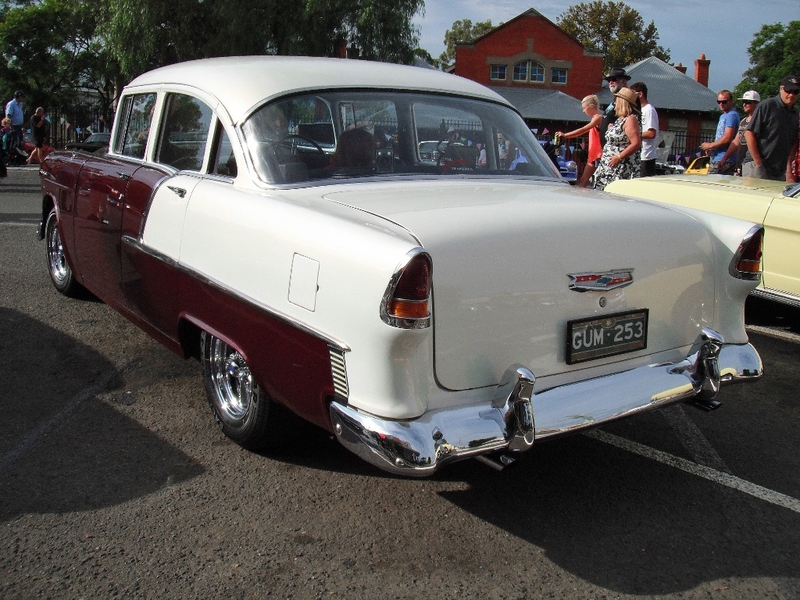 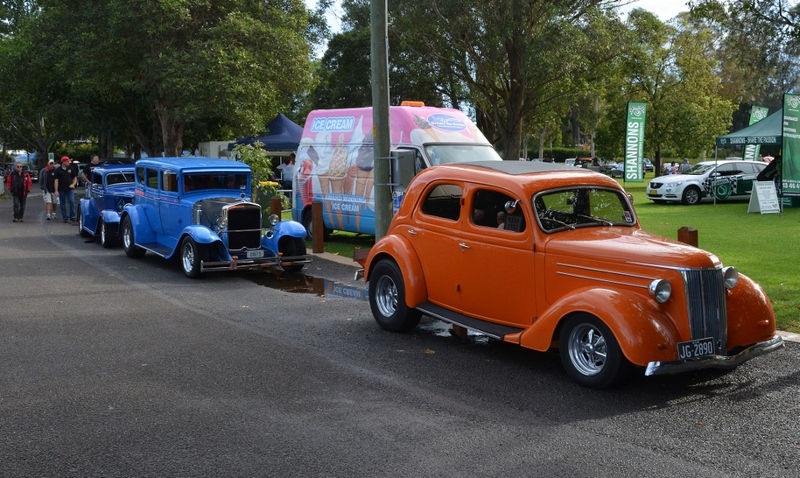 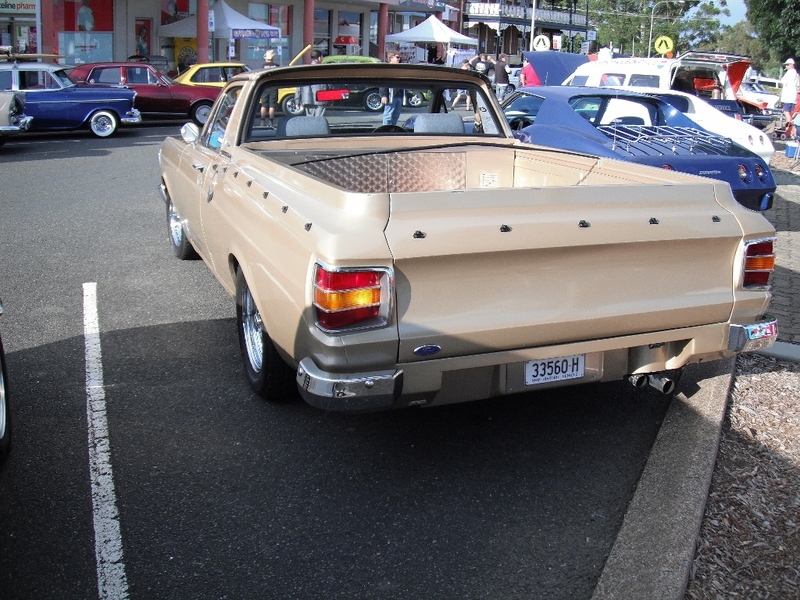 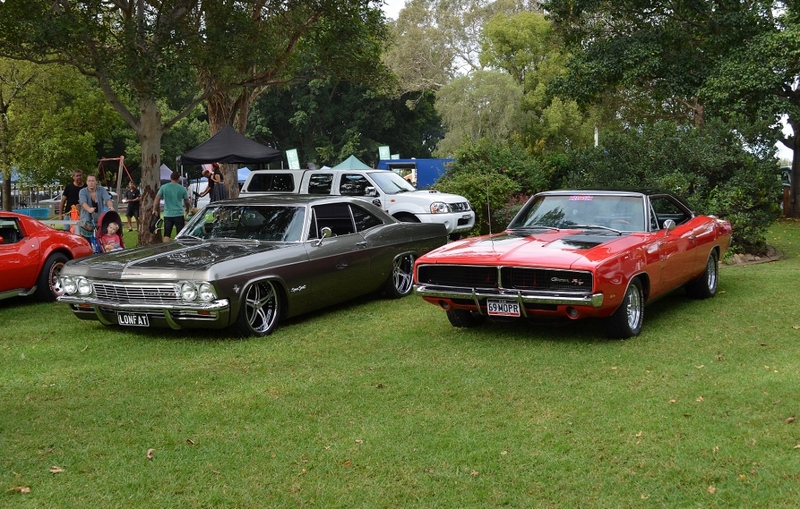 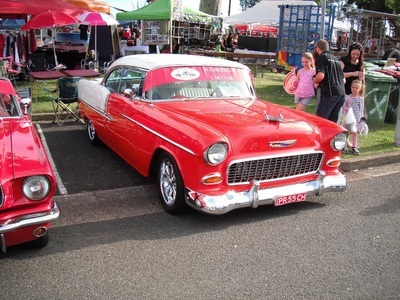 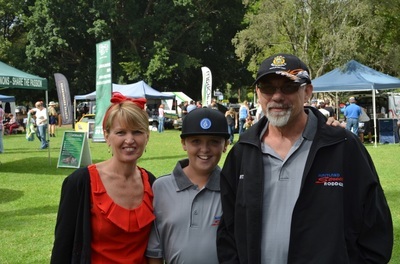 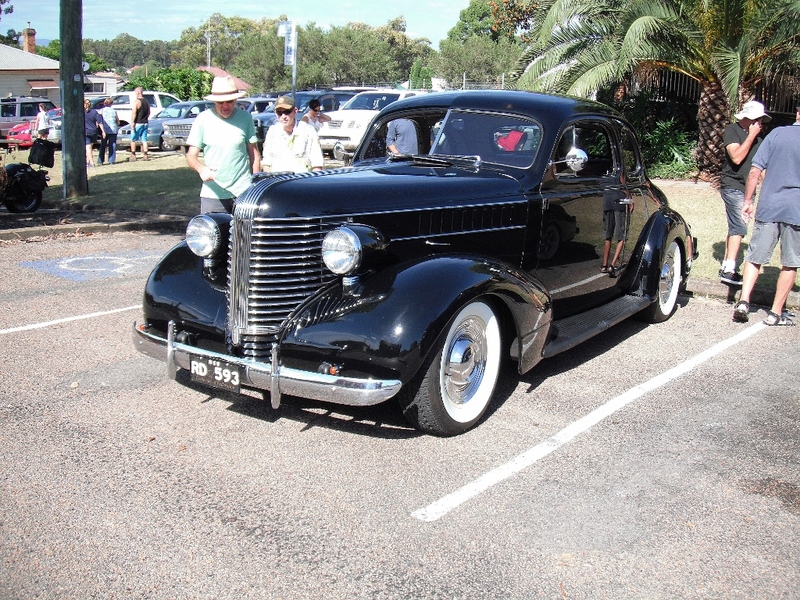 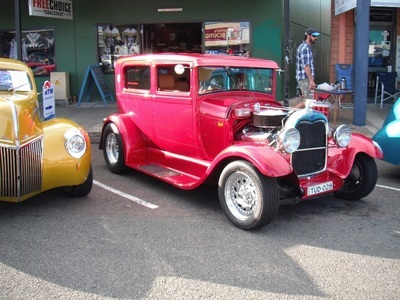 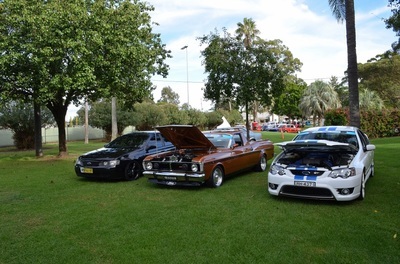 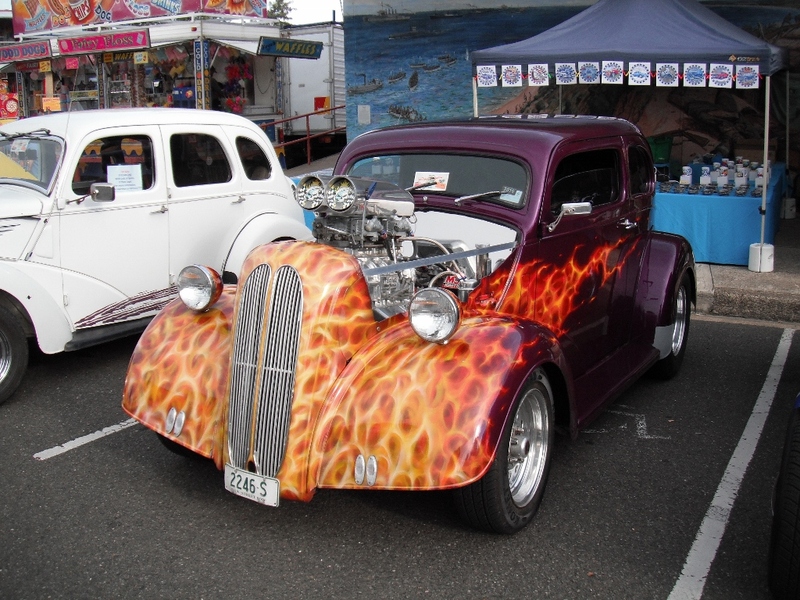 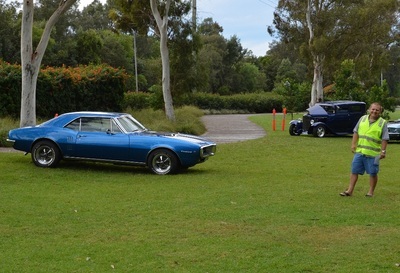 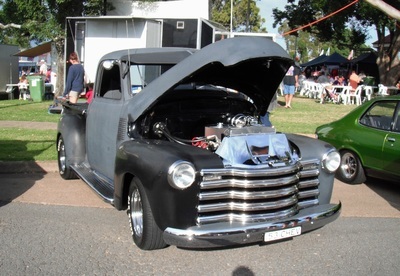 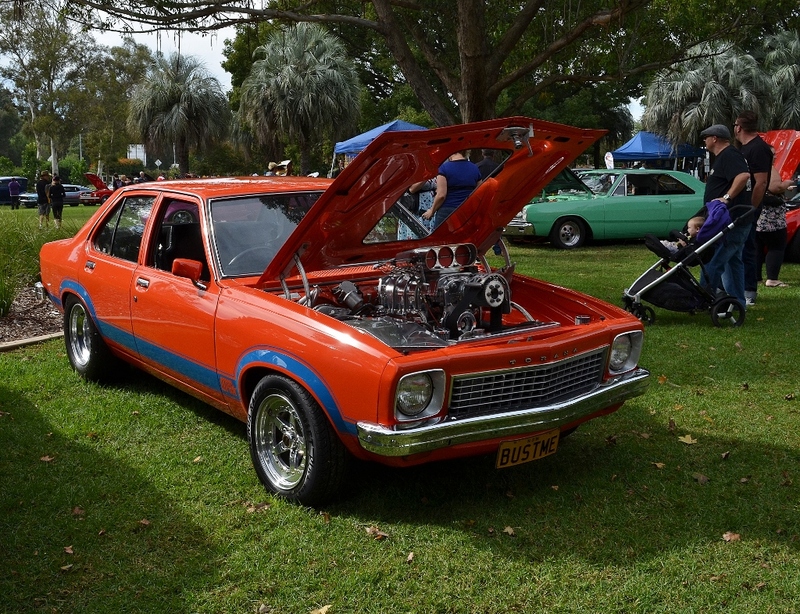 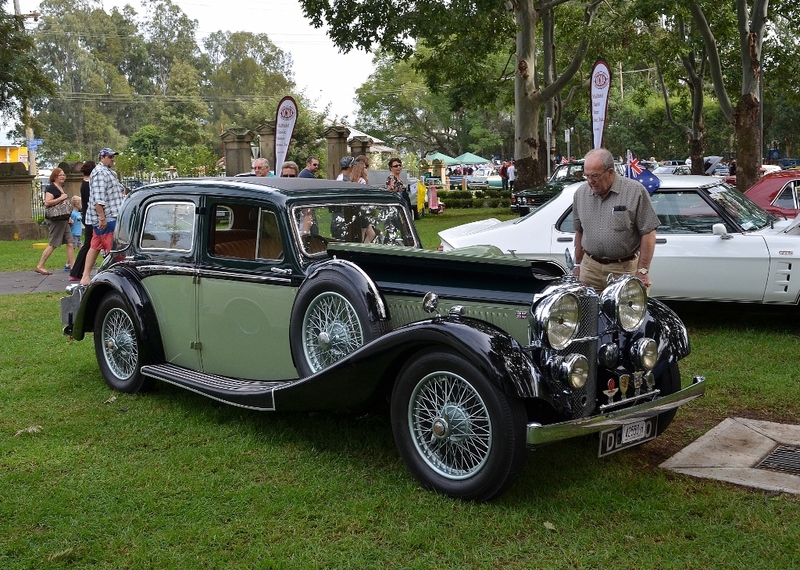 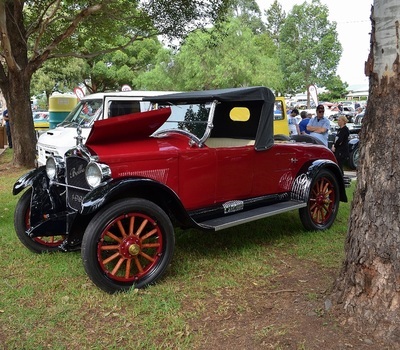 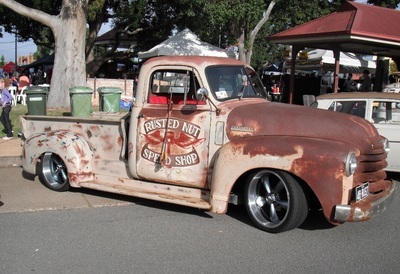 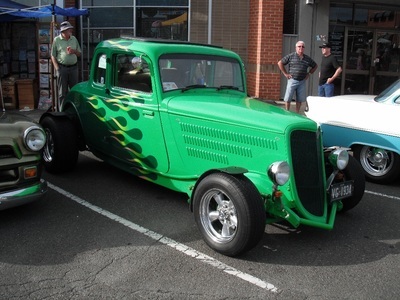 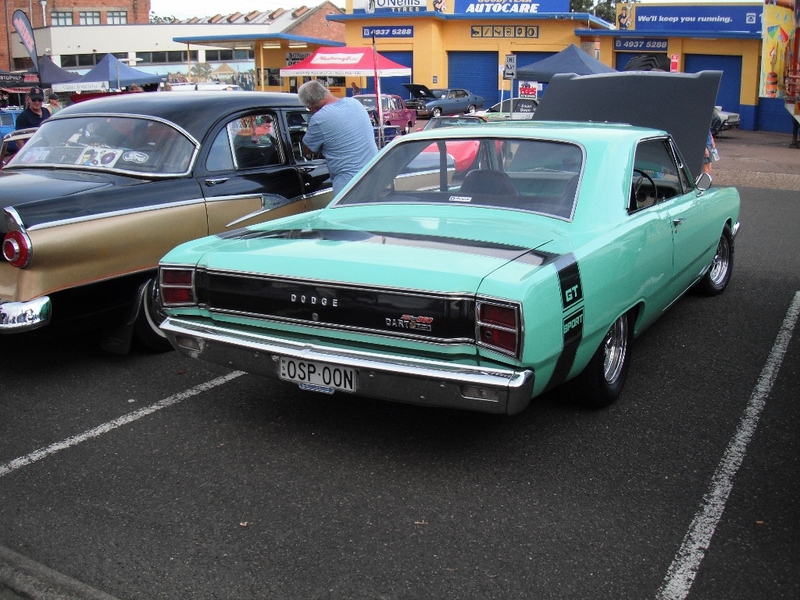 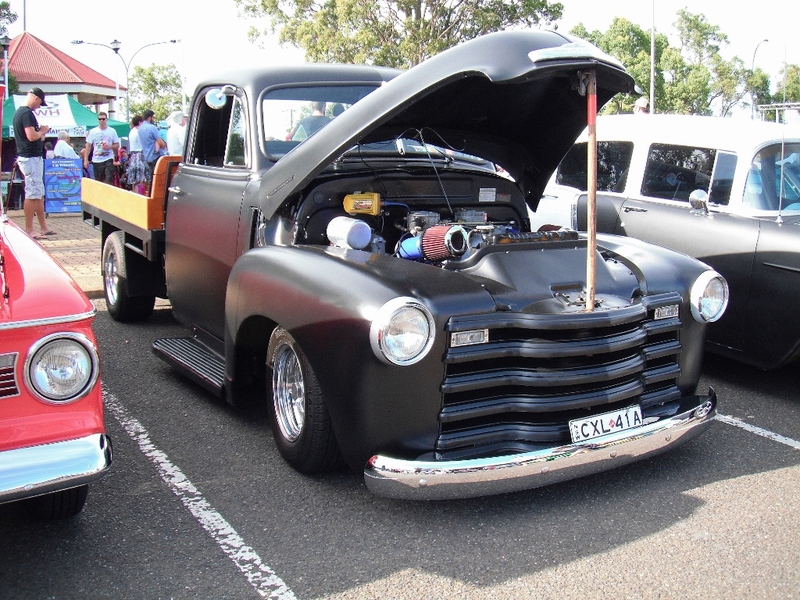 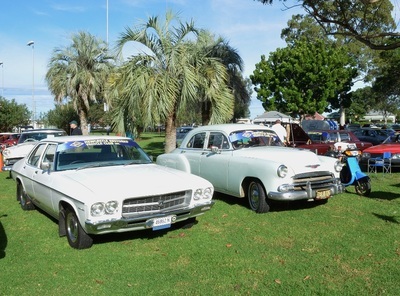 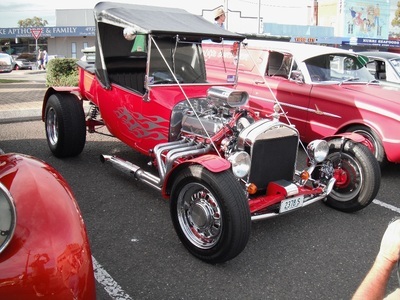 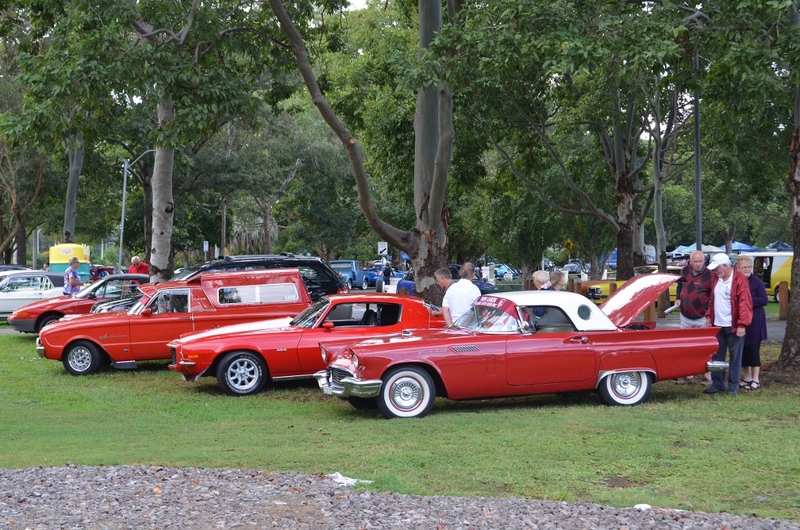 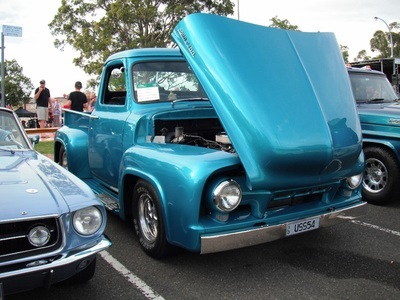 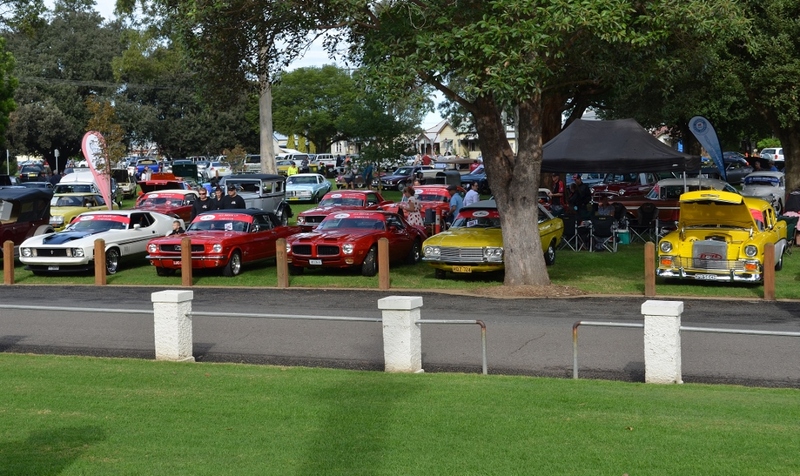 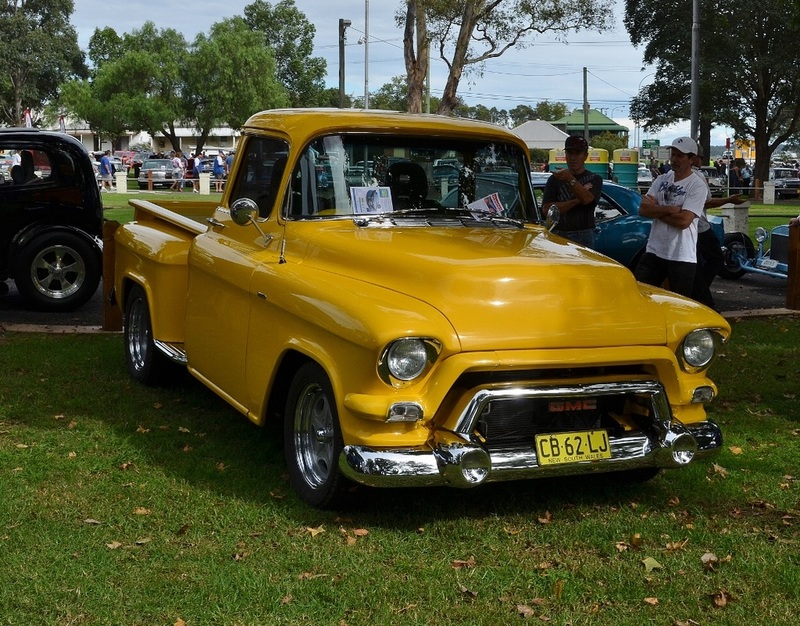 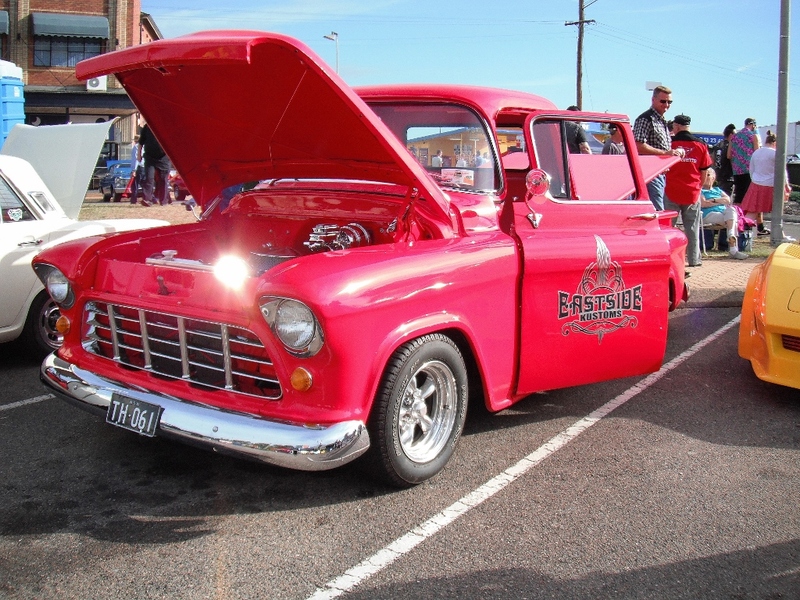 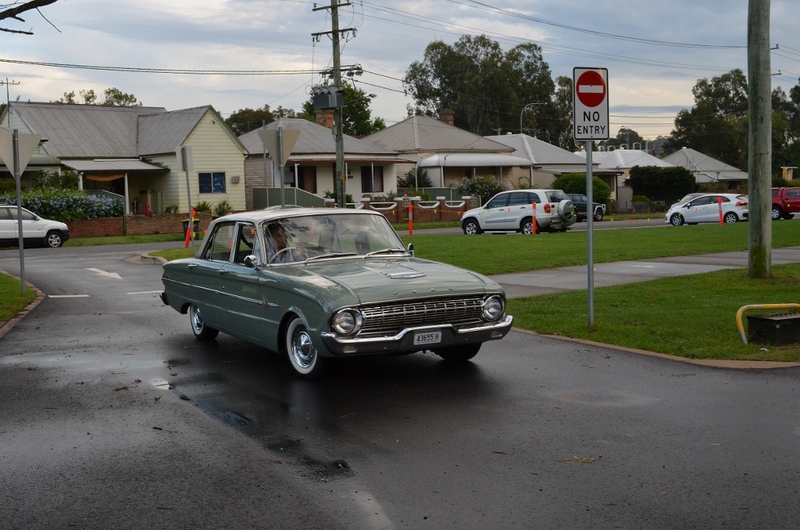 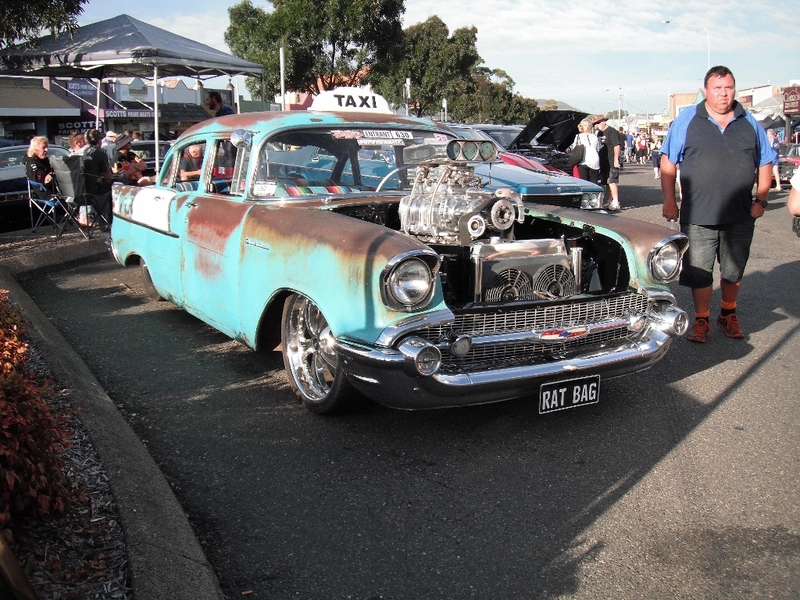 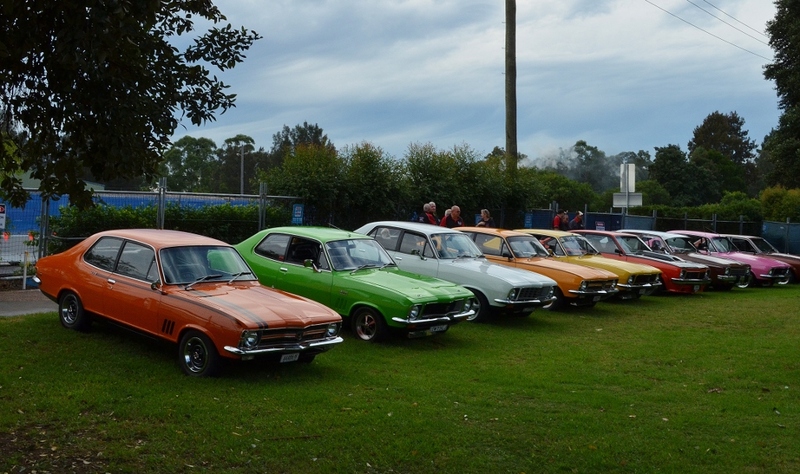 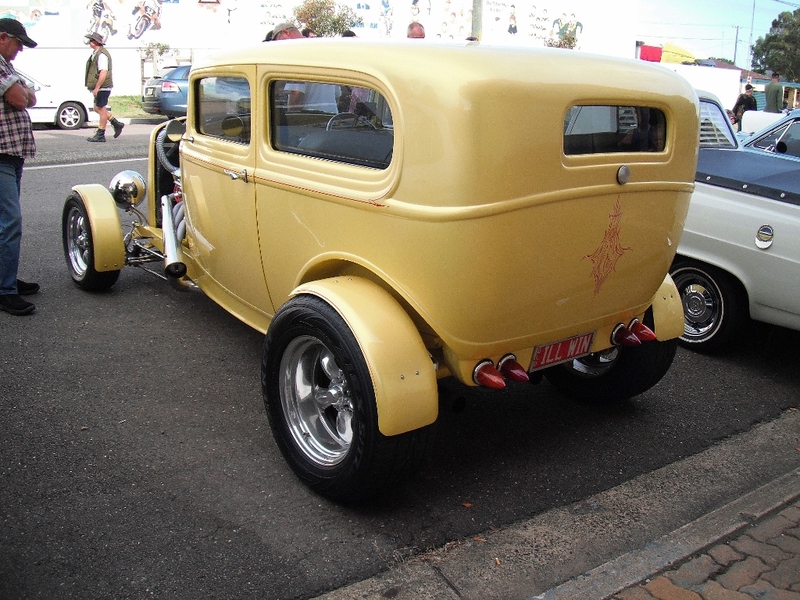 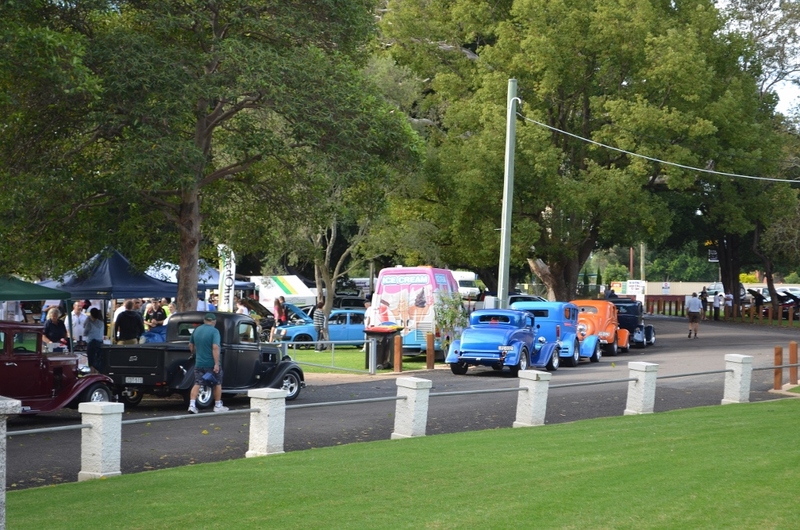 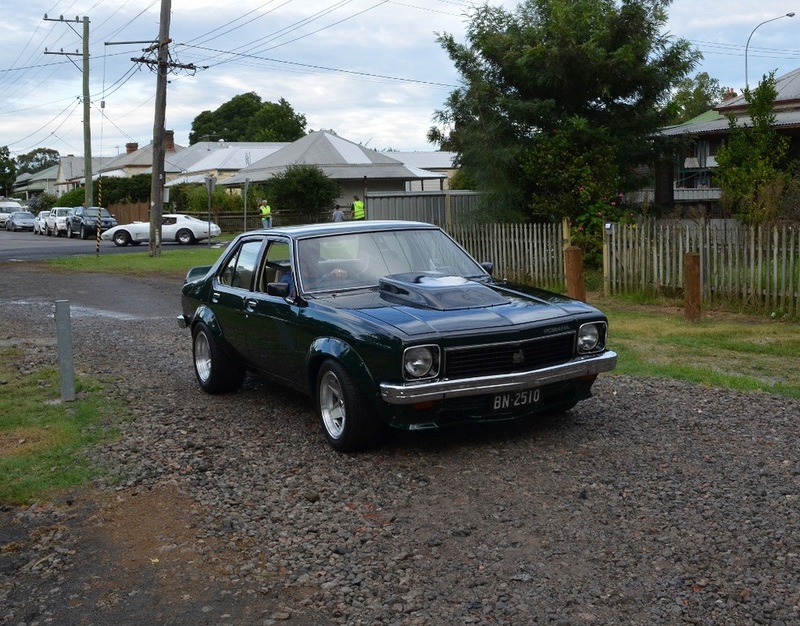 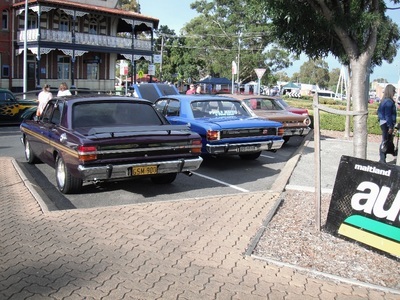 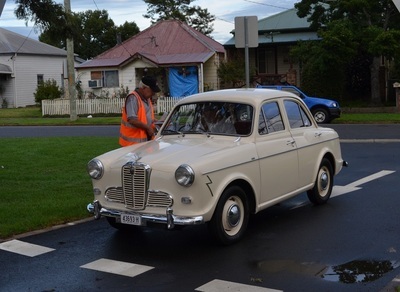 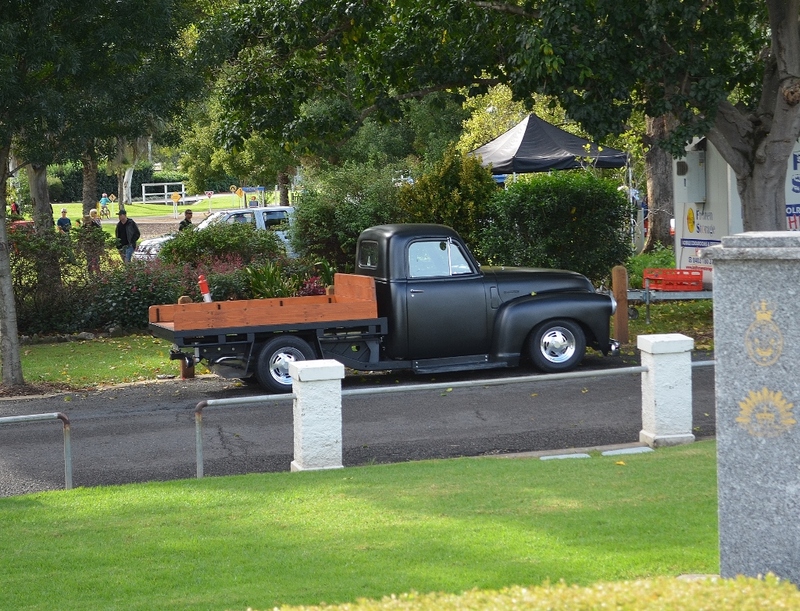 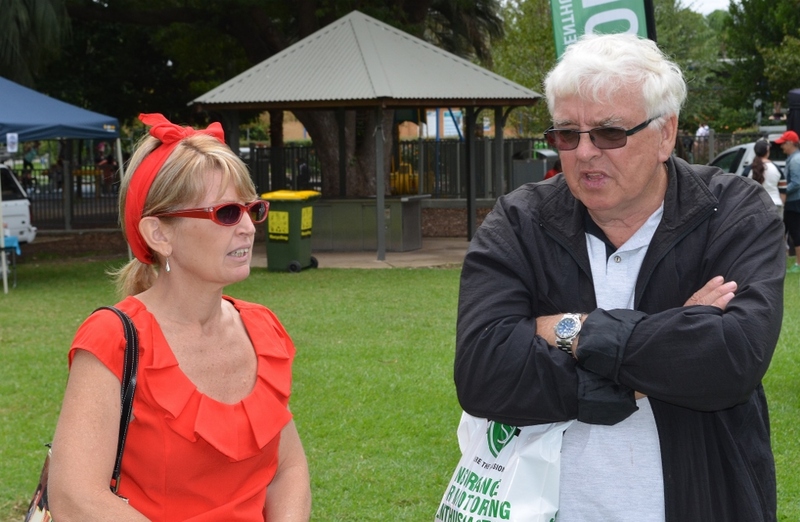 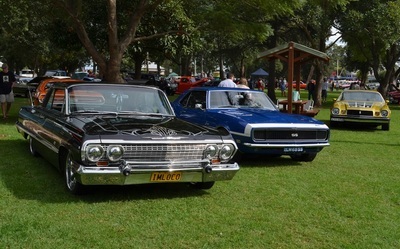 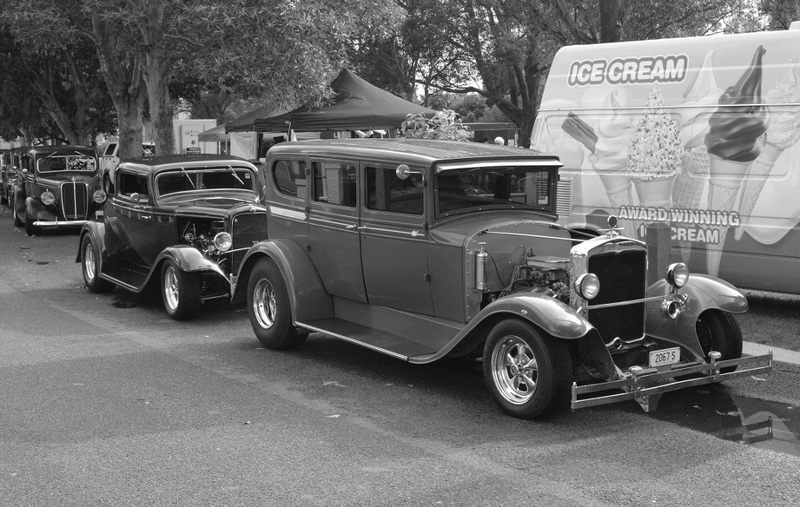 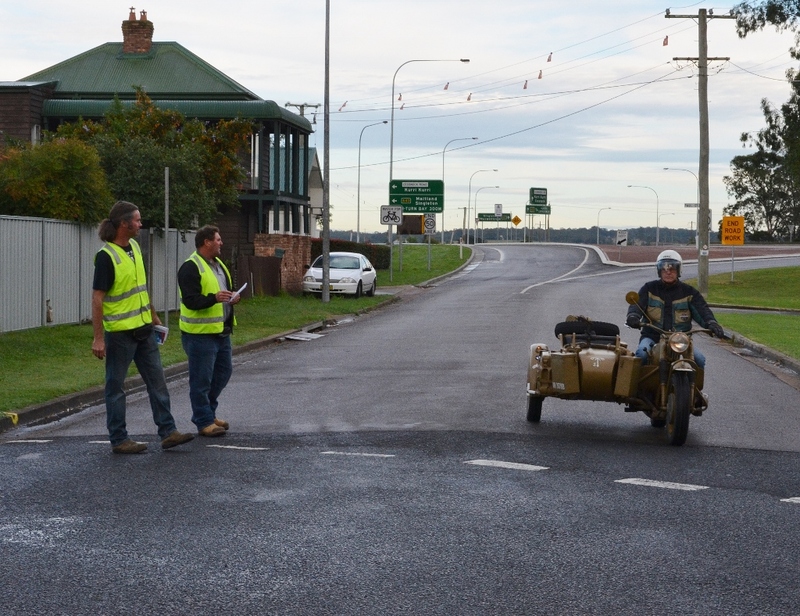 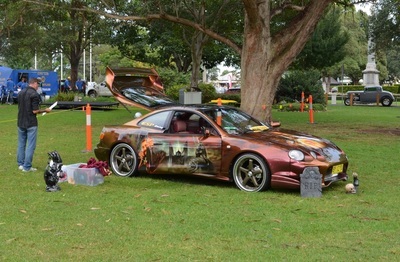 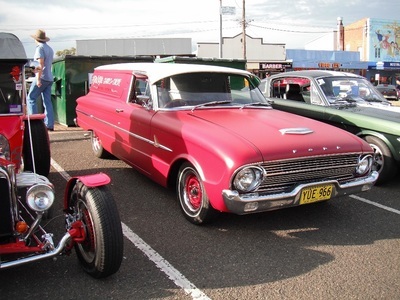 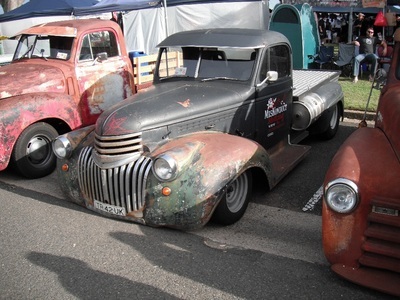 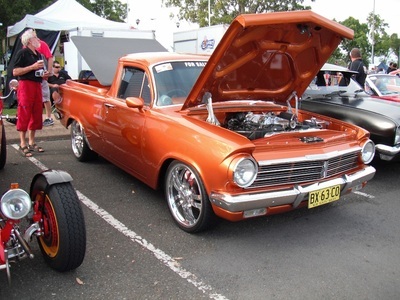 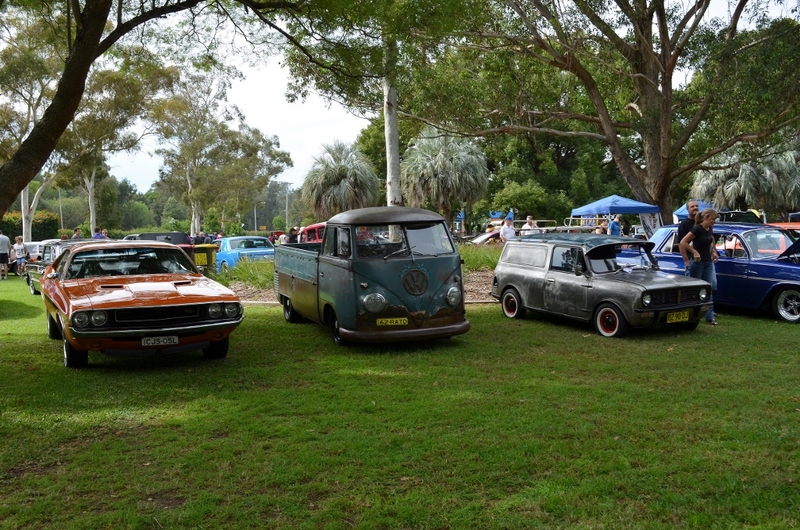 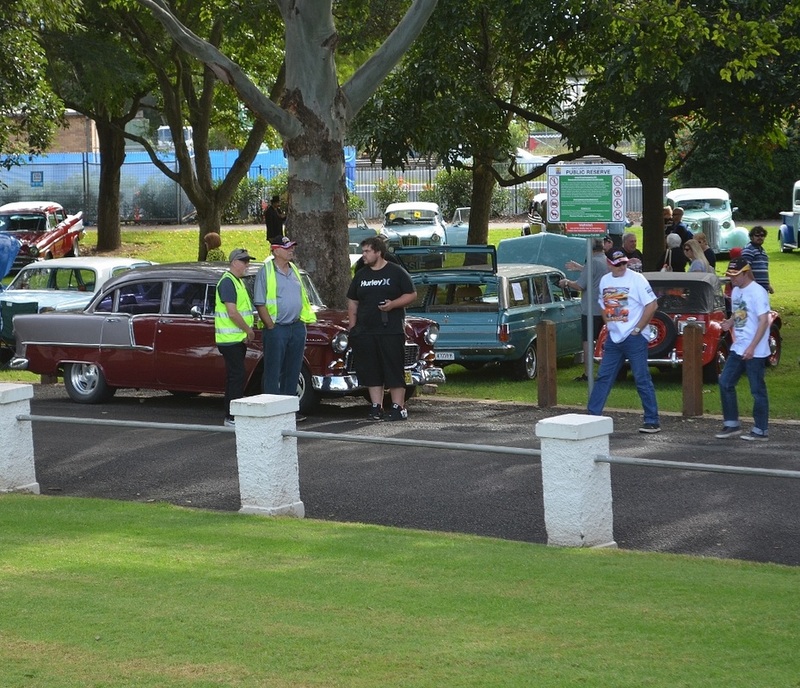 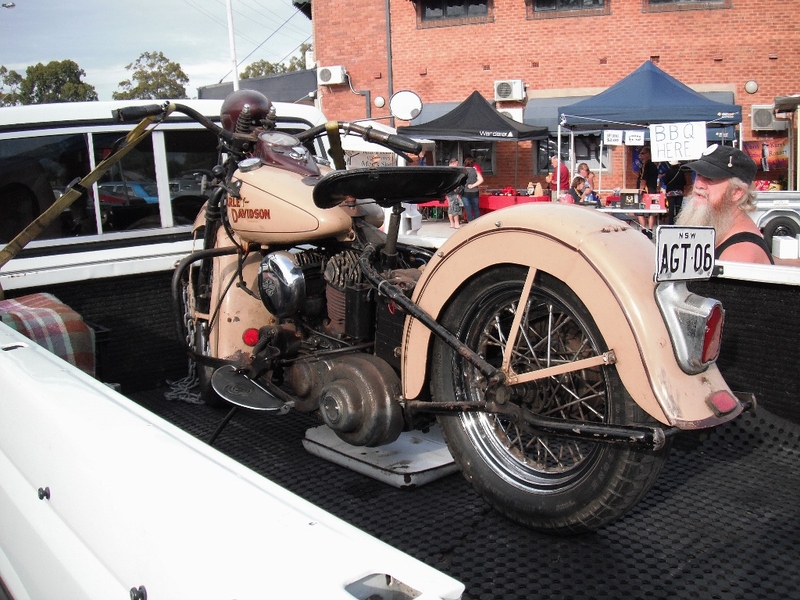 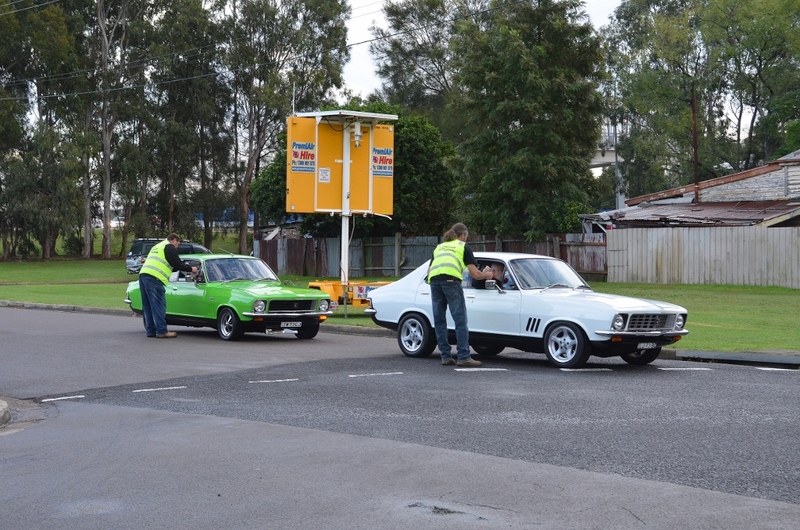 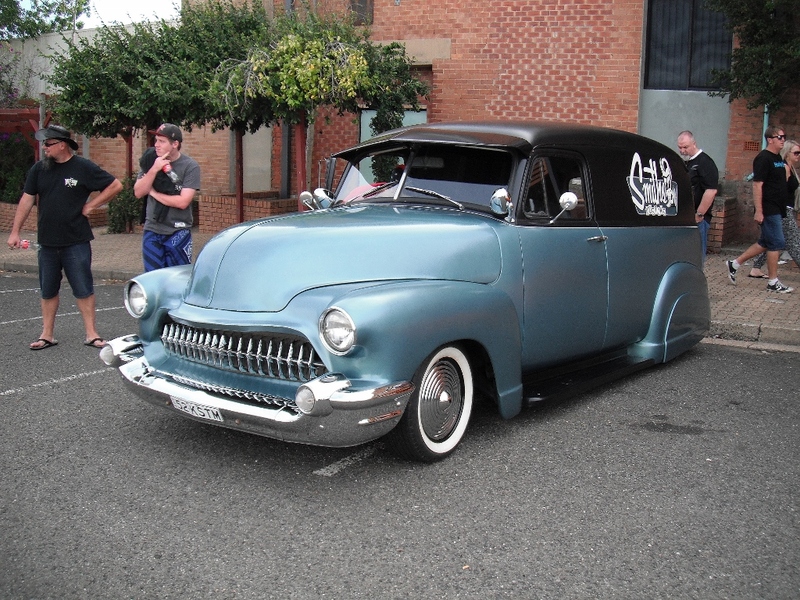 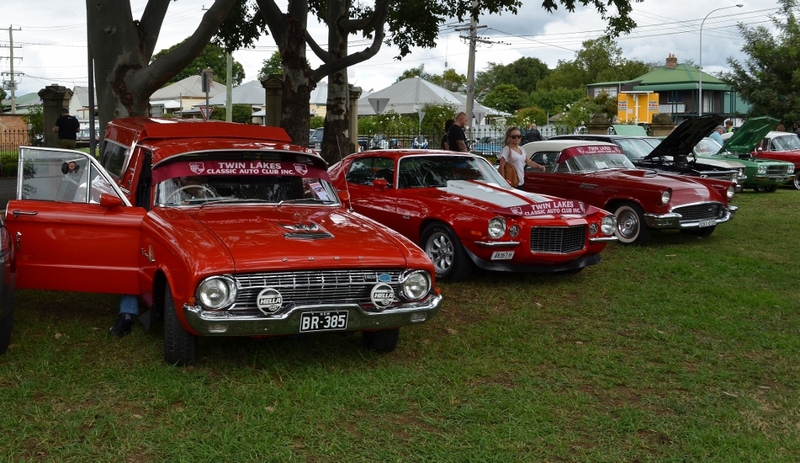 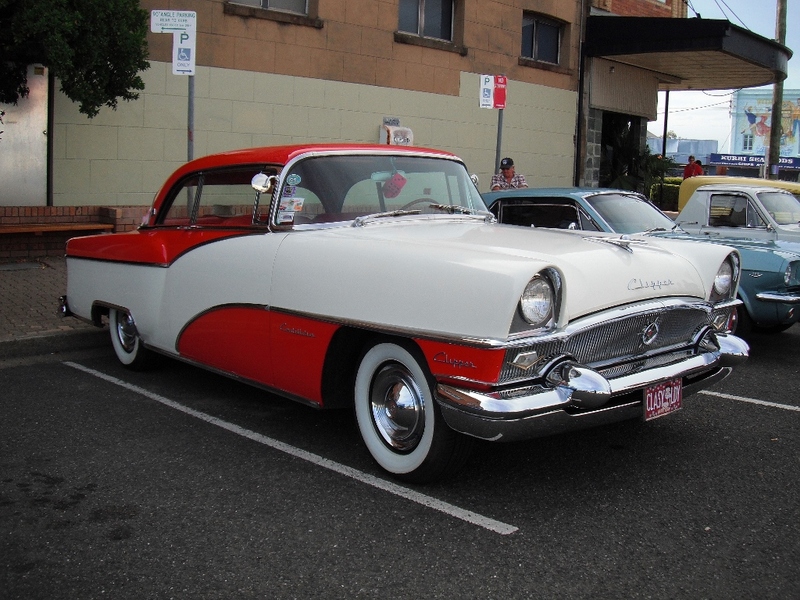 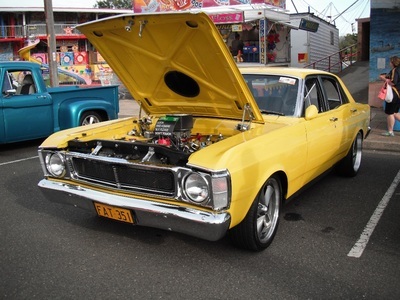 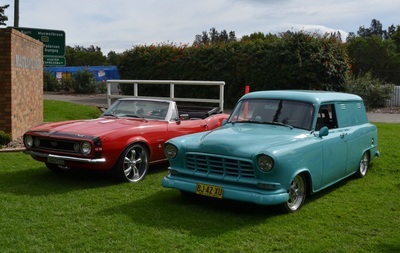 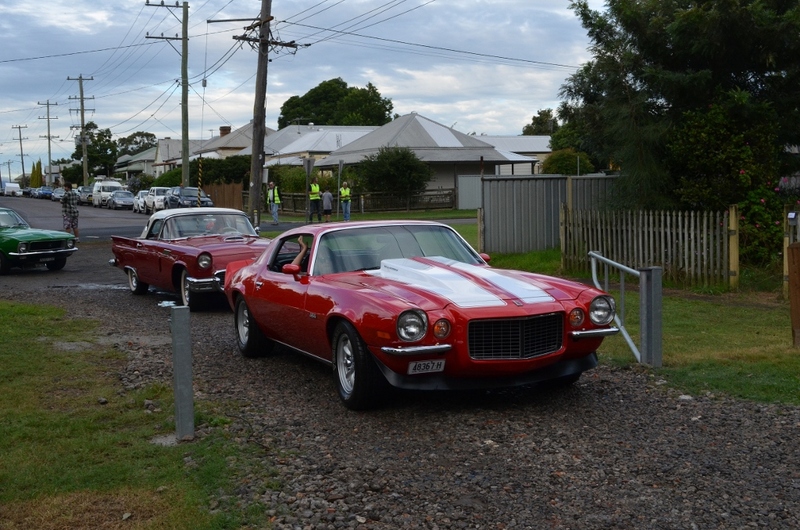 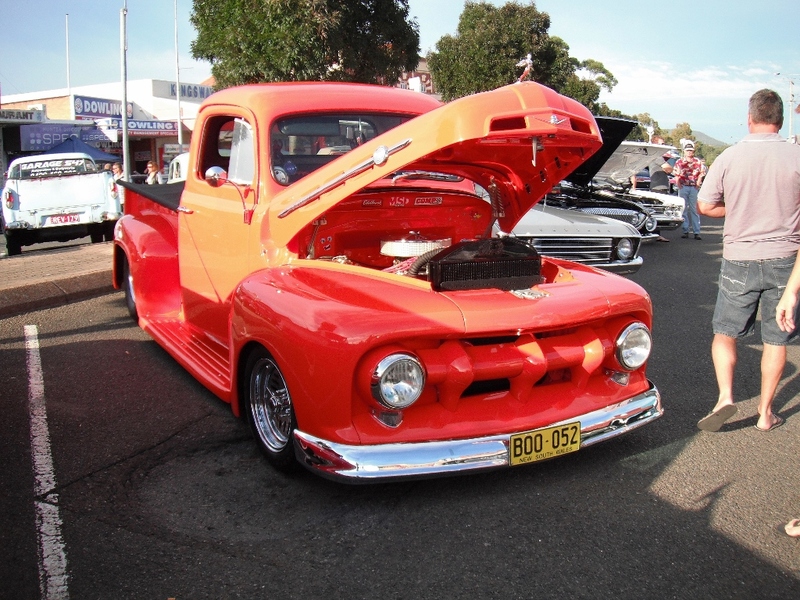 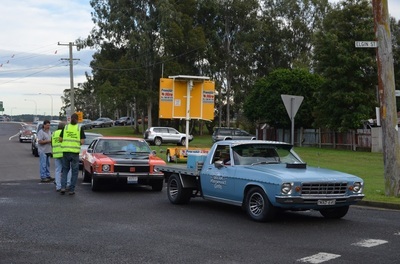 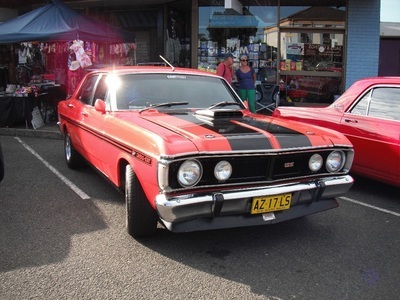 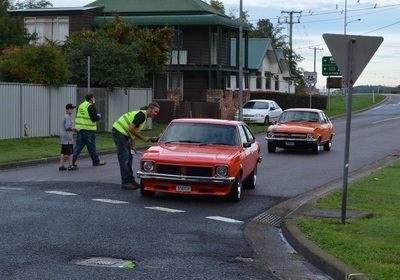 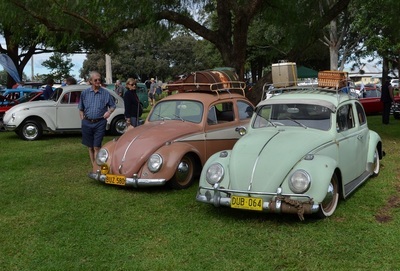 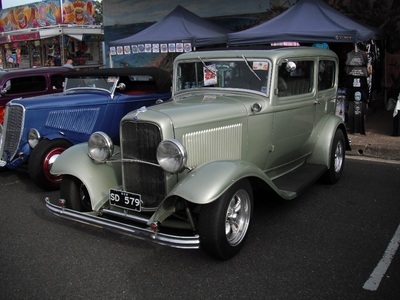 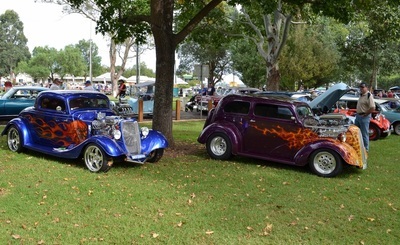 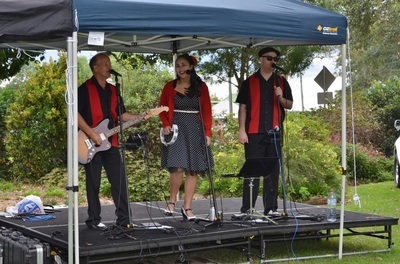 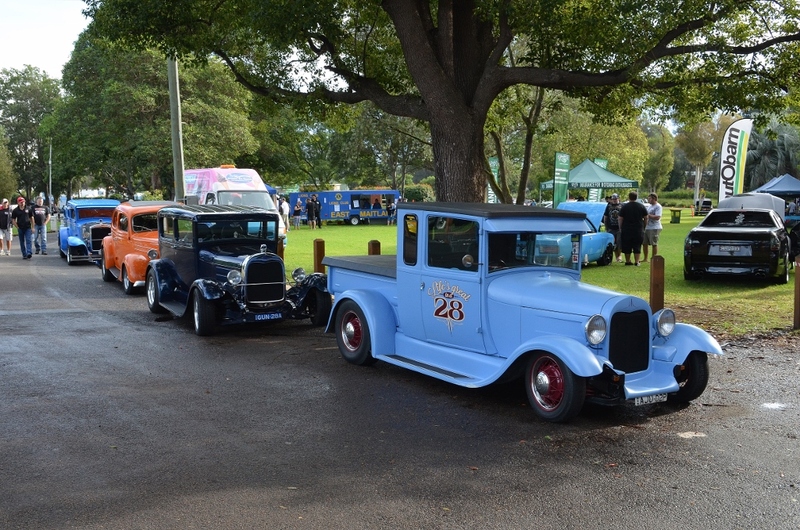 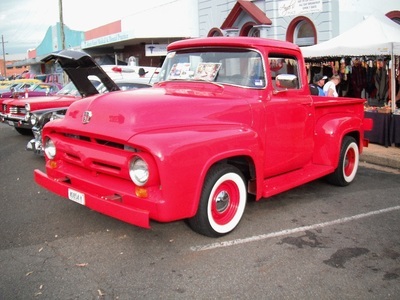 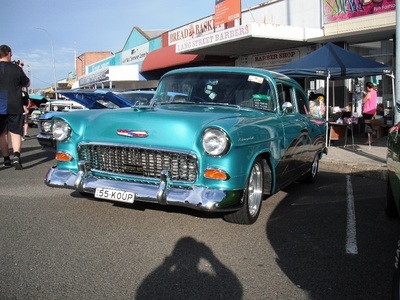 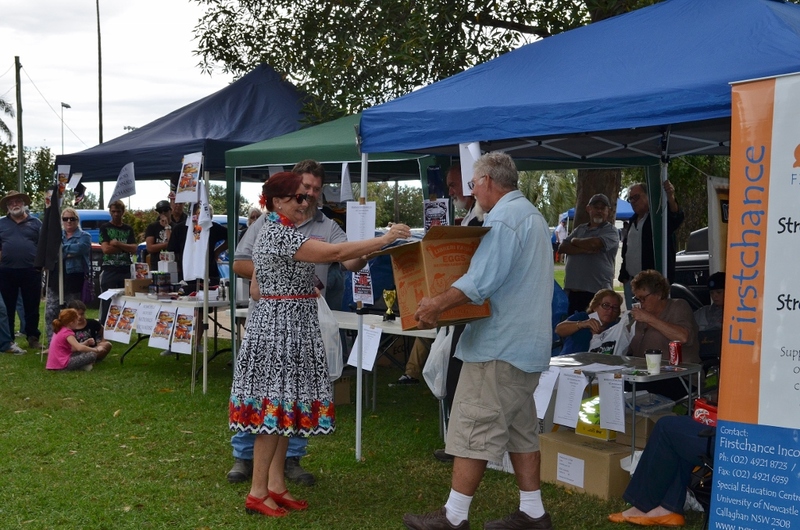 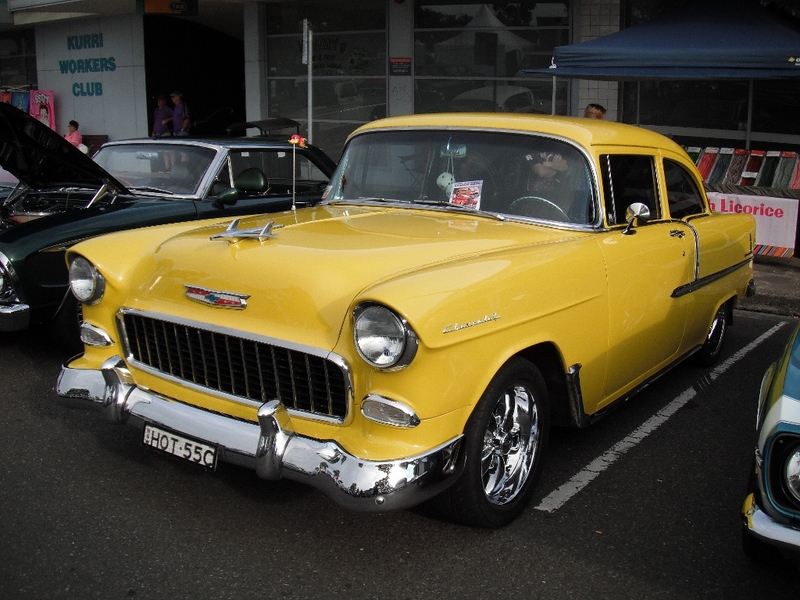 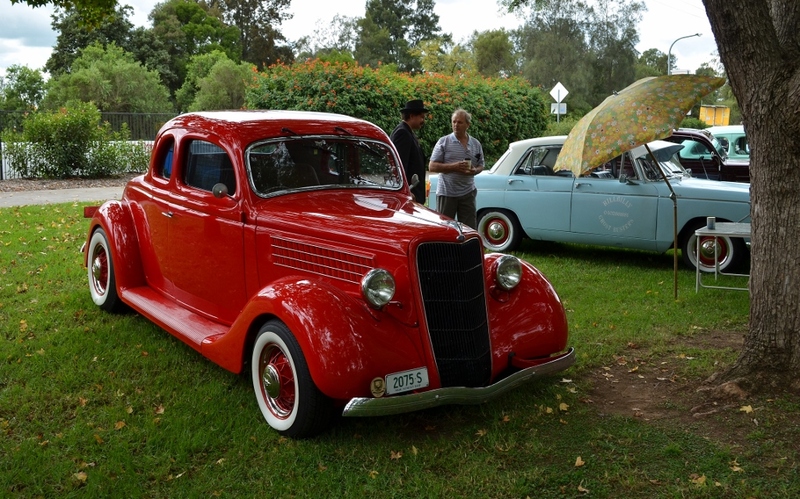 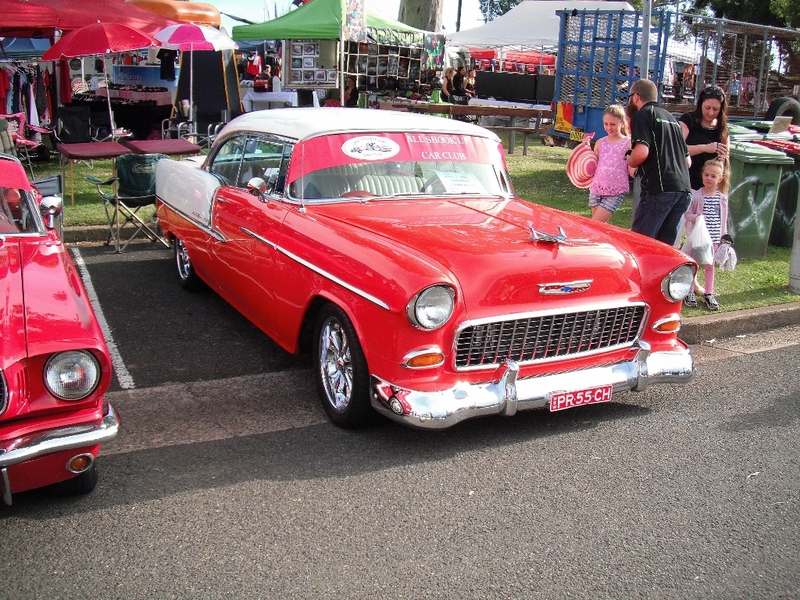 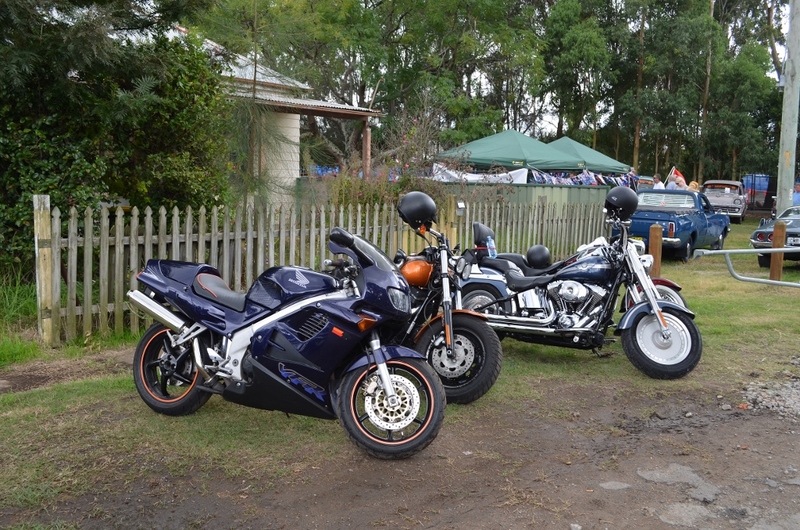 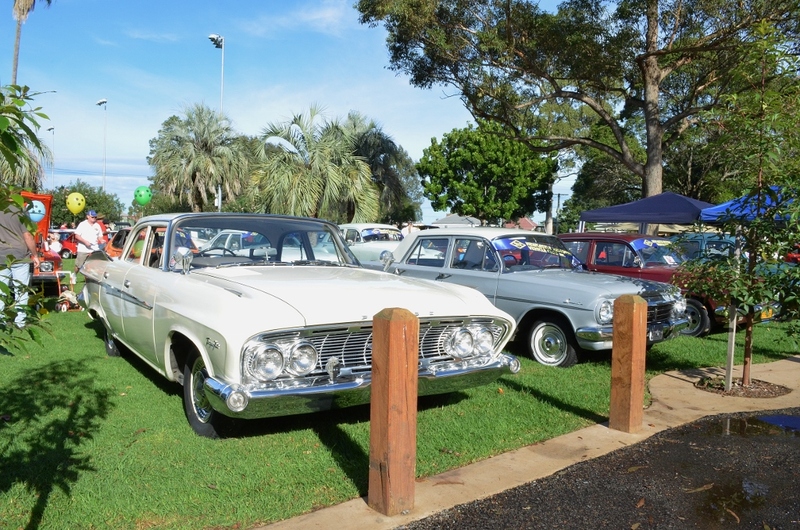 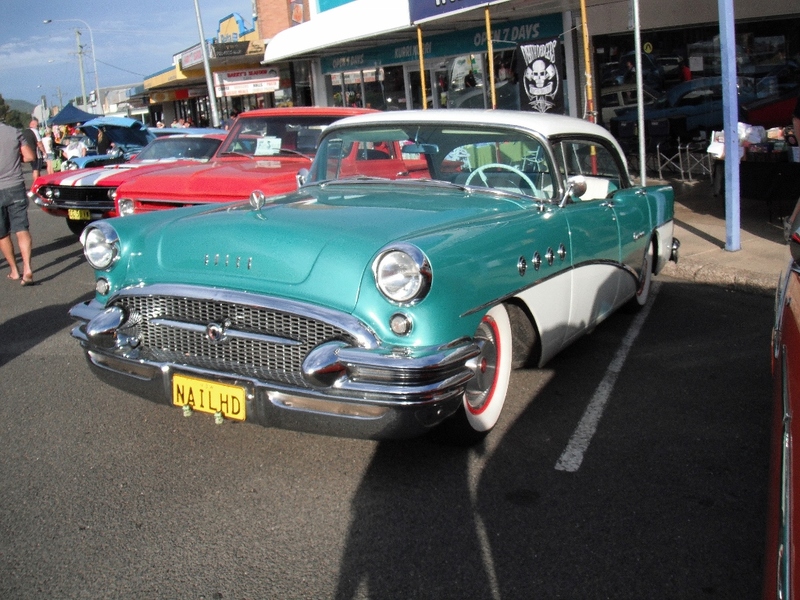 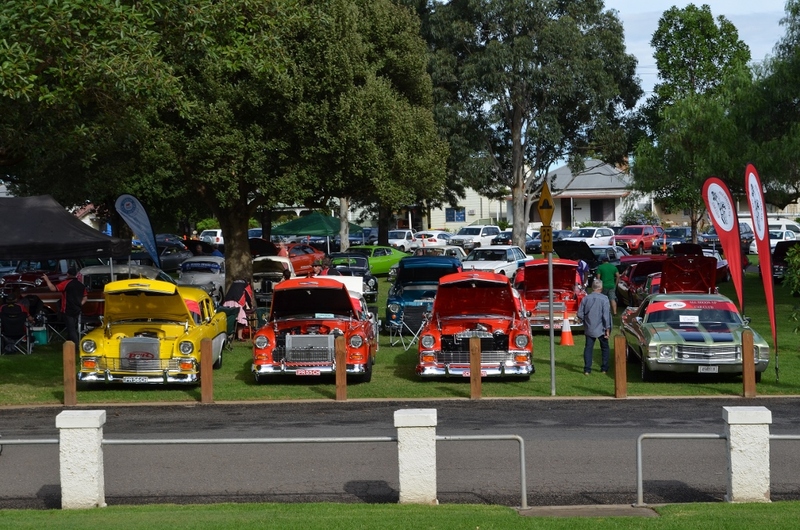 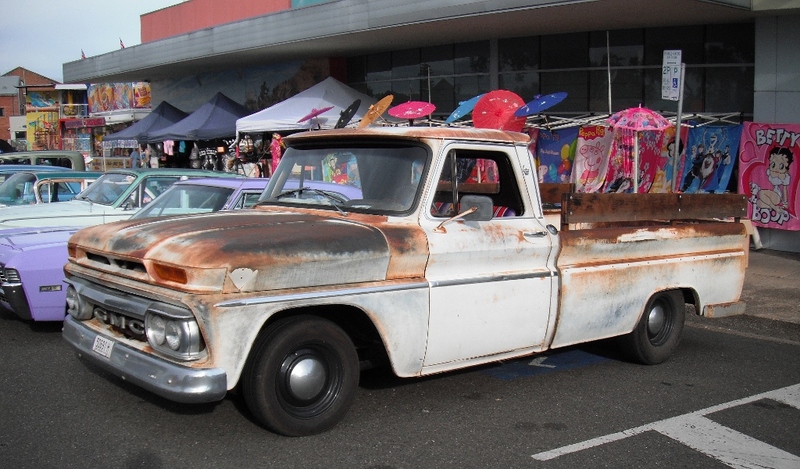 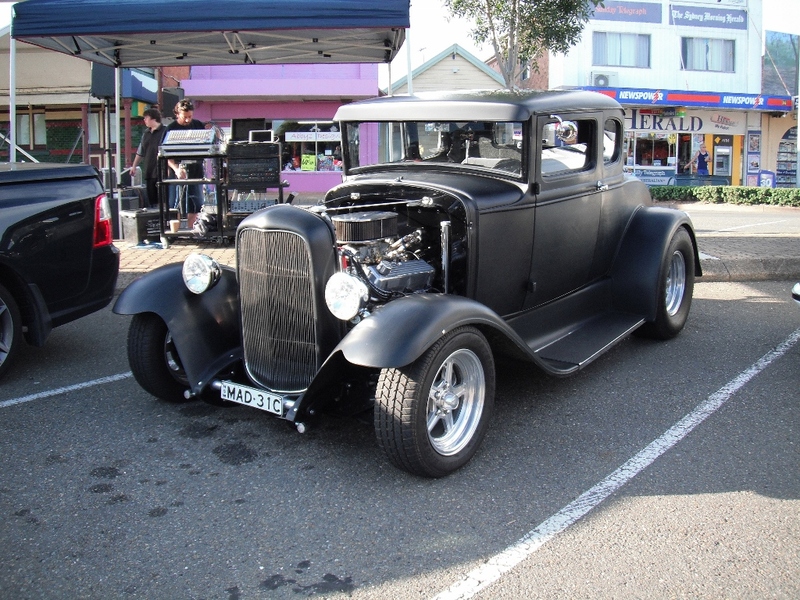 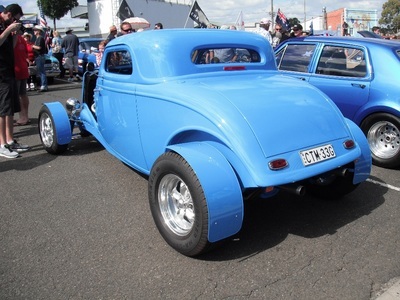 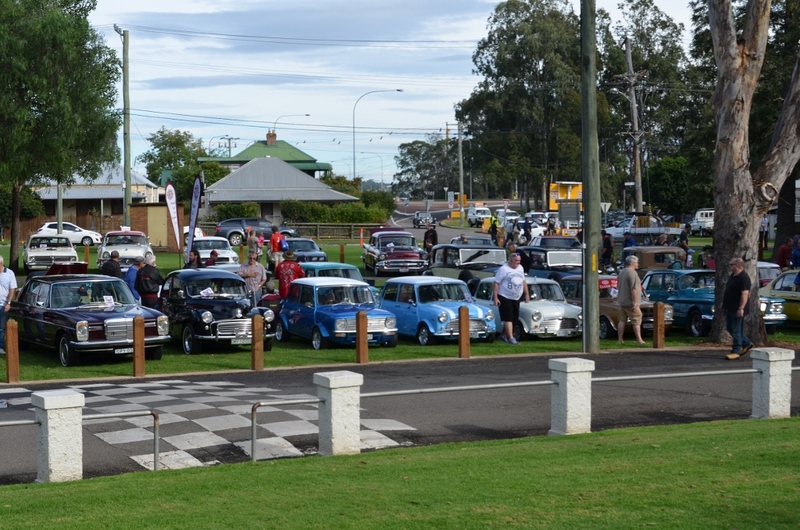 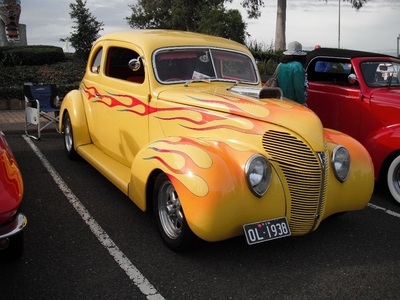 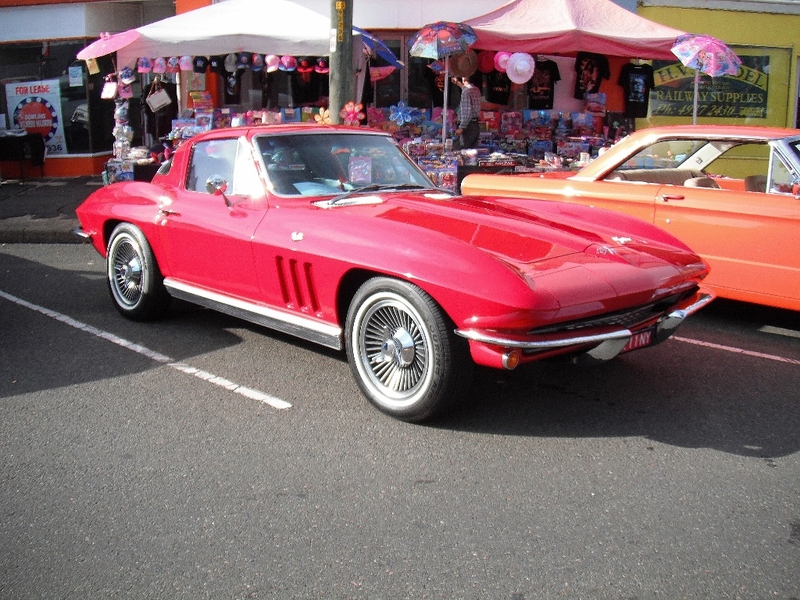 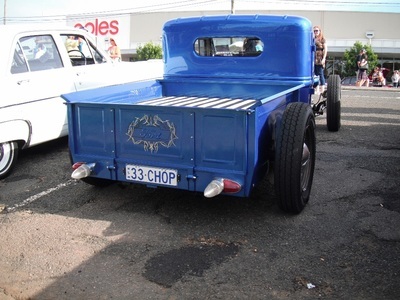 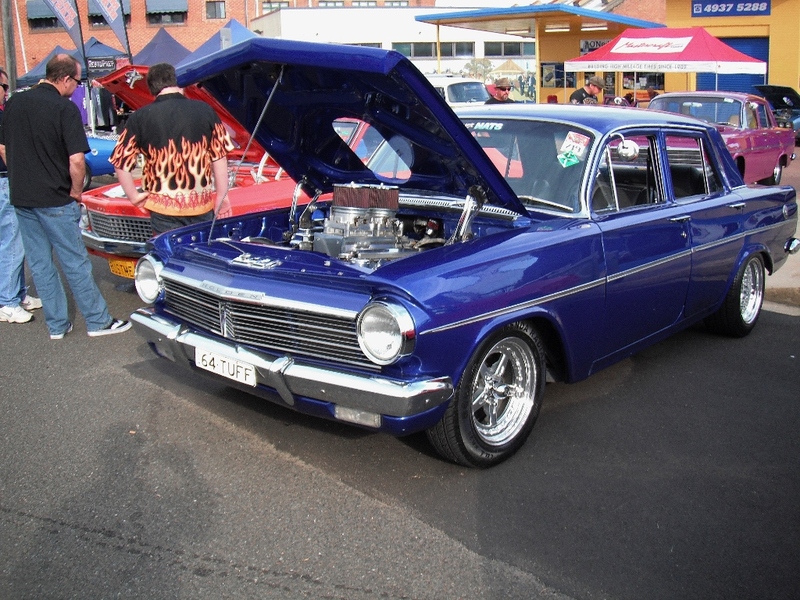 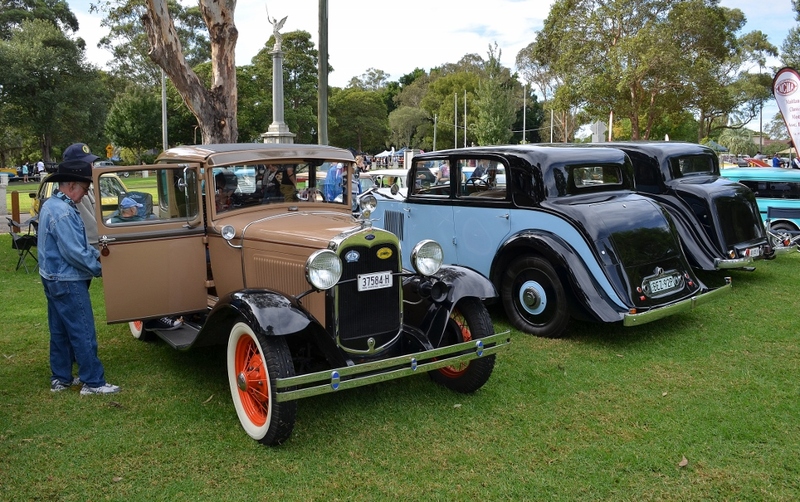 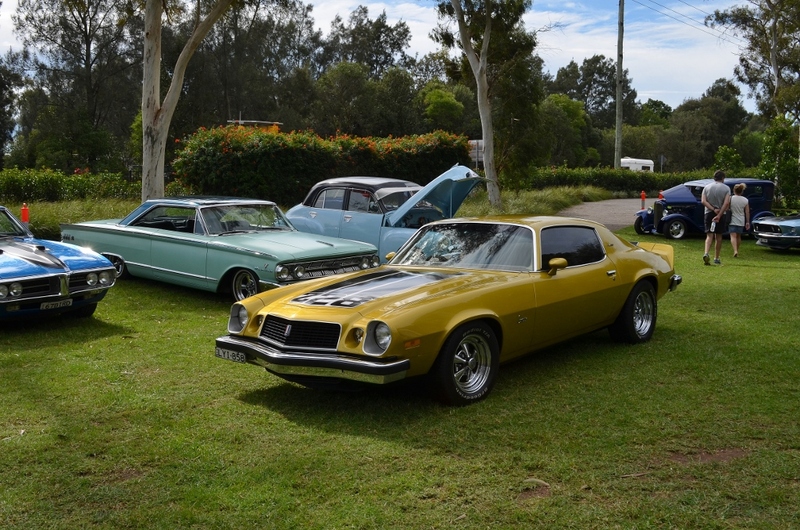 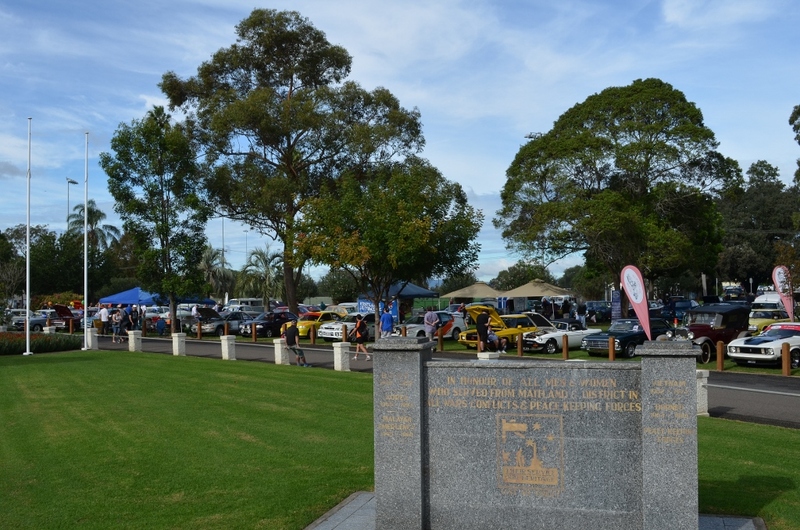 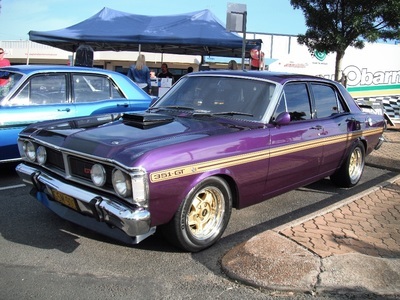 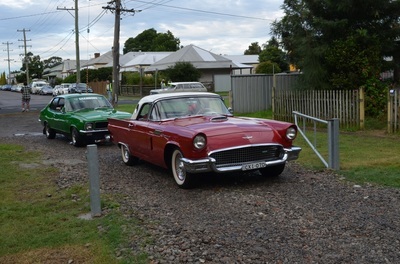 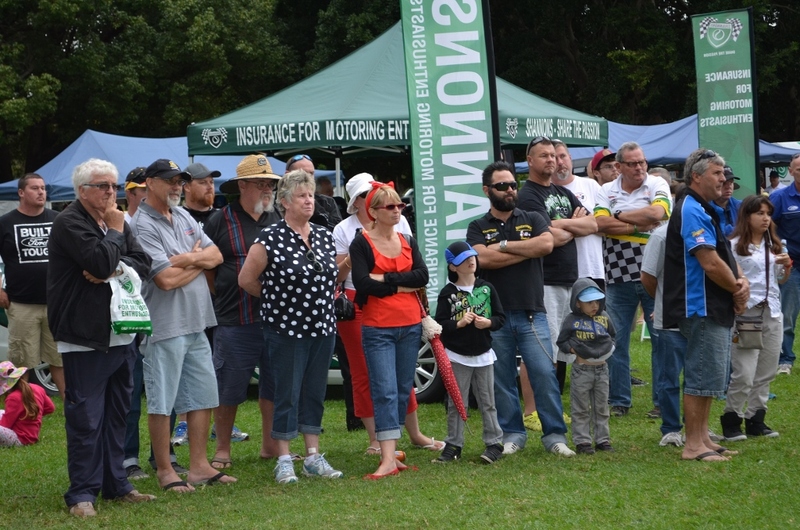 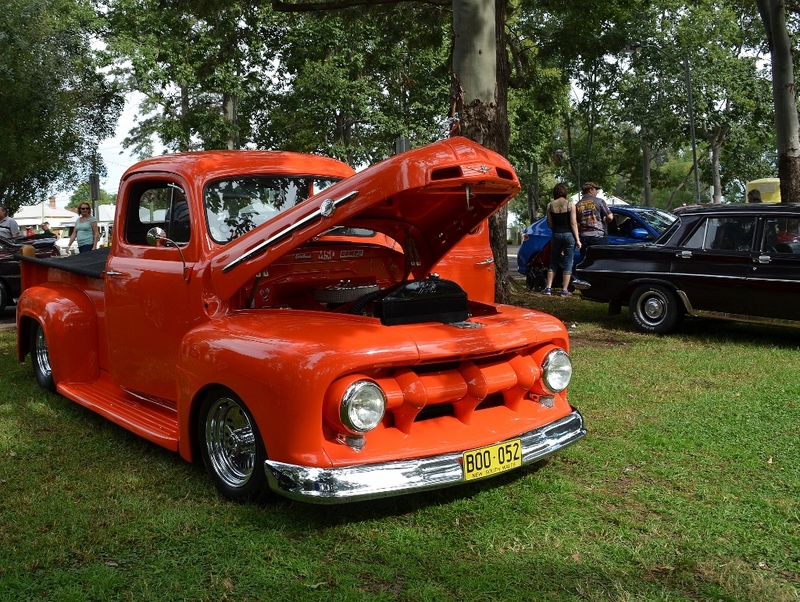 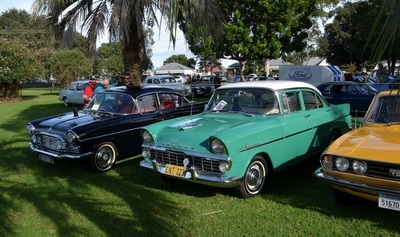 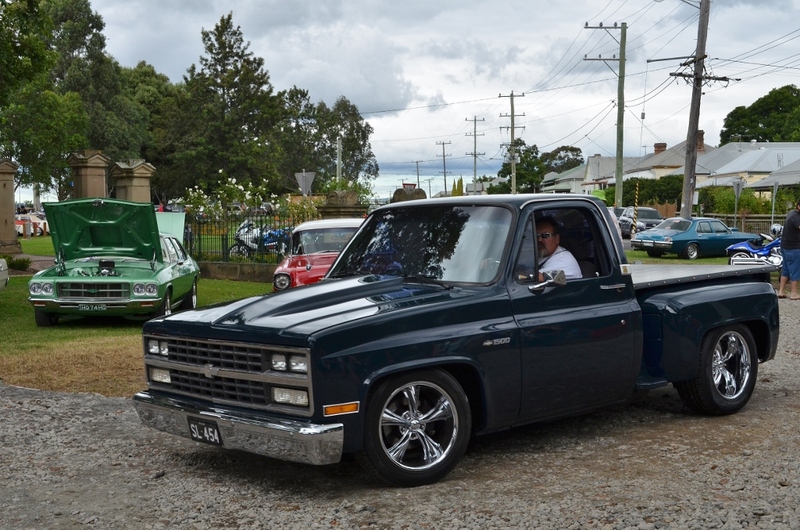 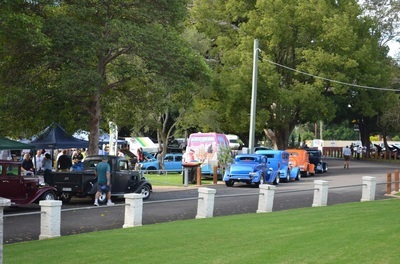 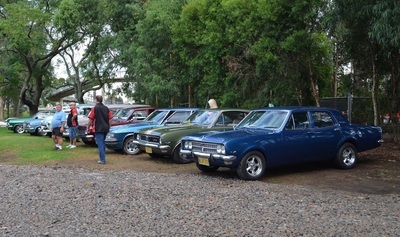 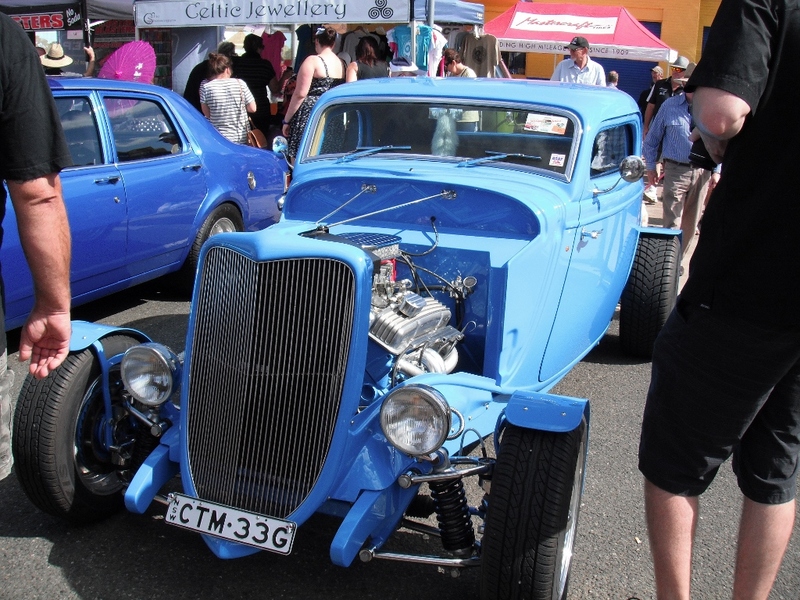 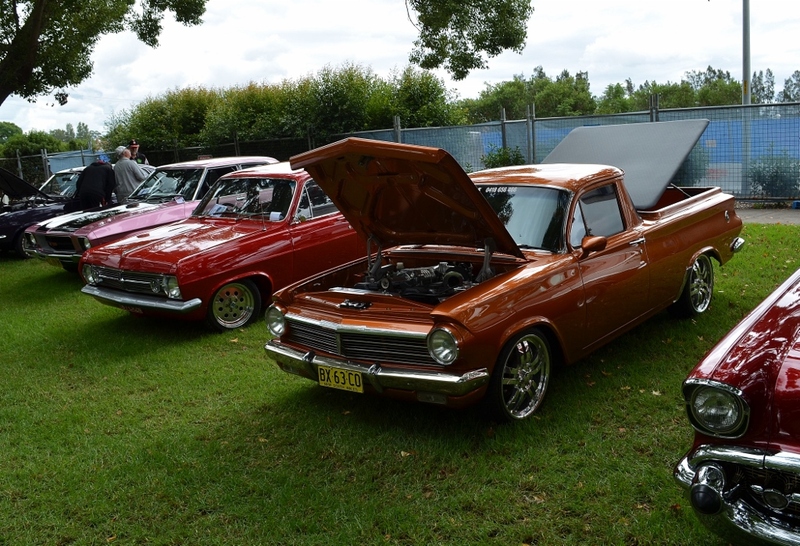 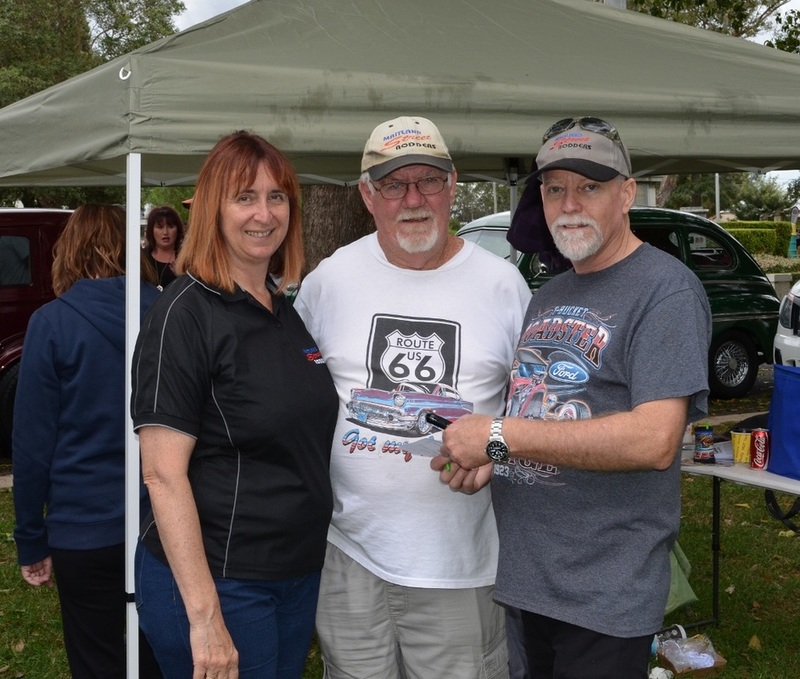 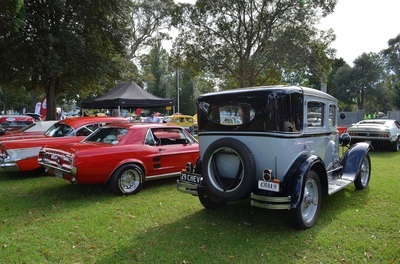 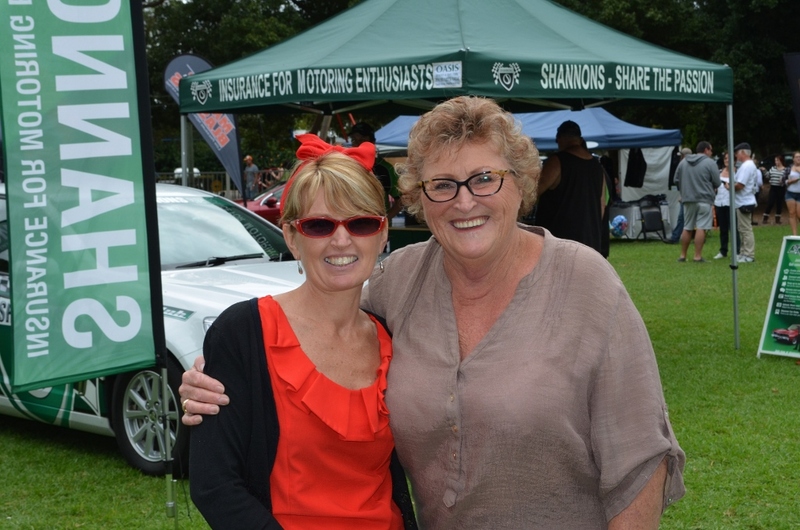 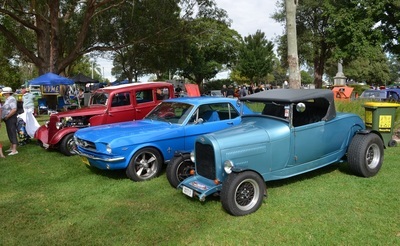 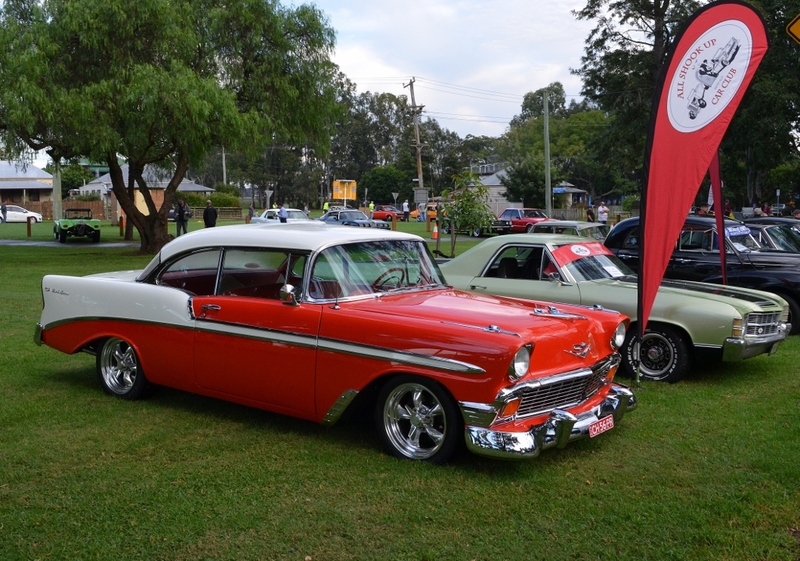 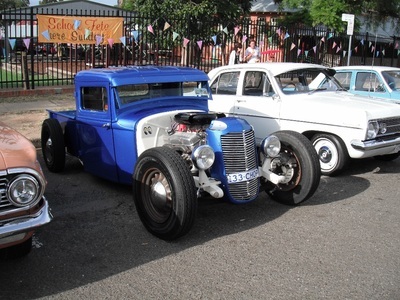 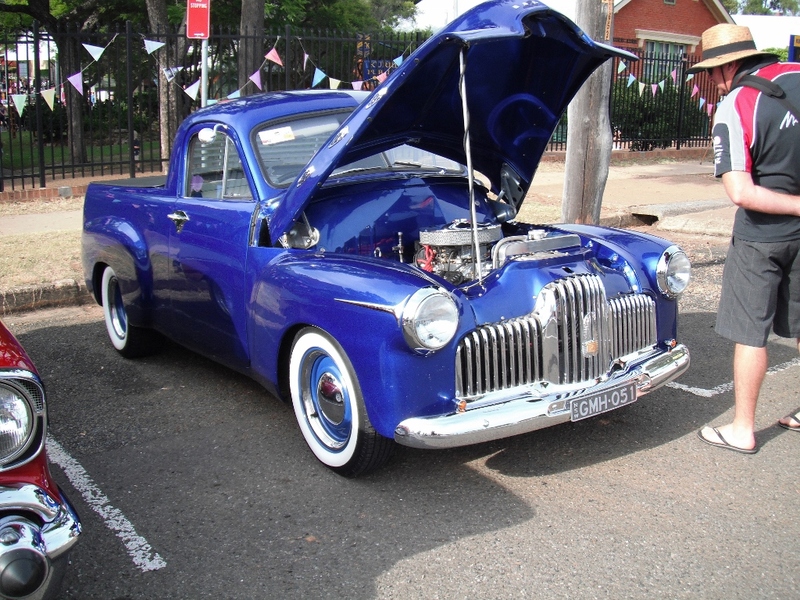 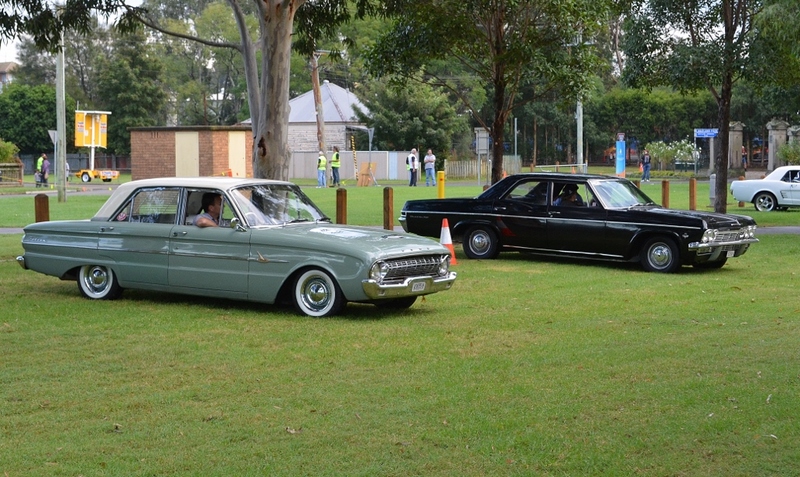 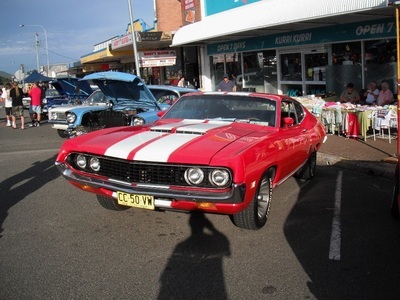 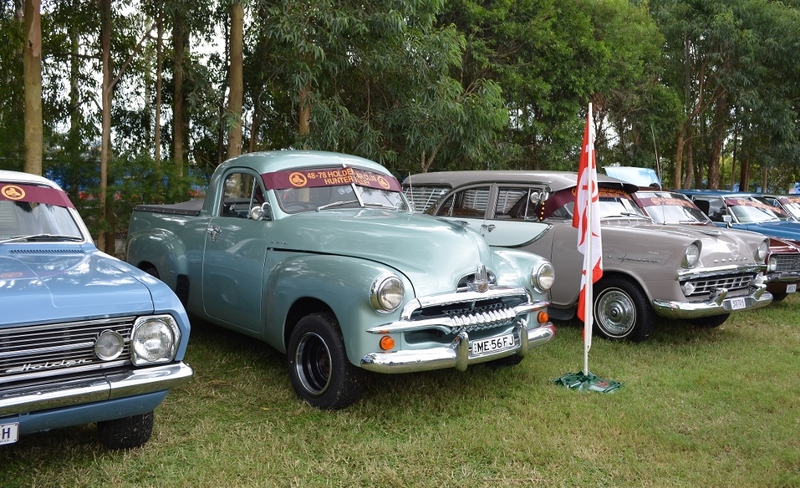 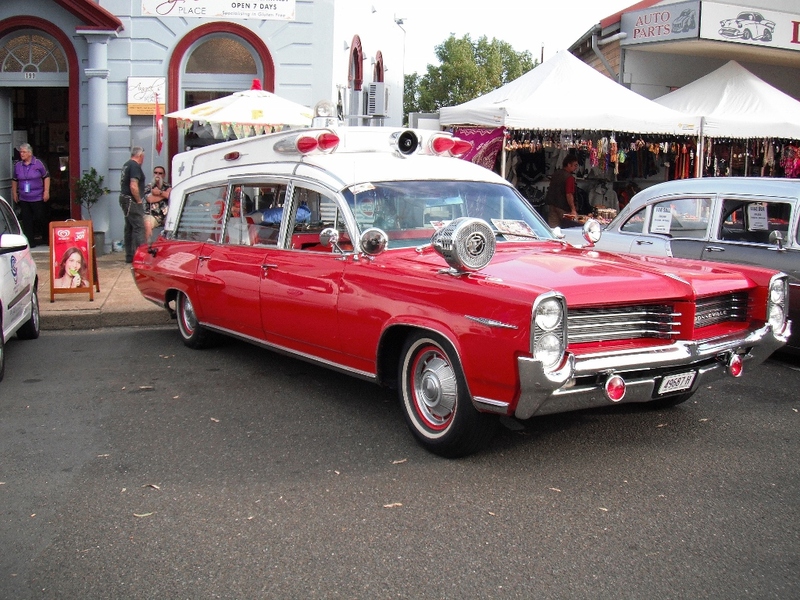 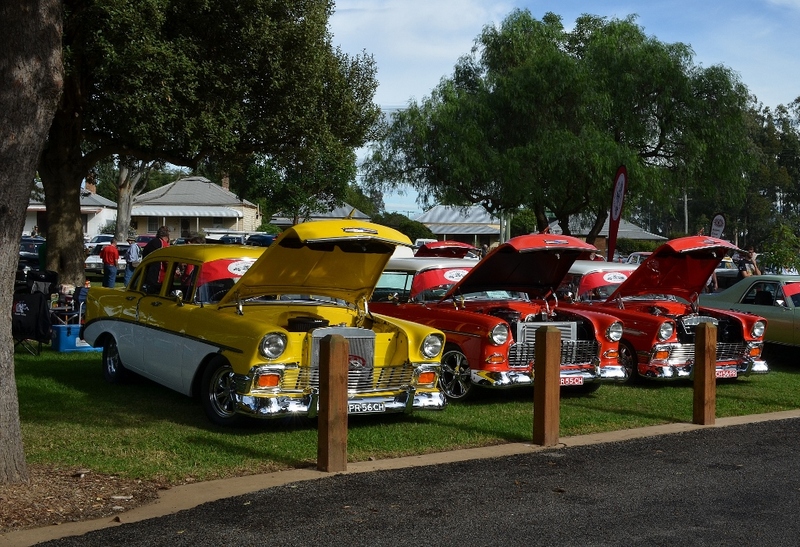 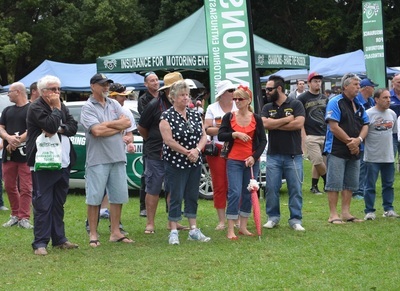 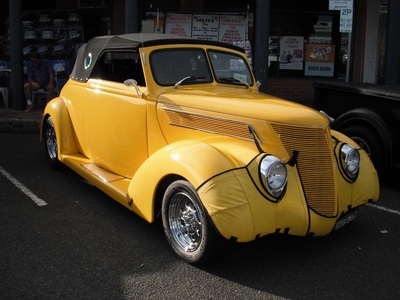 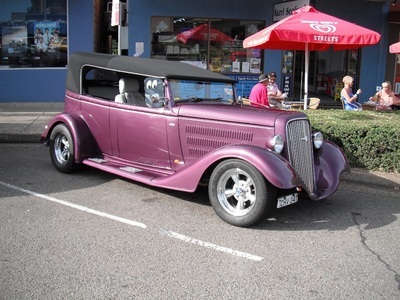 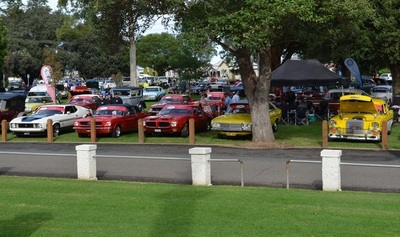 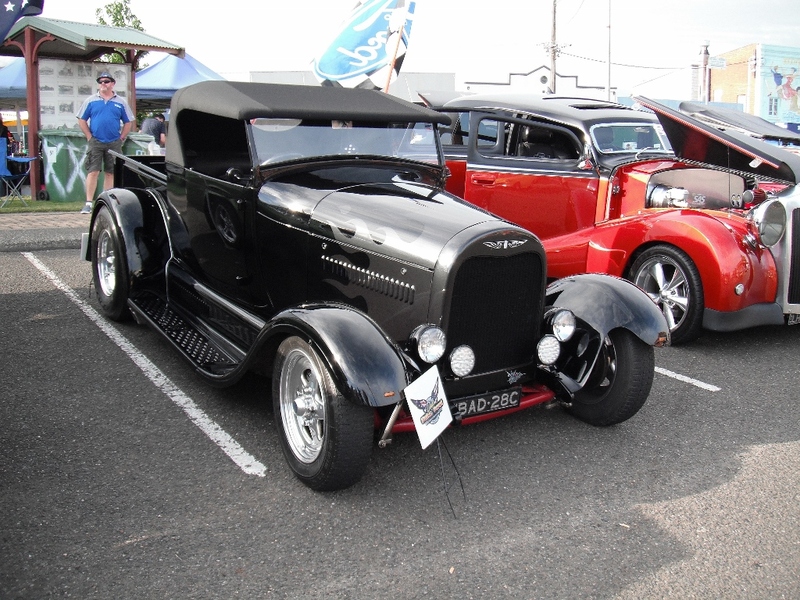 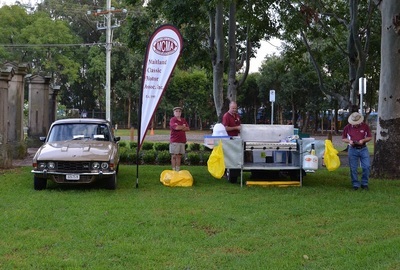 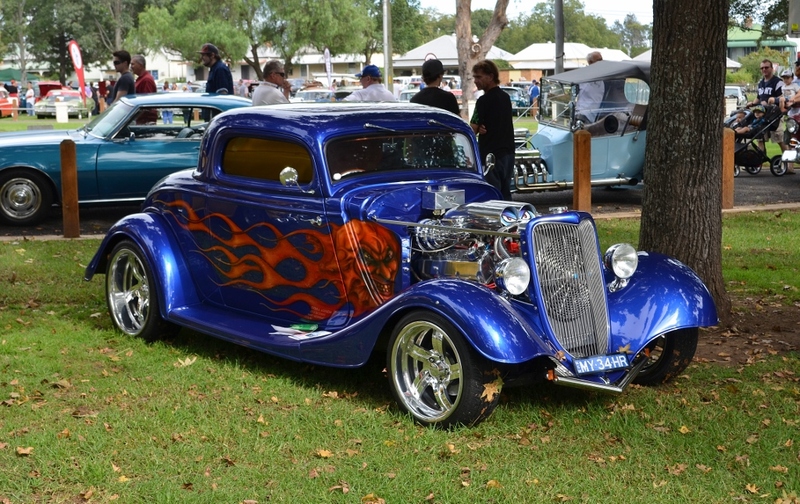 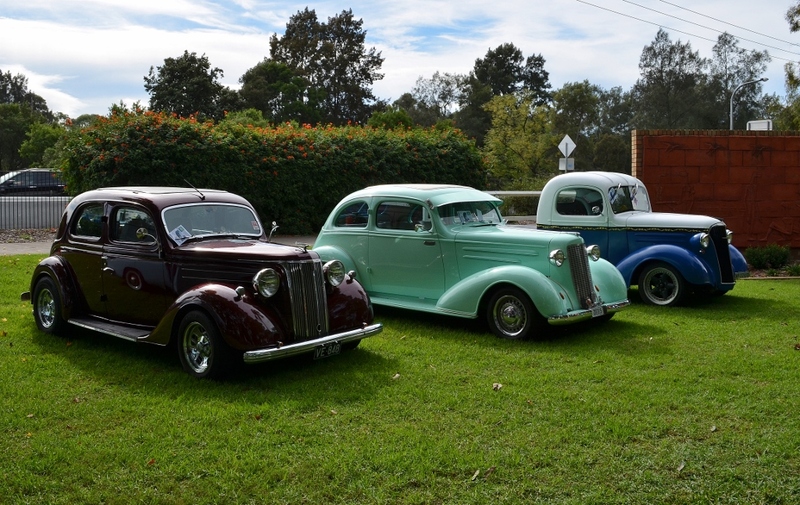 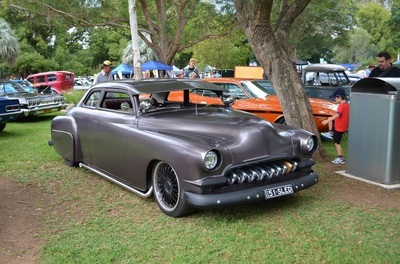 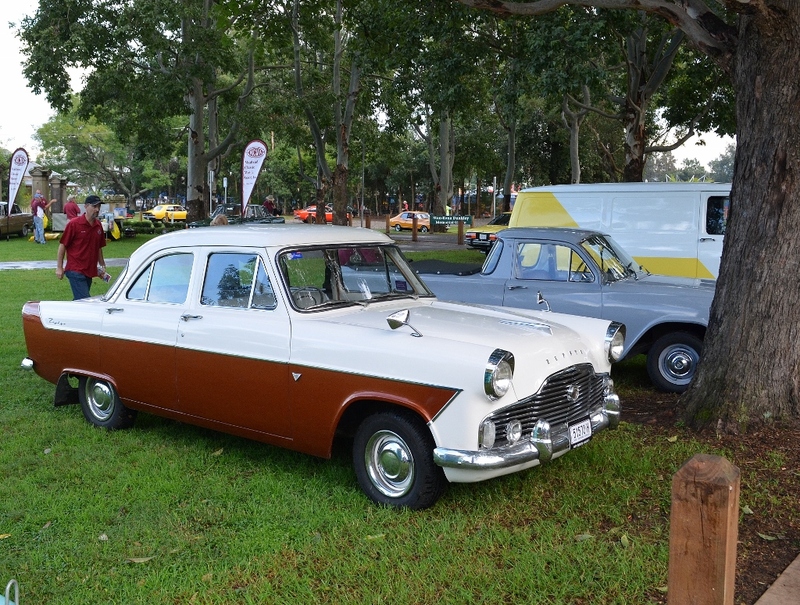 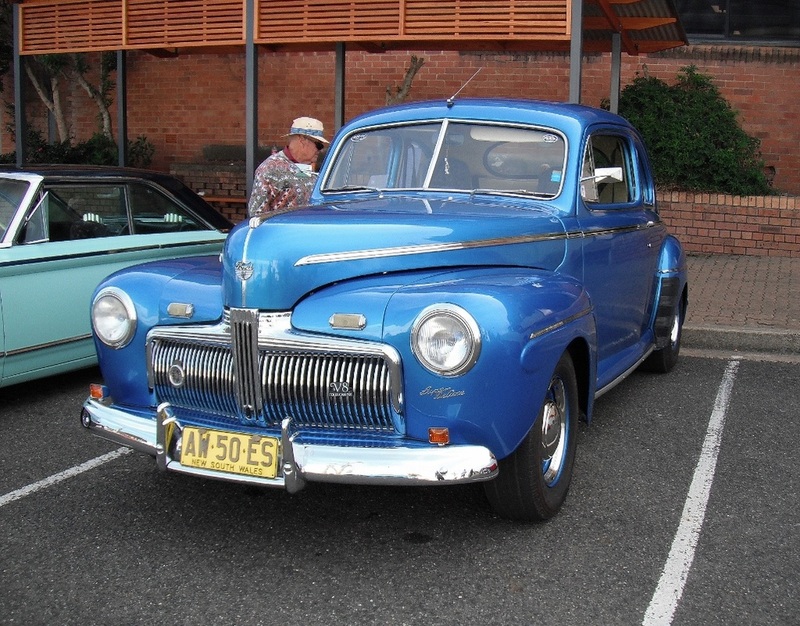 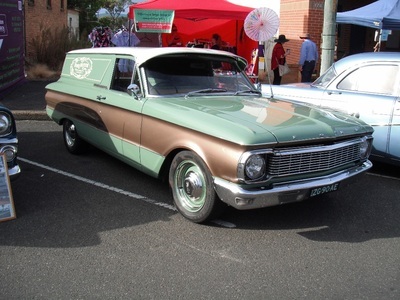 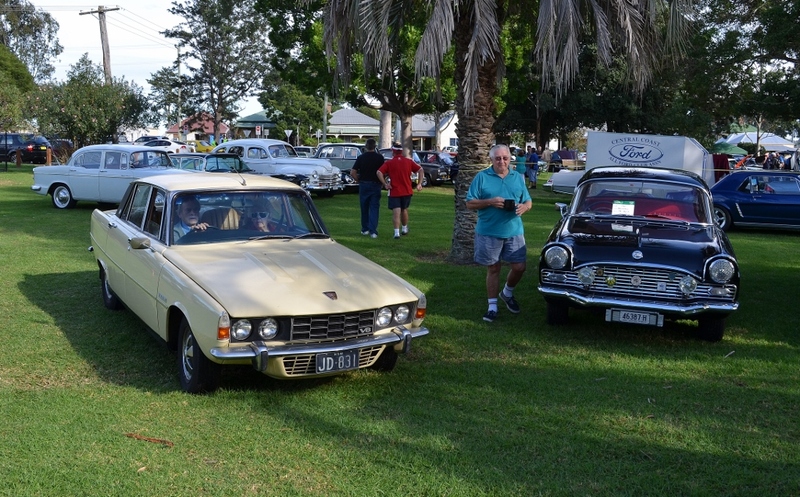 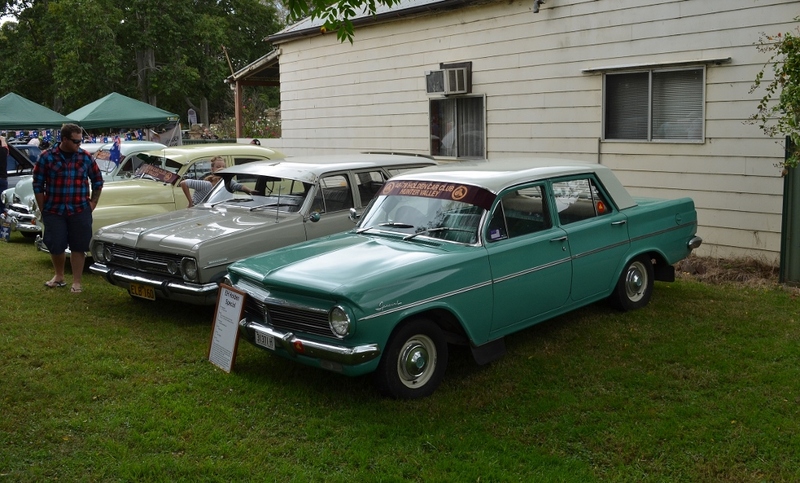 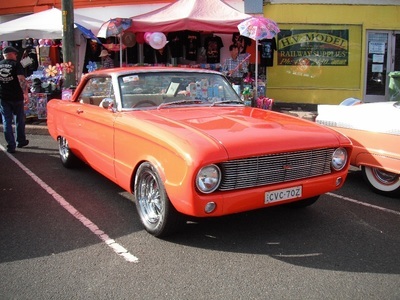 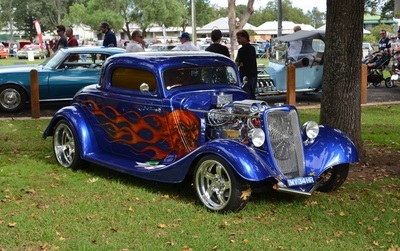 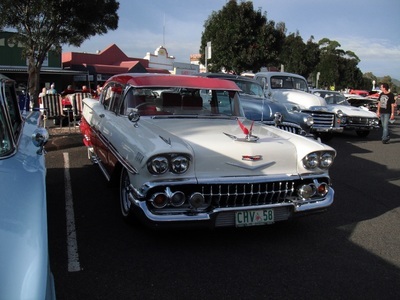 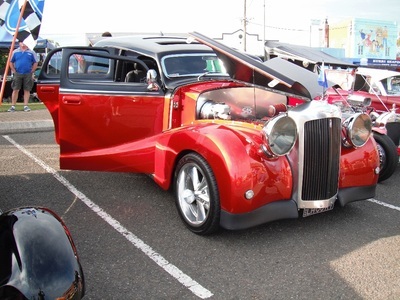 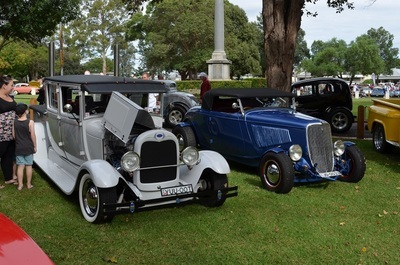 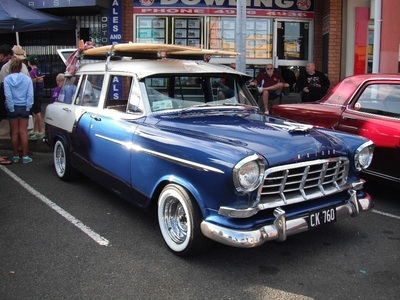 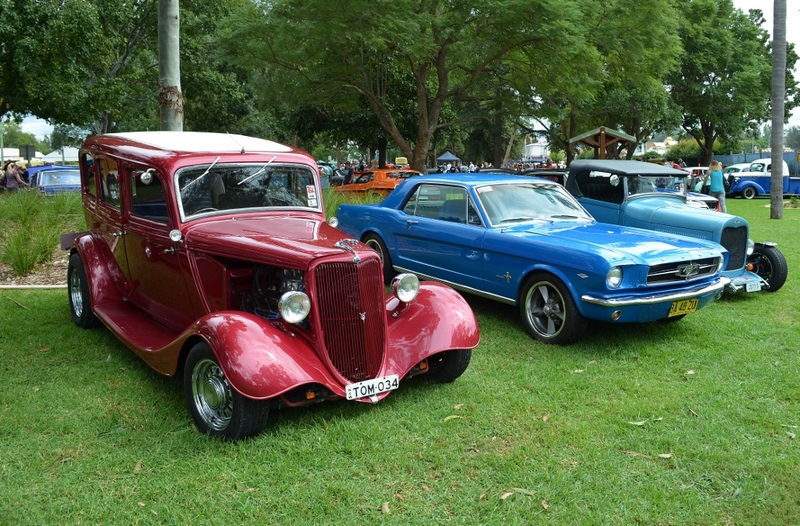 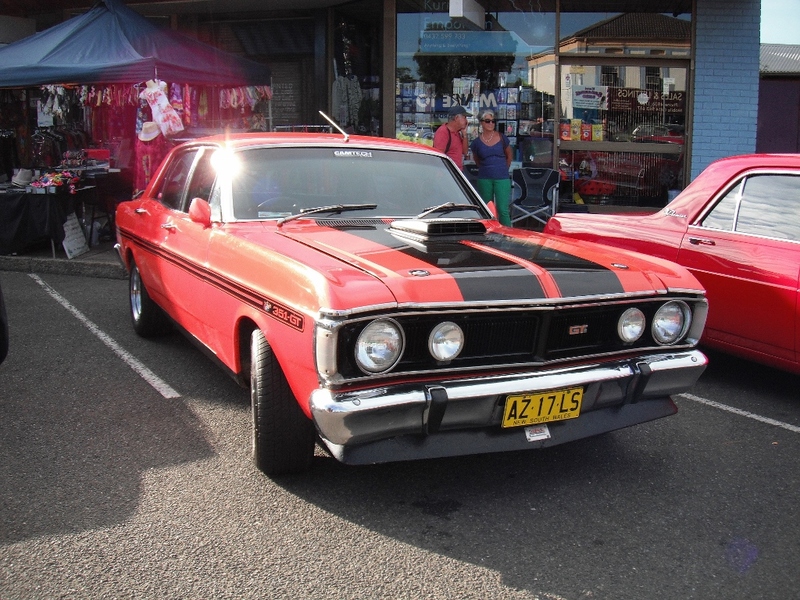 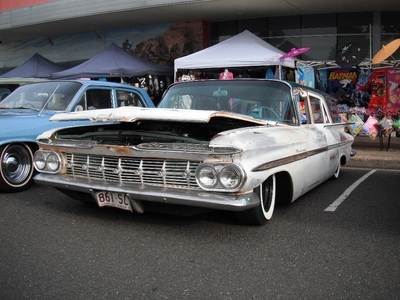 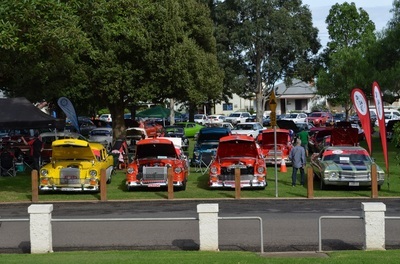 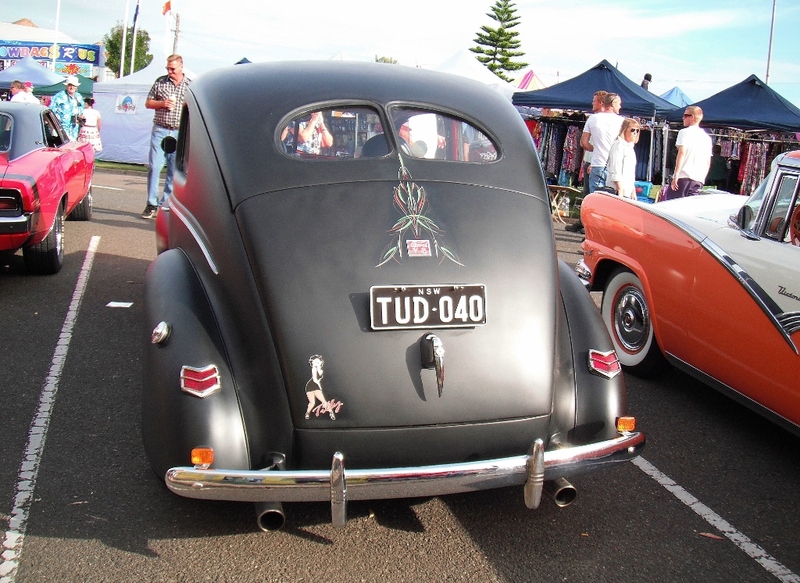 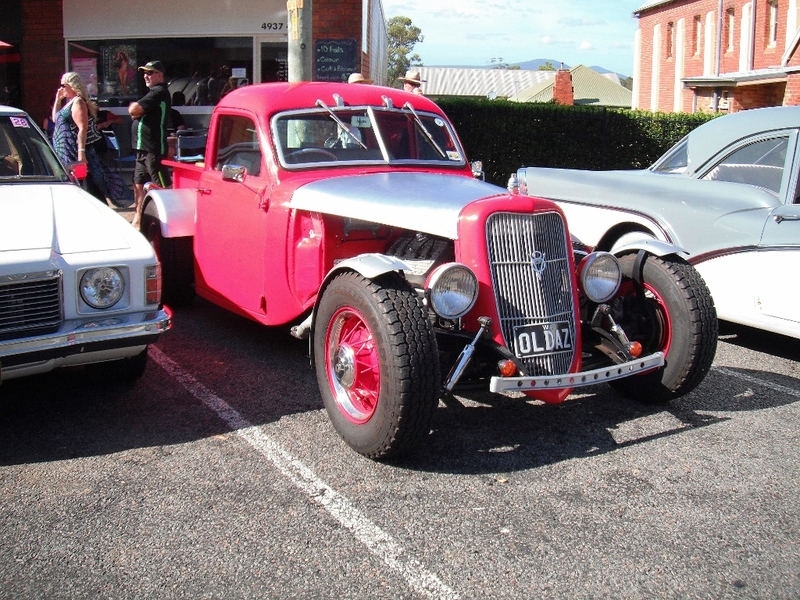 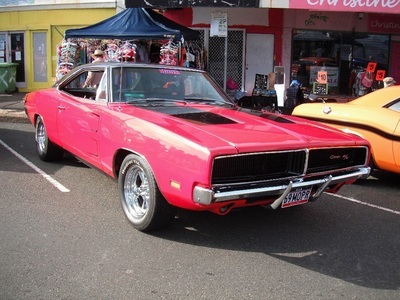 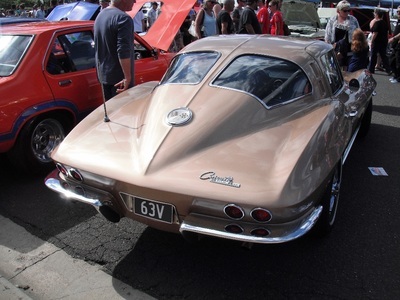 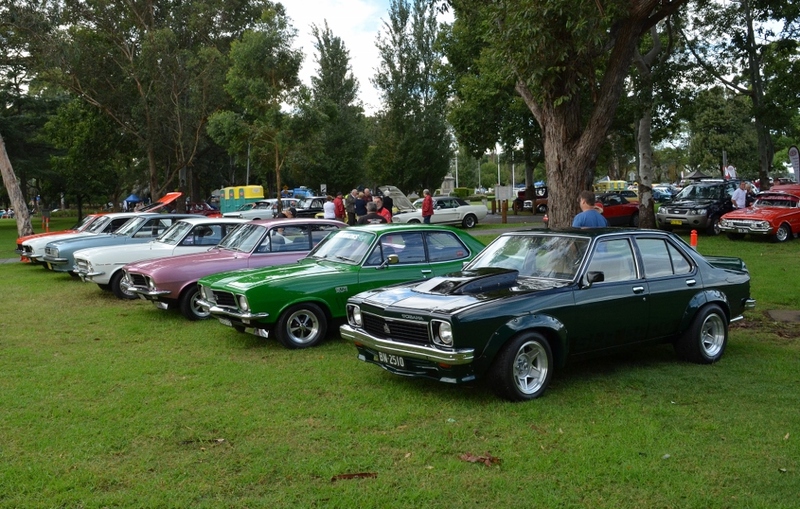 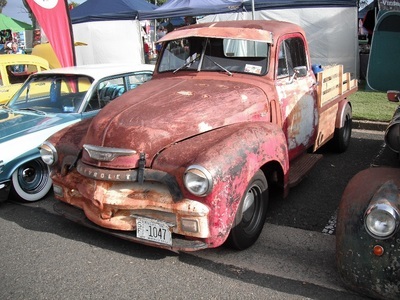 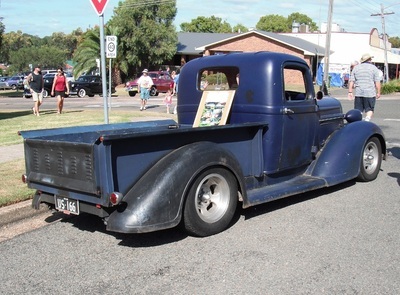 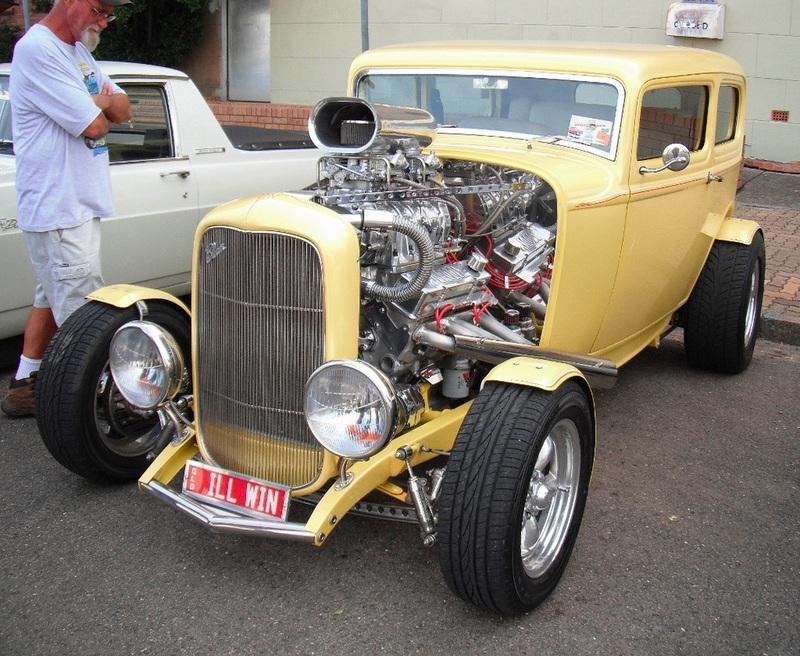 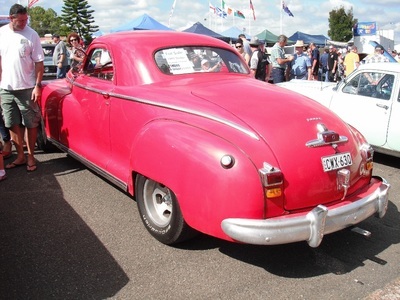 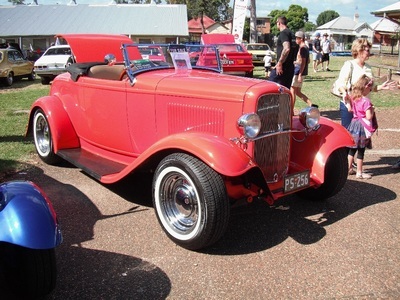 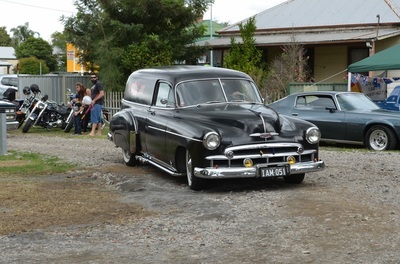 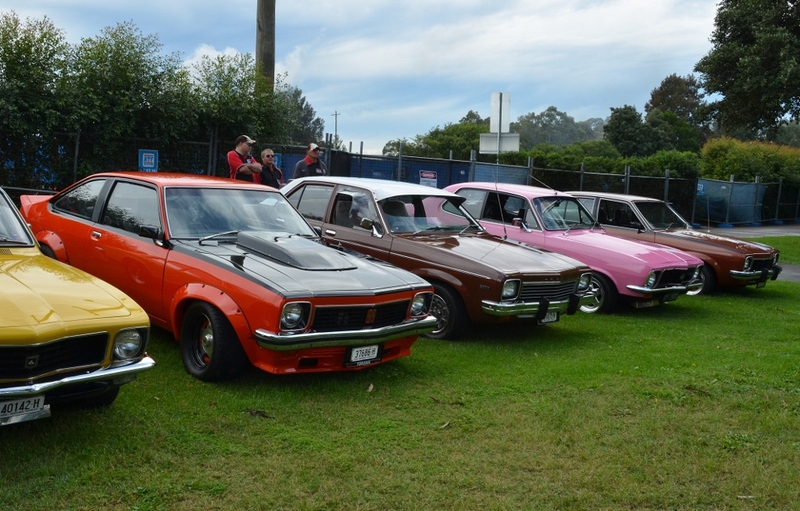 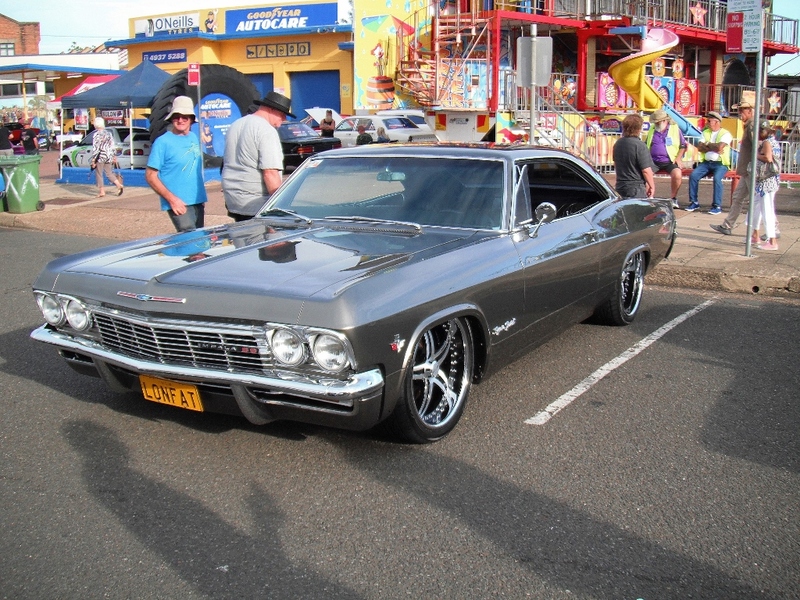 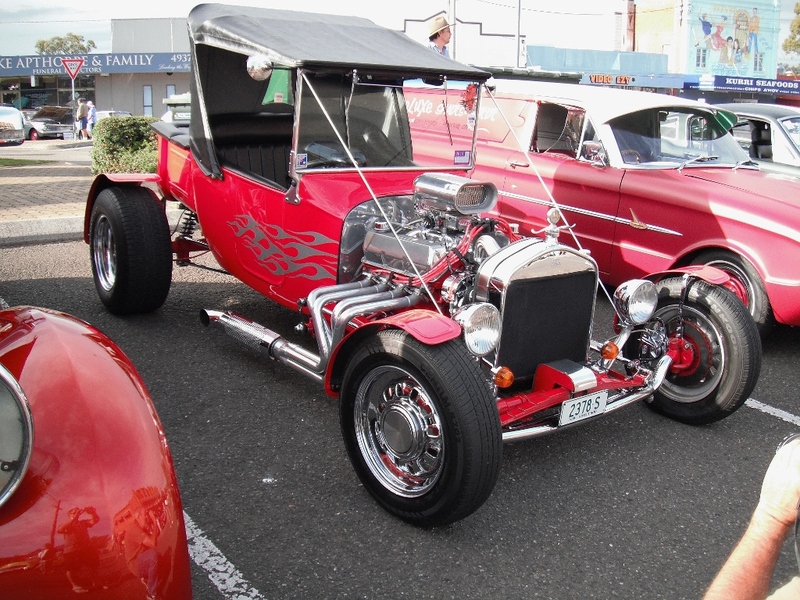 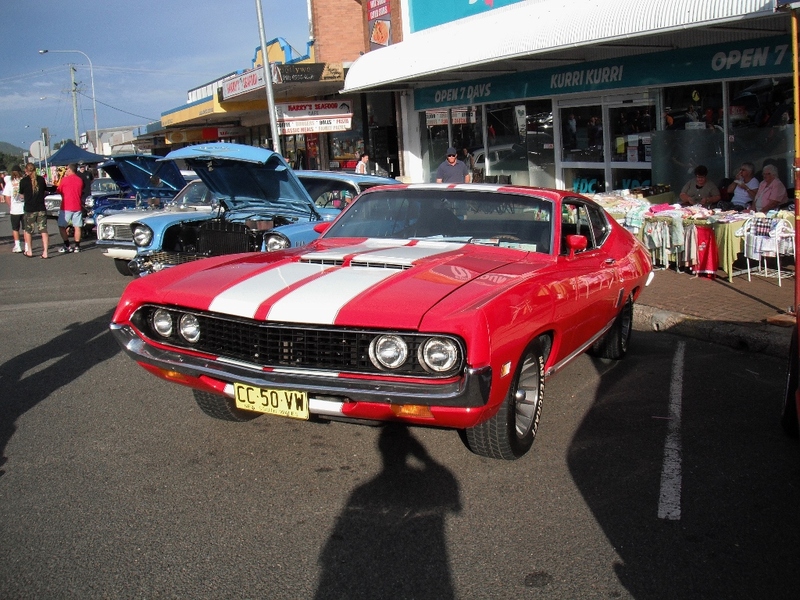 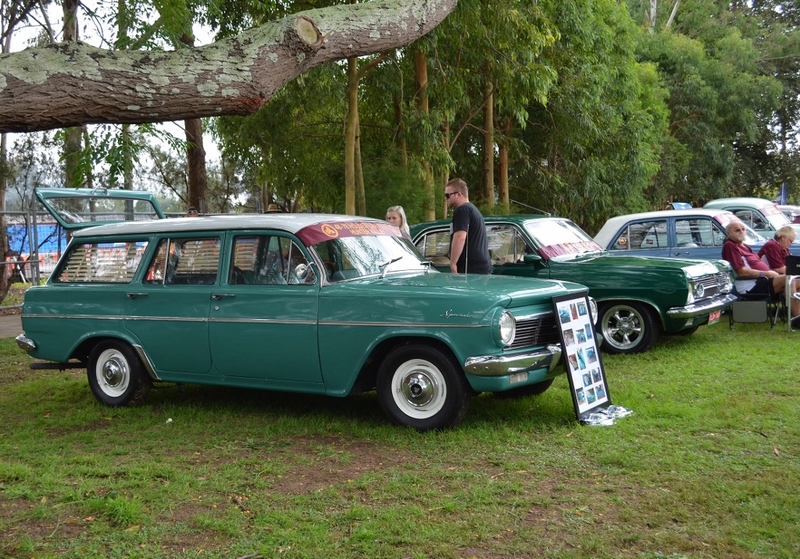 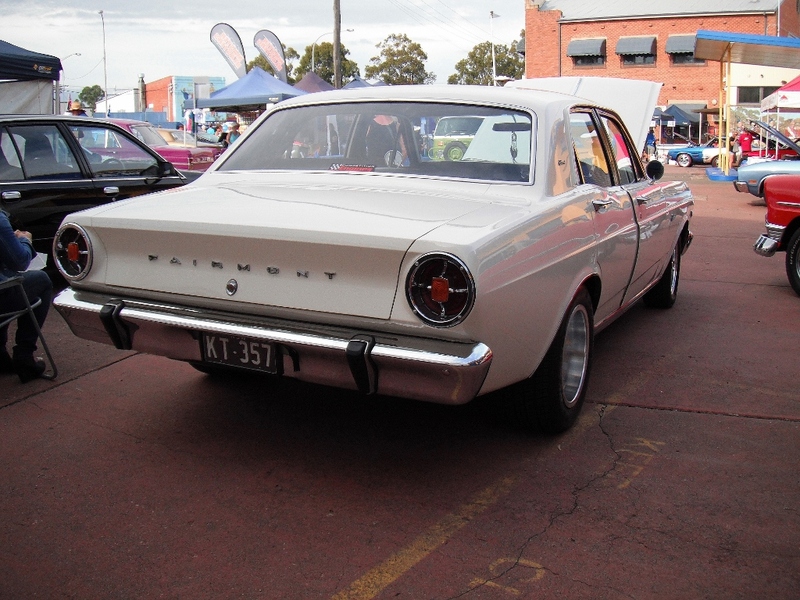 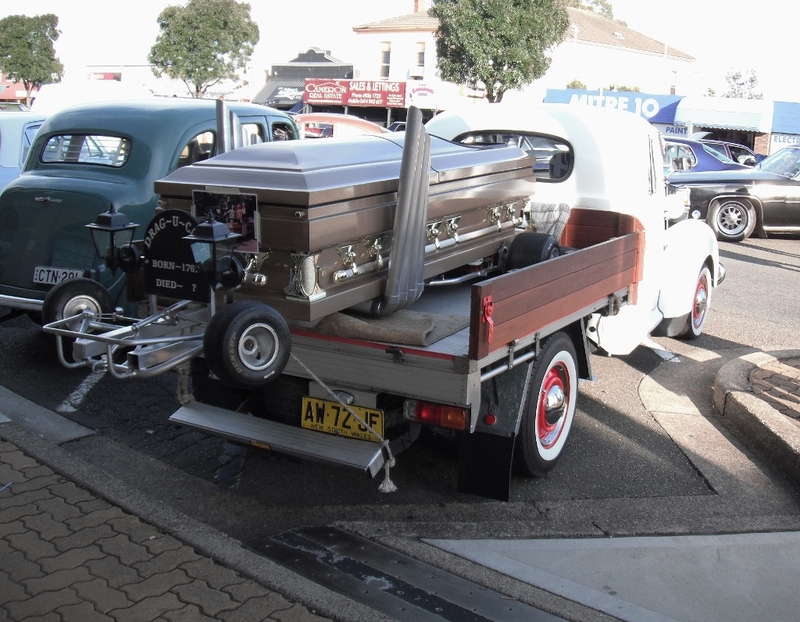 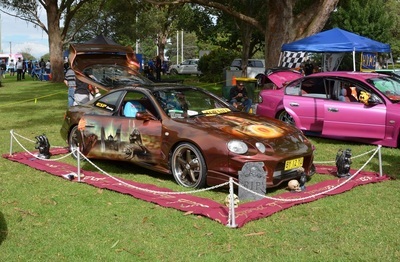 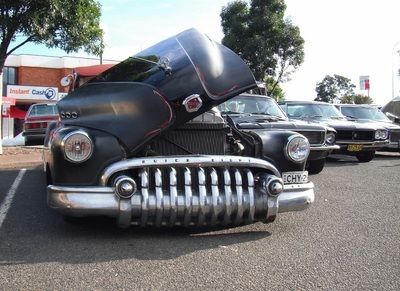 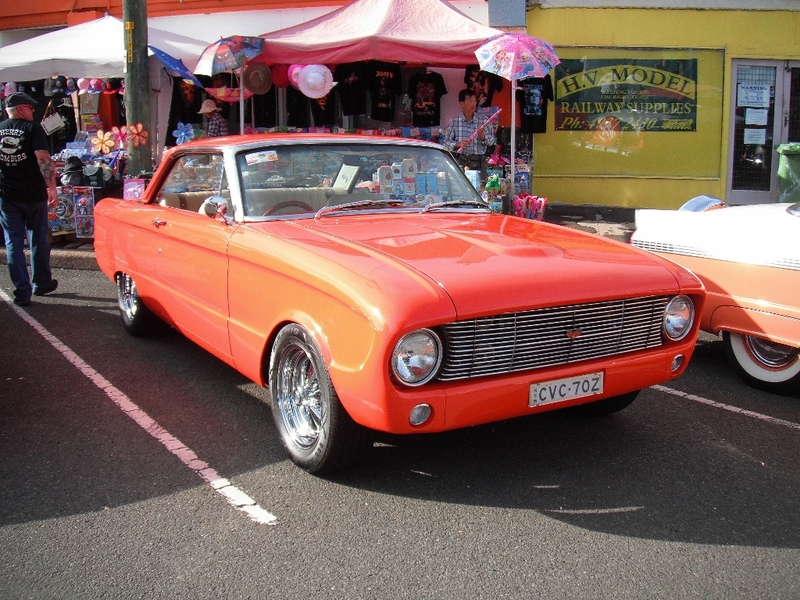 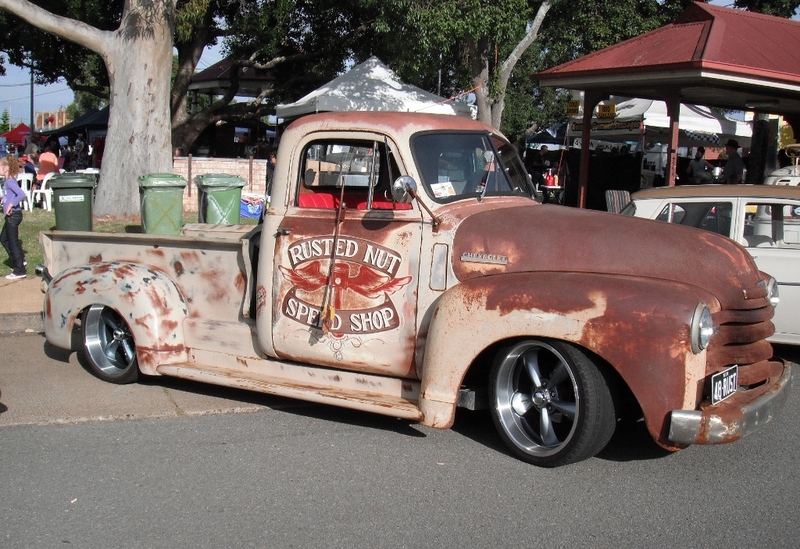 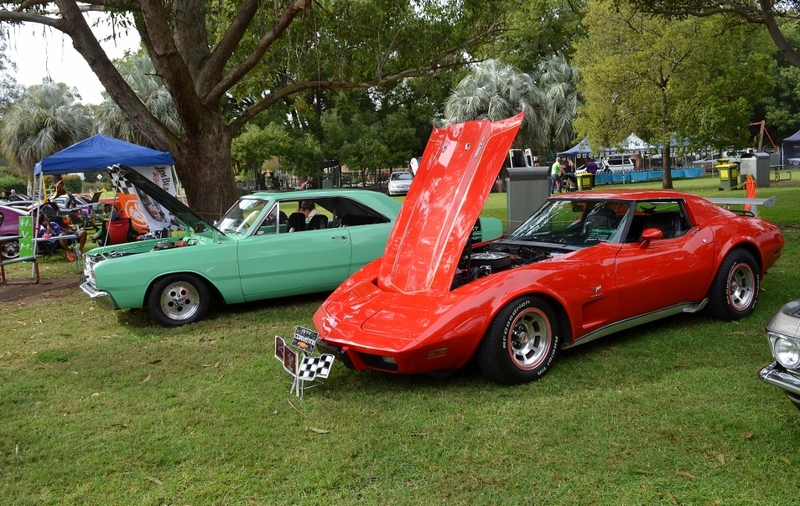 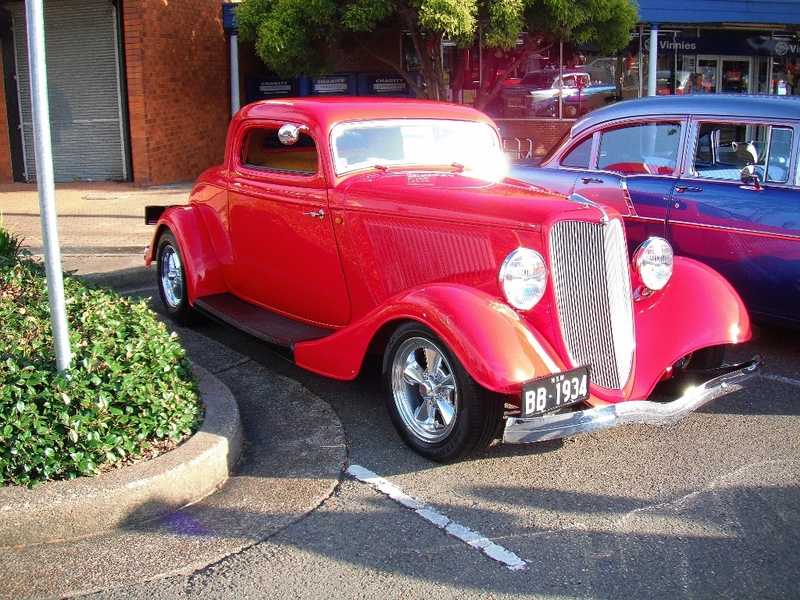 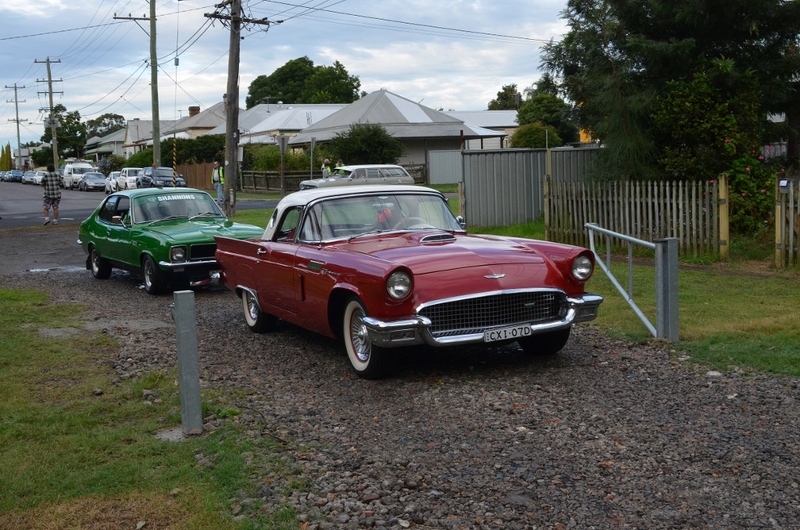 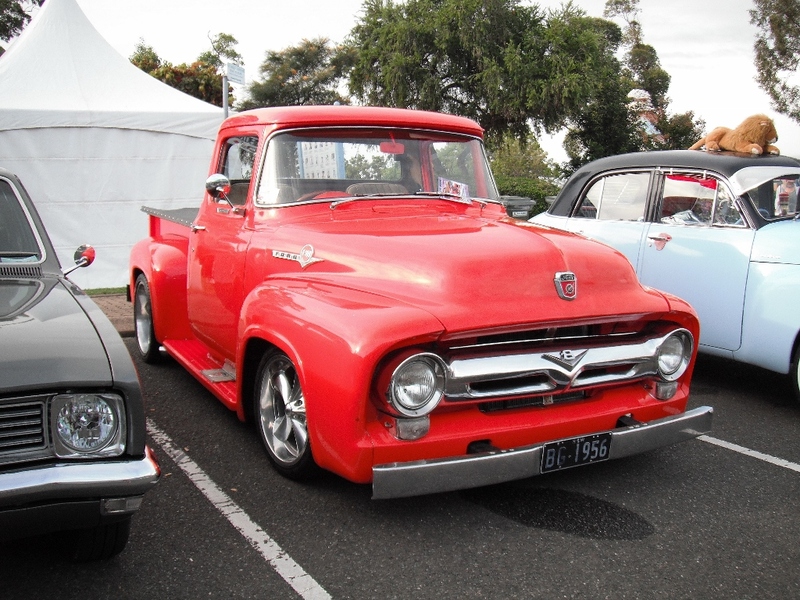 This years Kurri Kurri Nostalgia Festival was a great success. 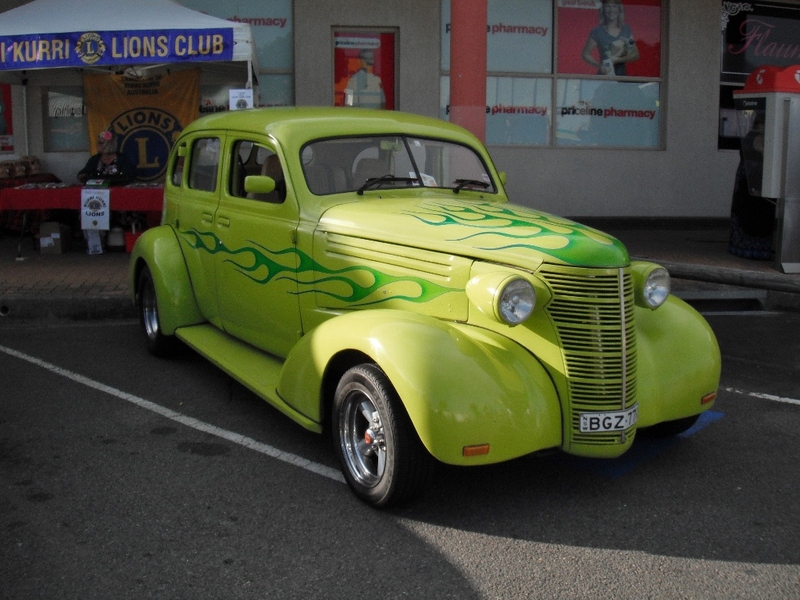 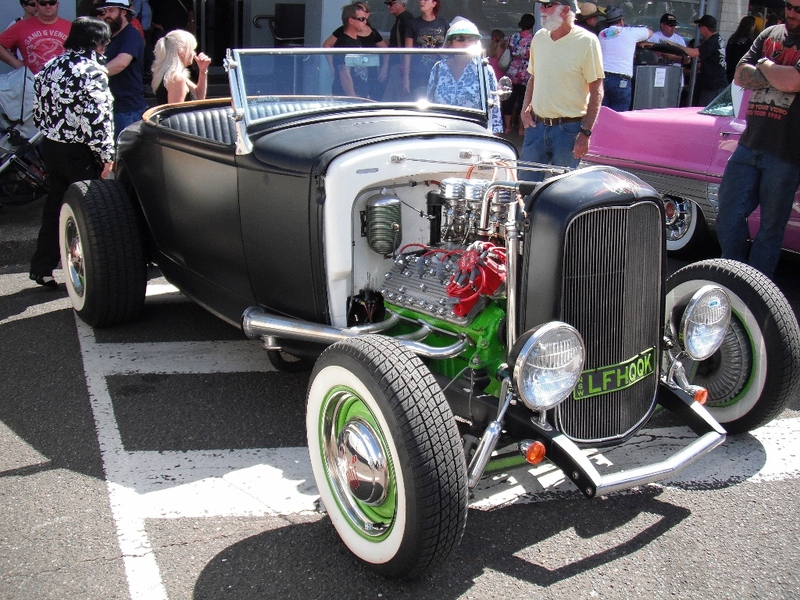 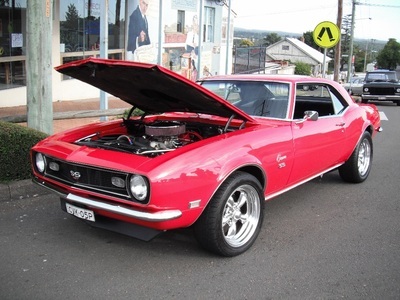 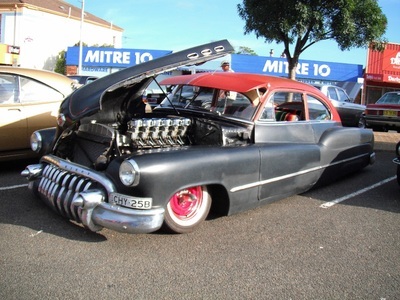 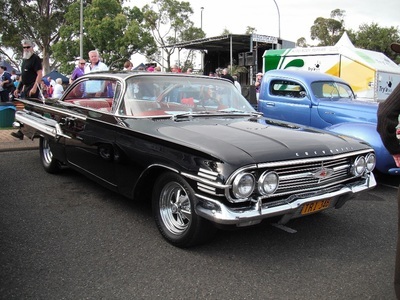 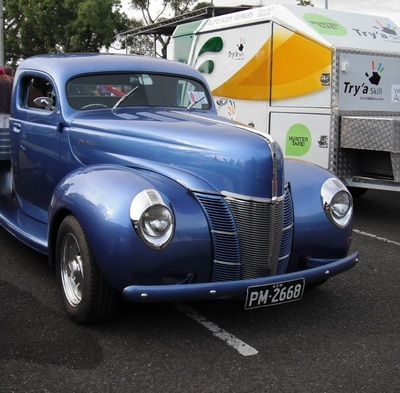 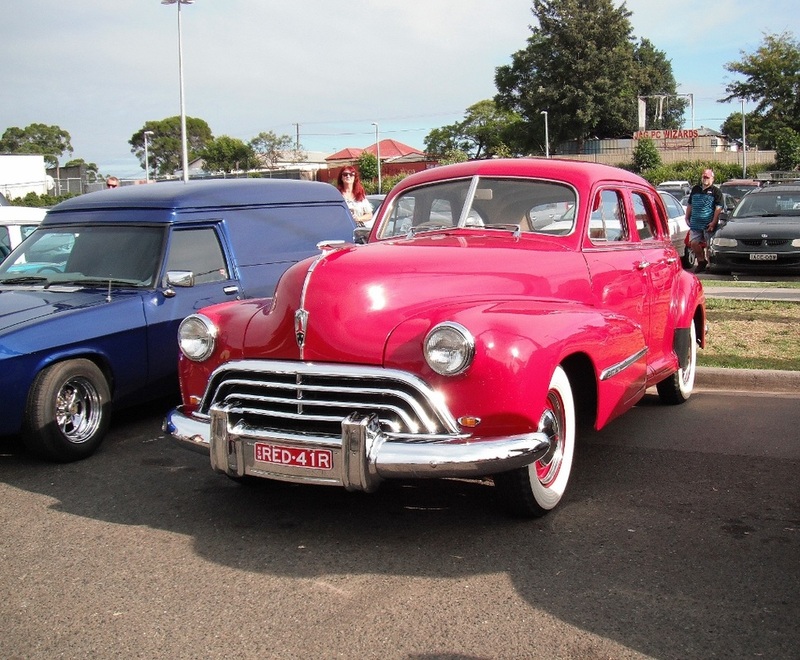 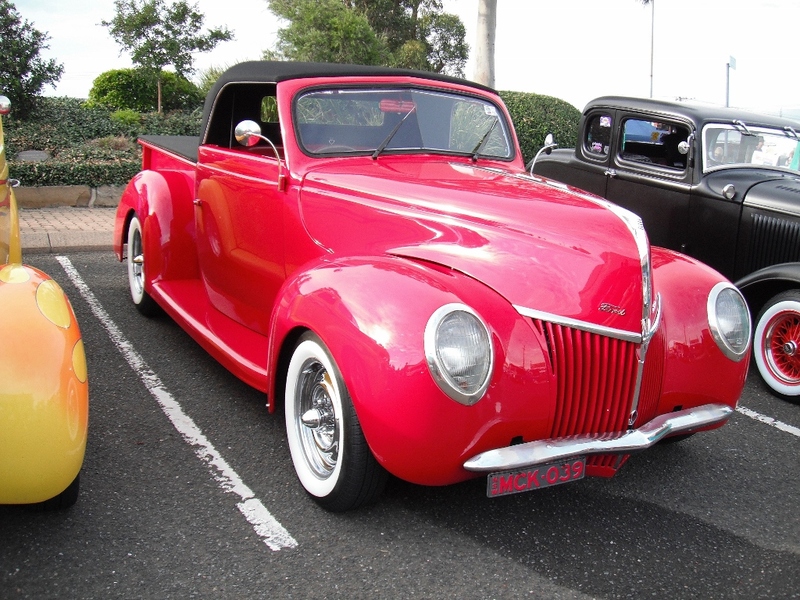 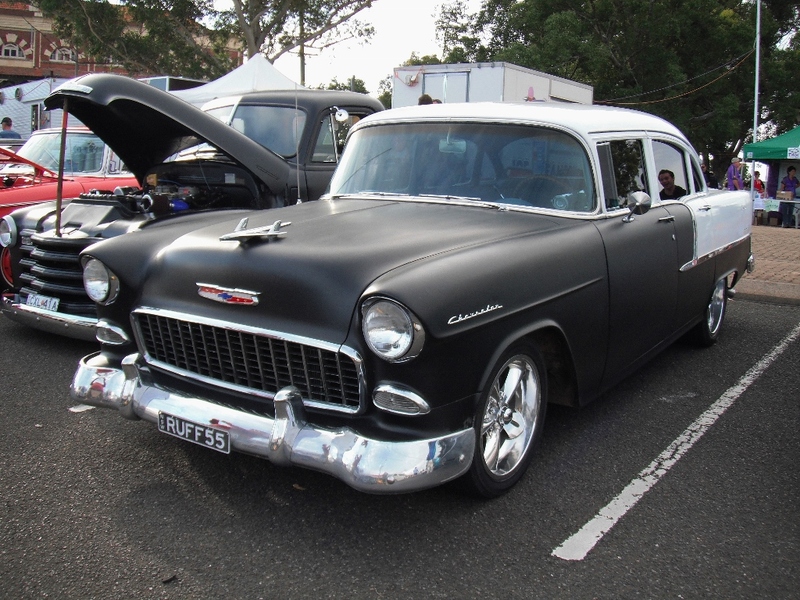 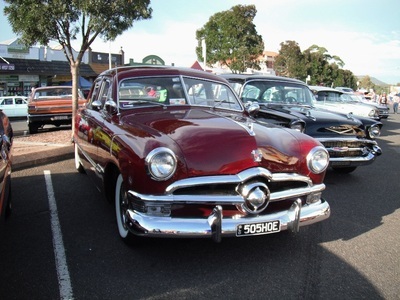 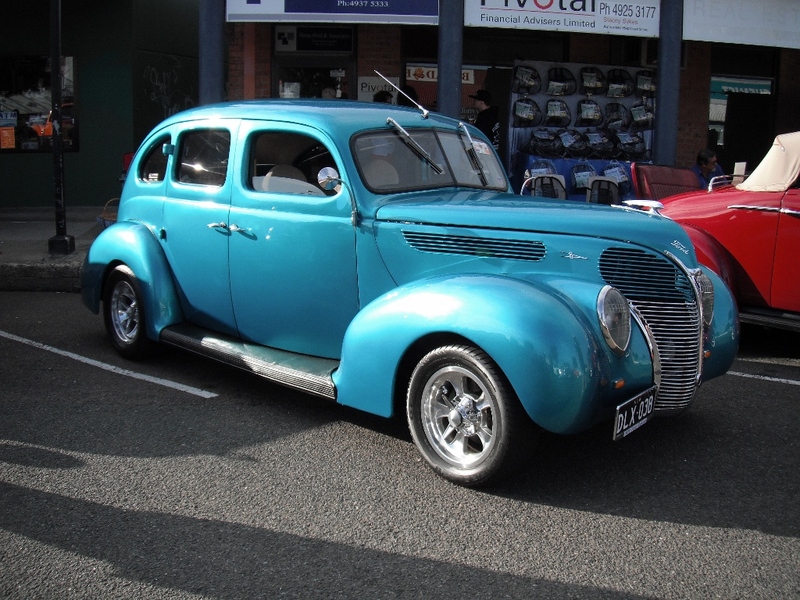 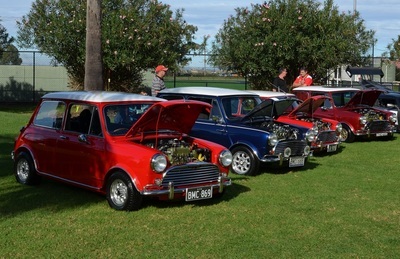 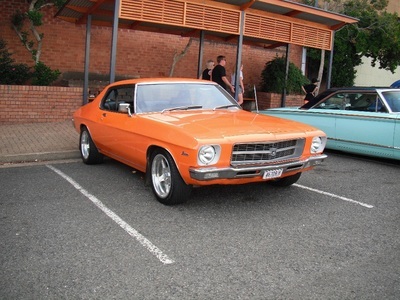 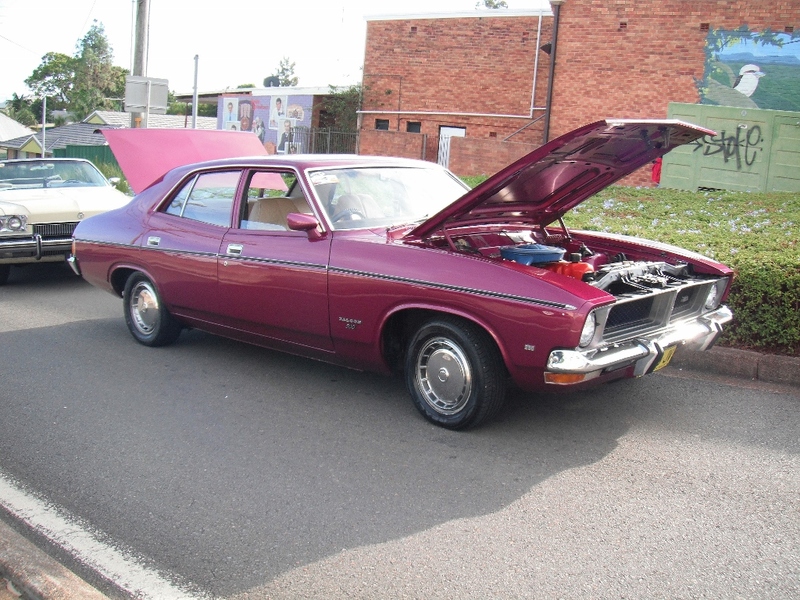 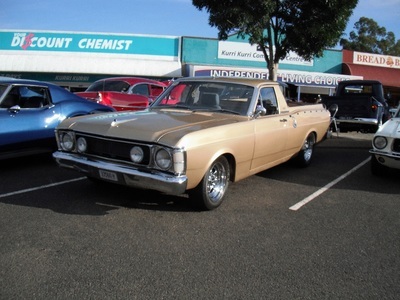 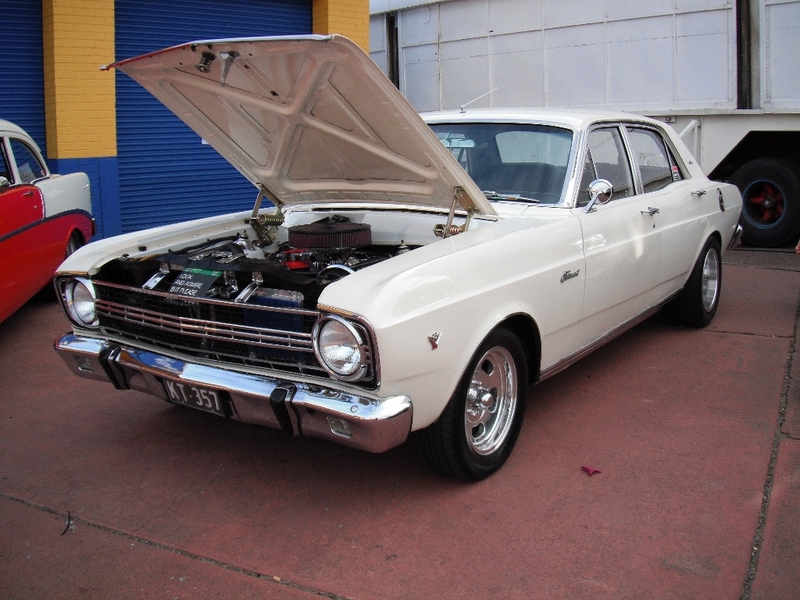 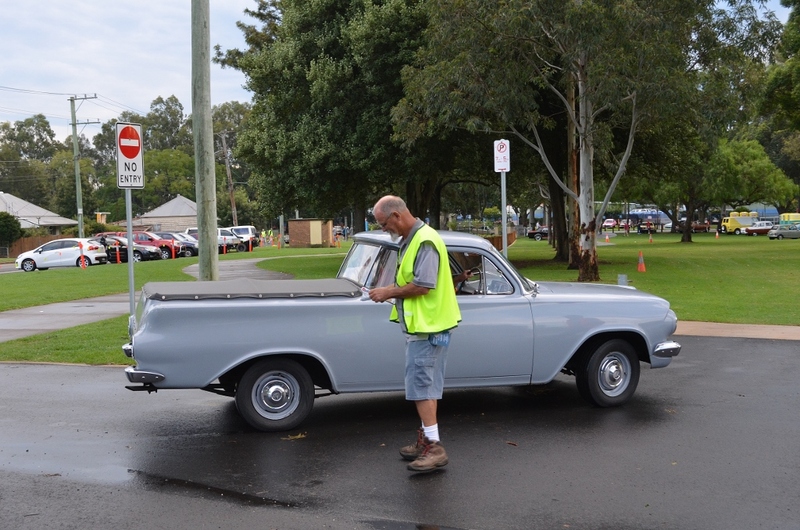 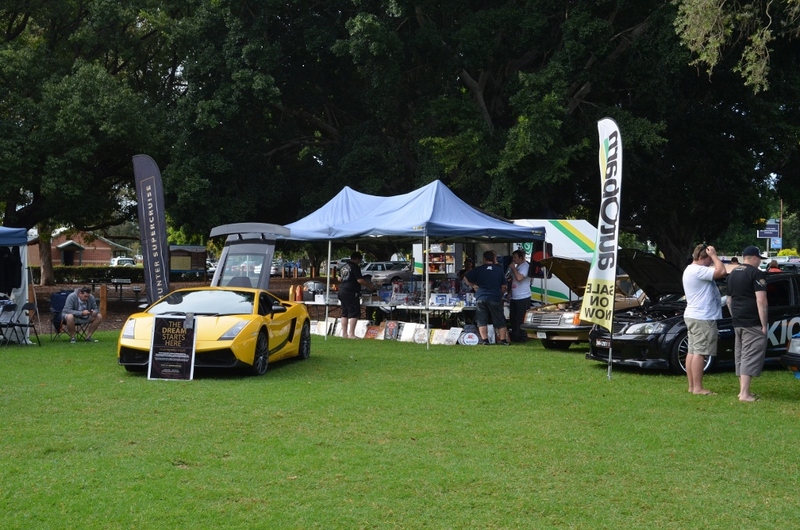 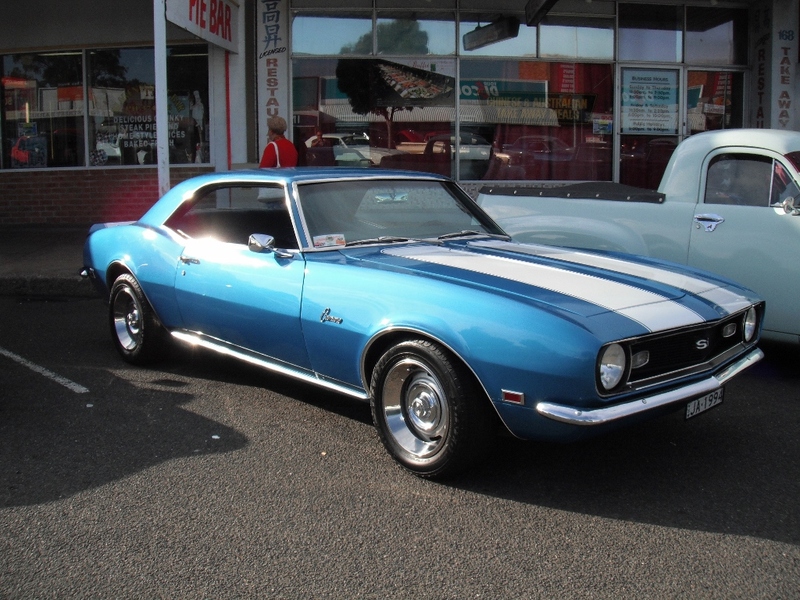 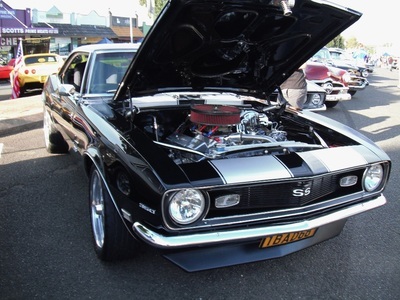 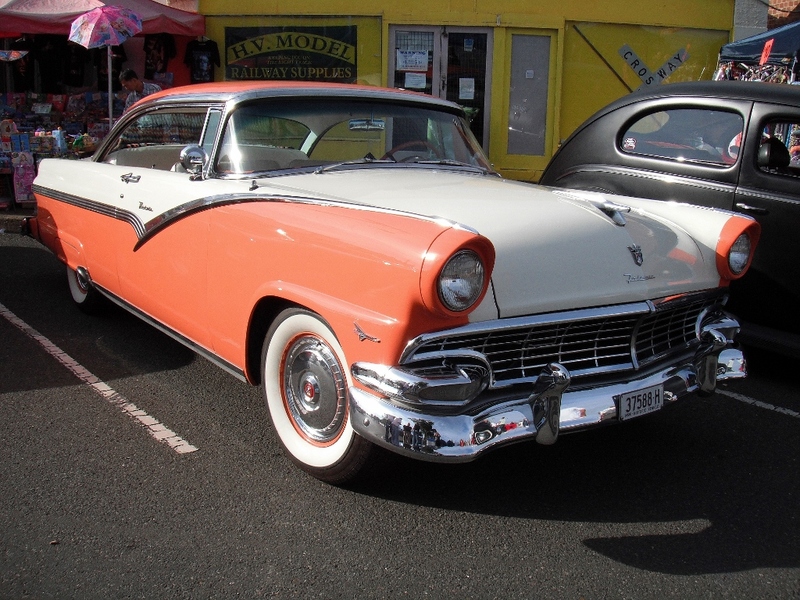 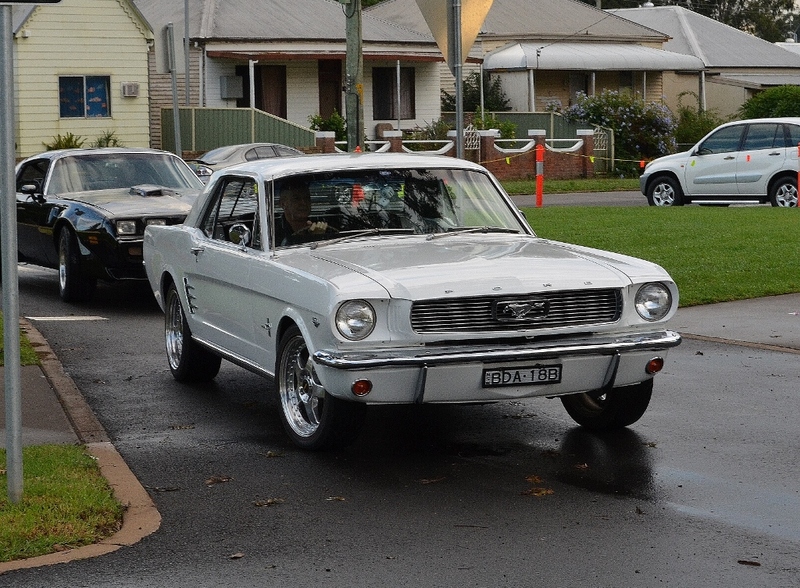 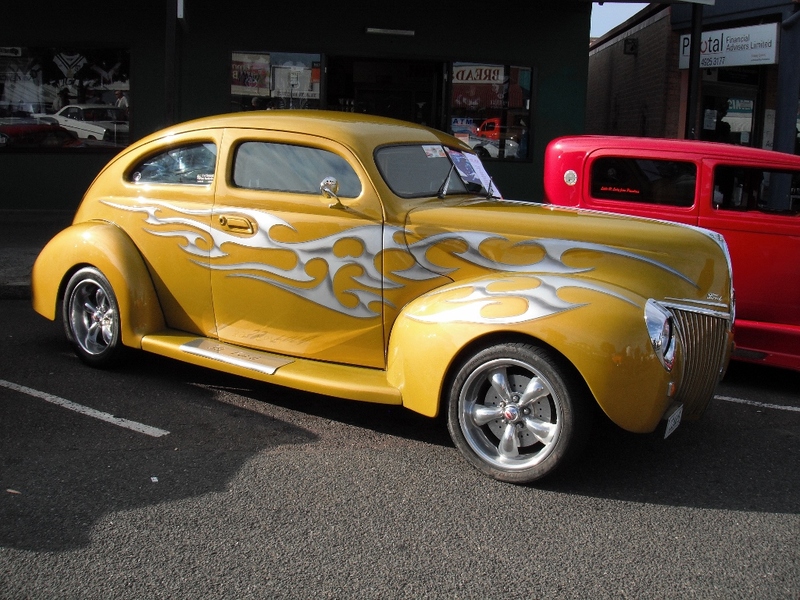 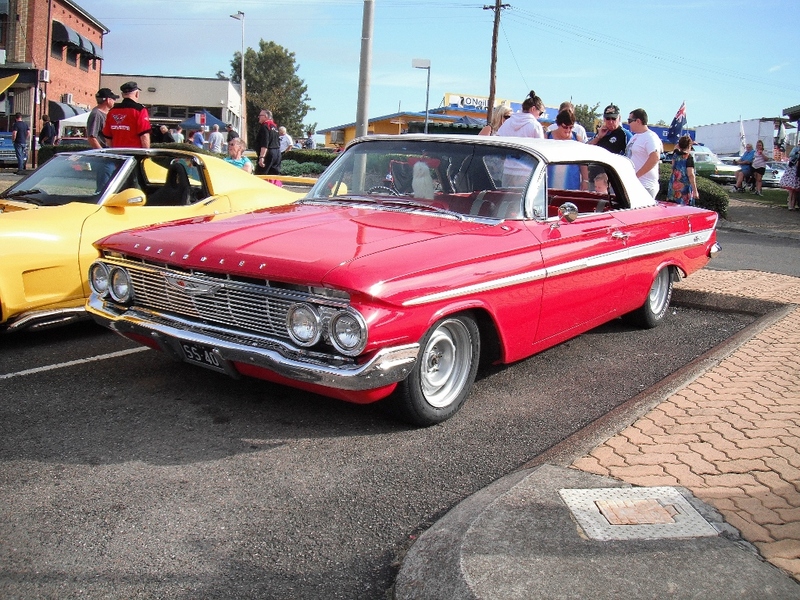 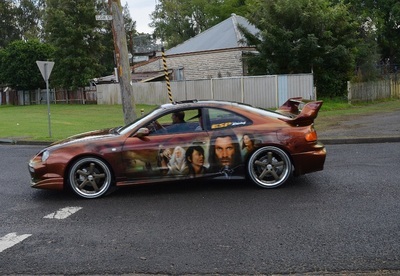 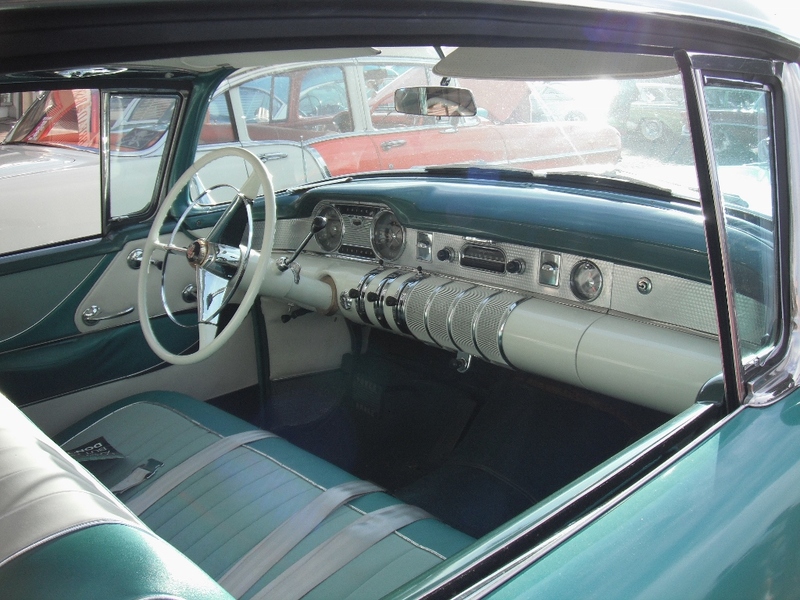 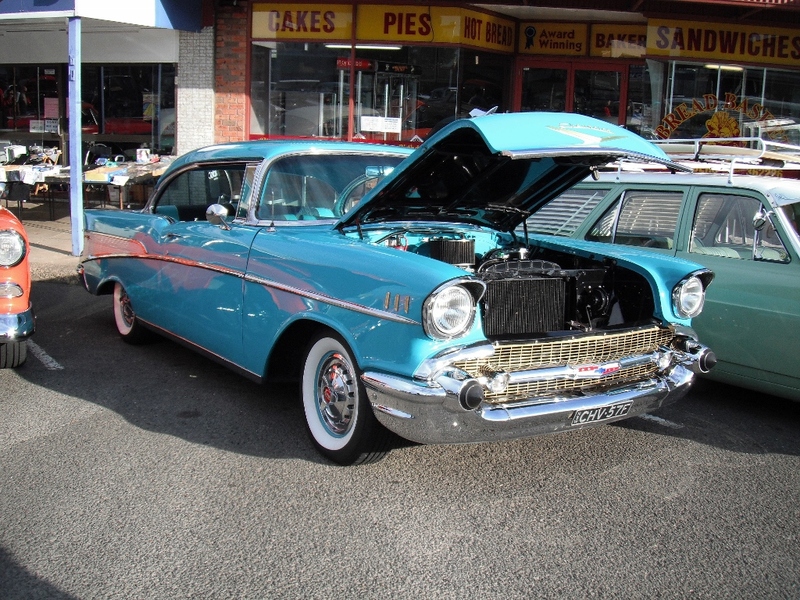 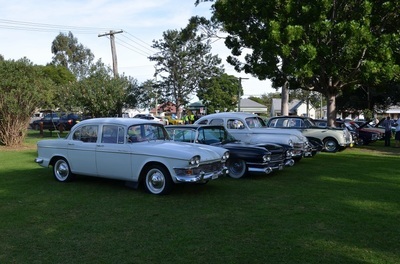 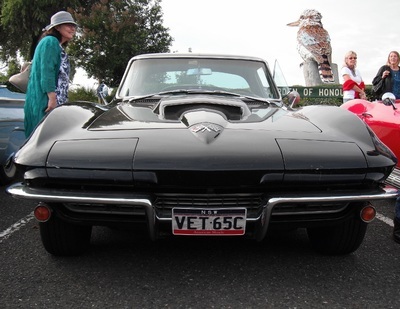 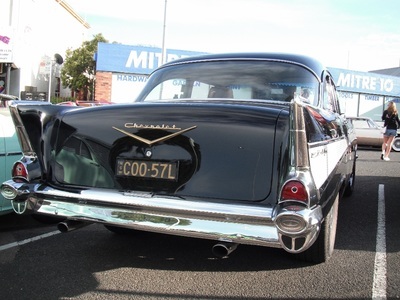 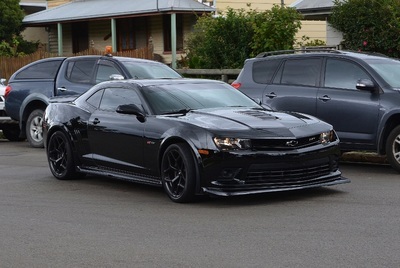 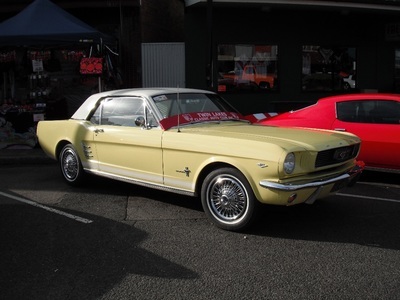 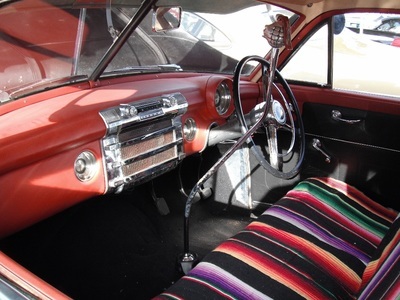 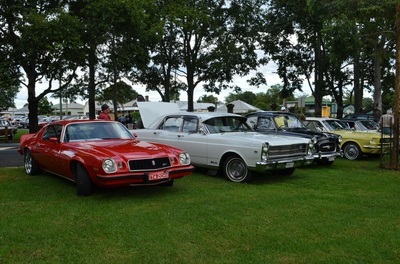 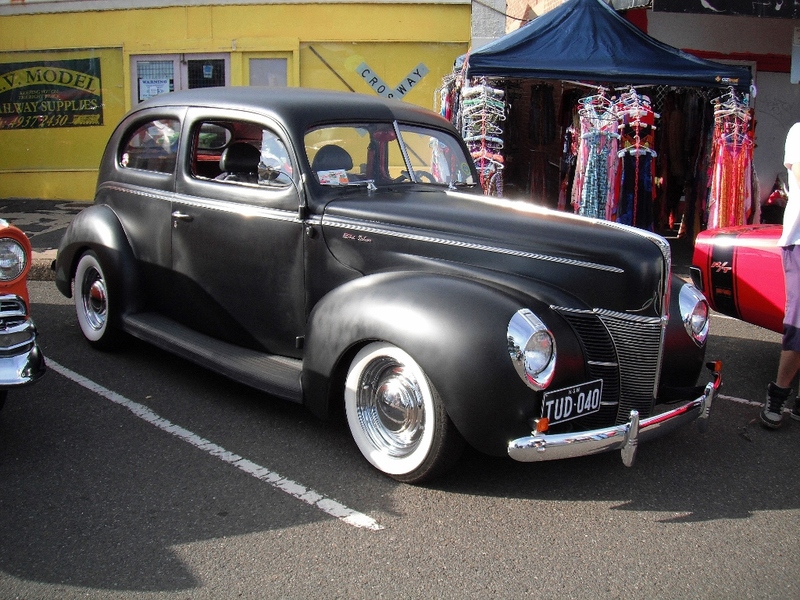 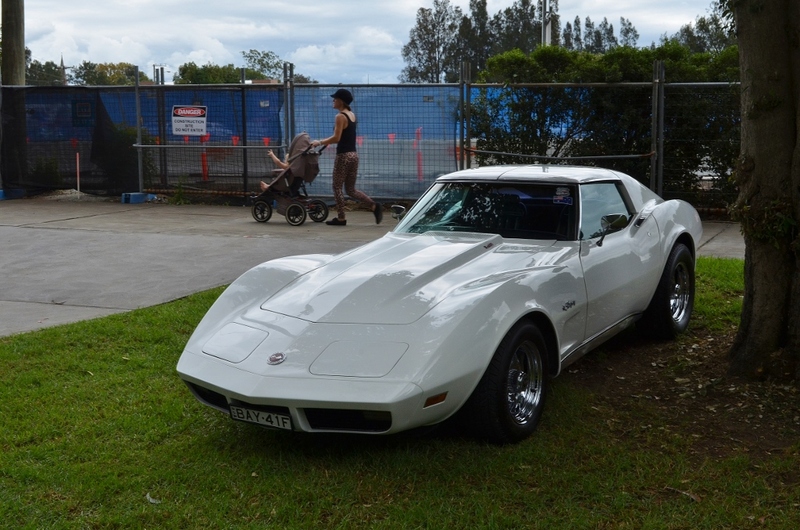 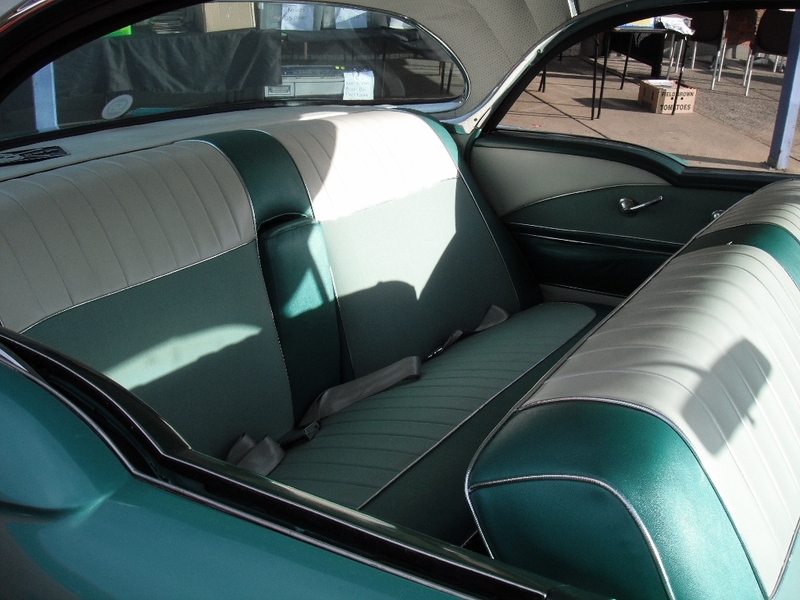 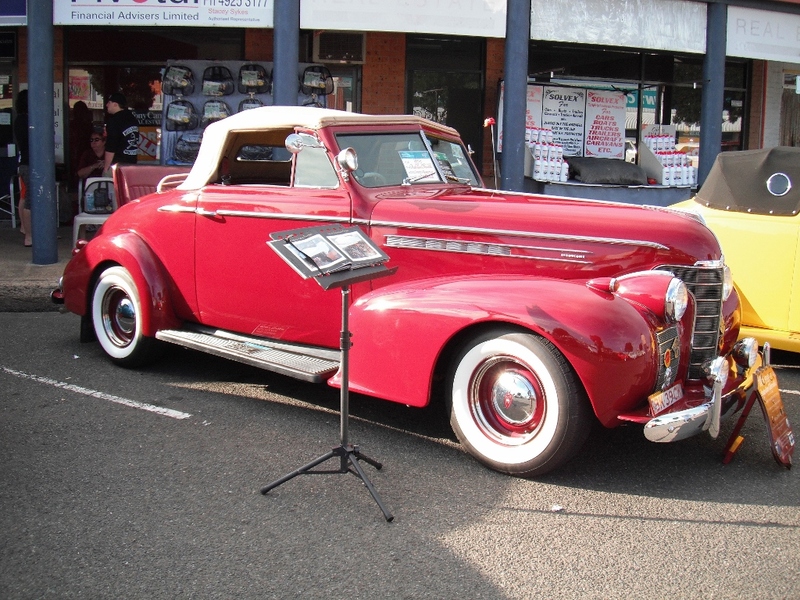 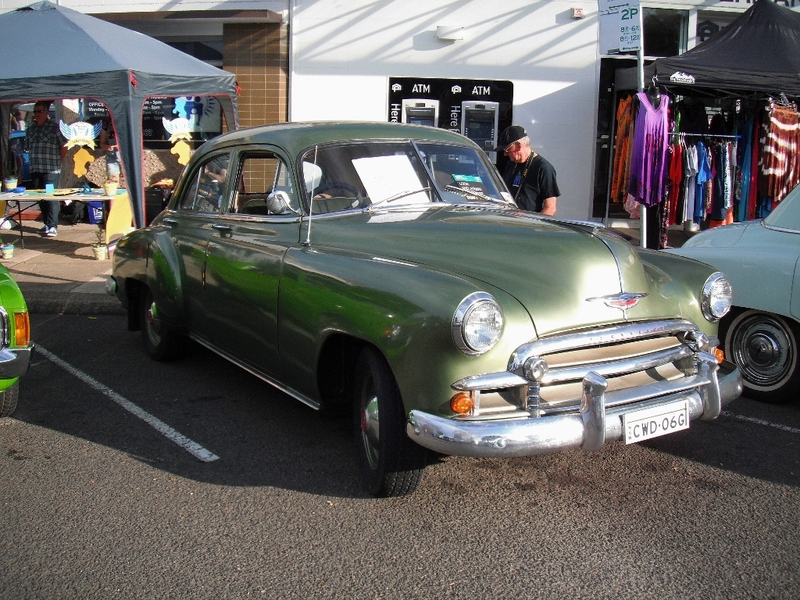 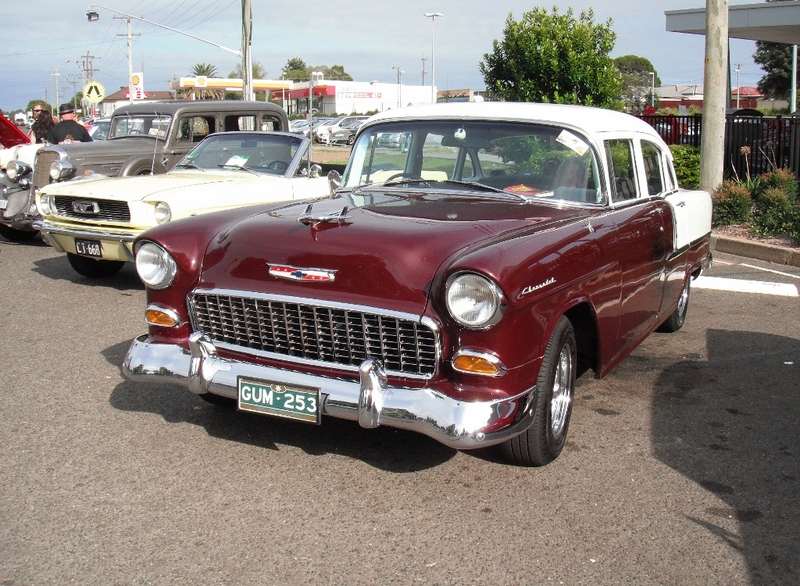 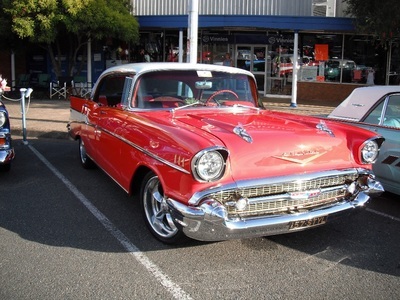 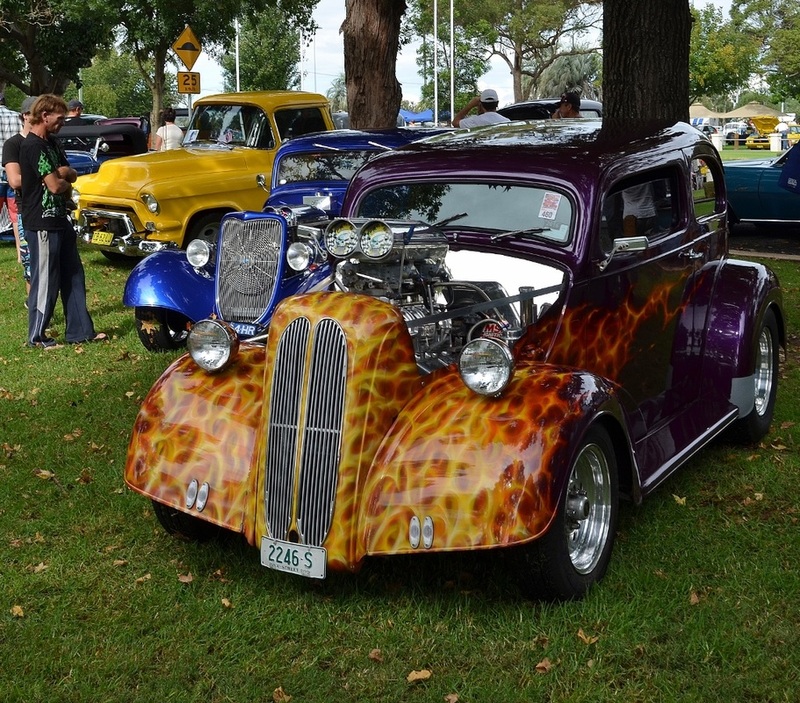 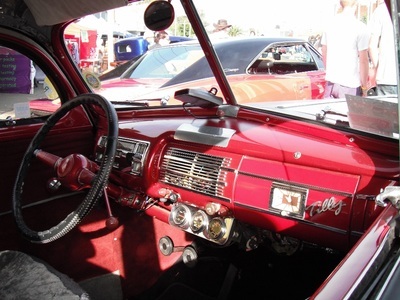 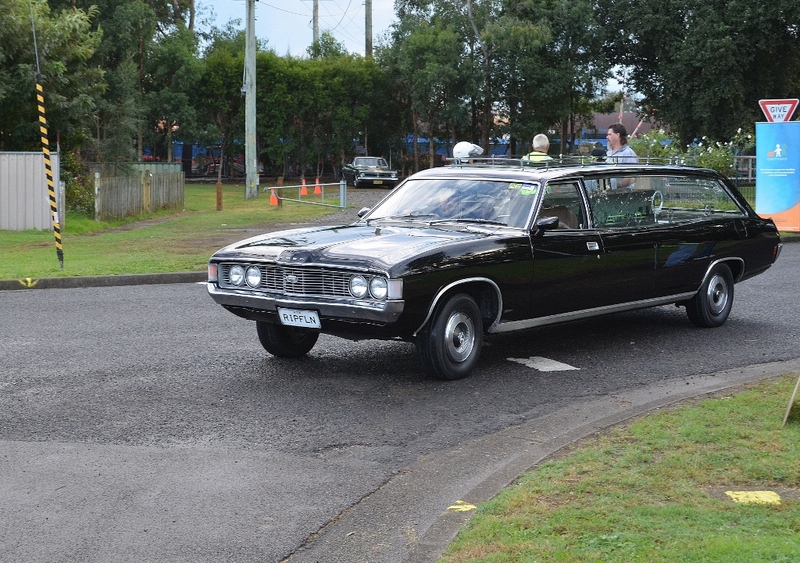 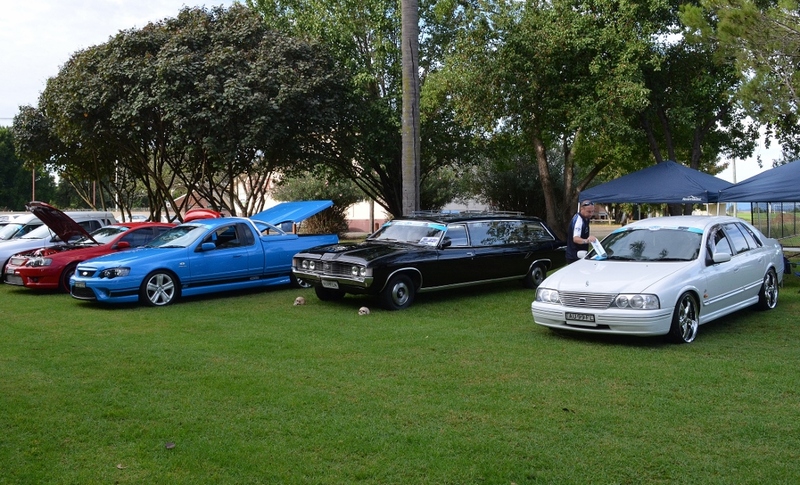 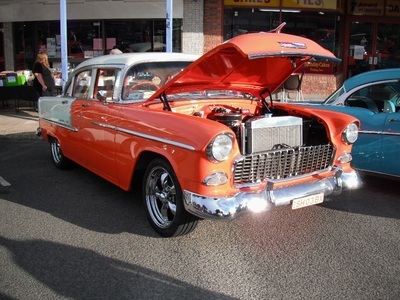 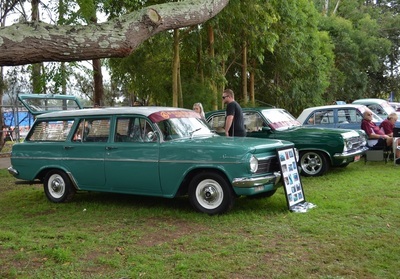 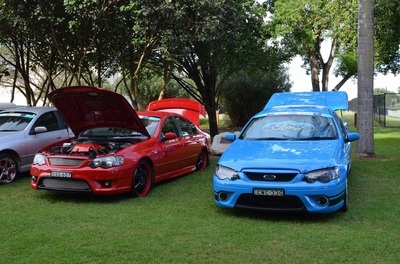 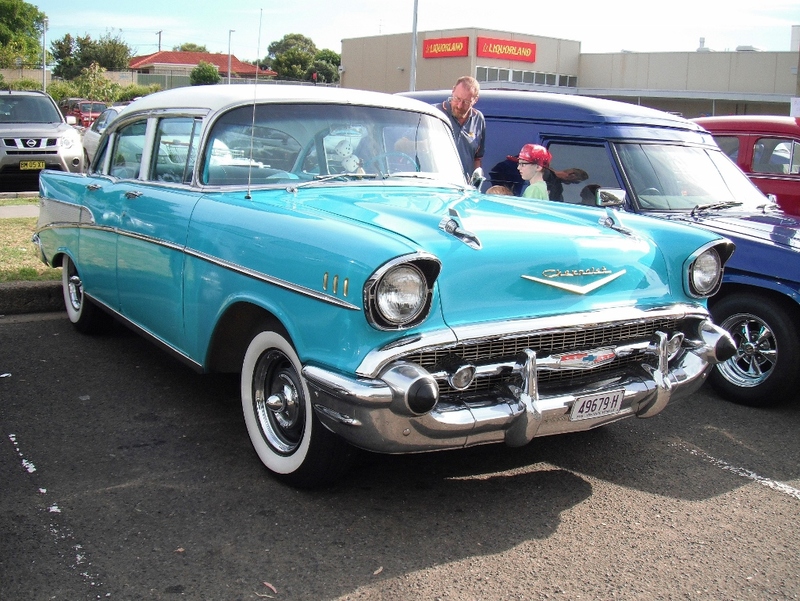 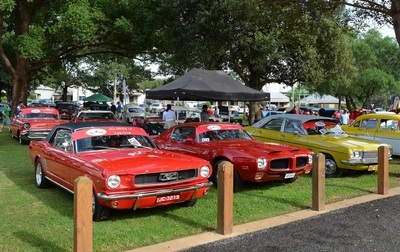 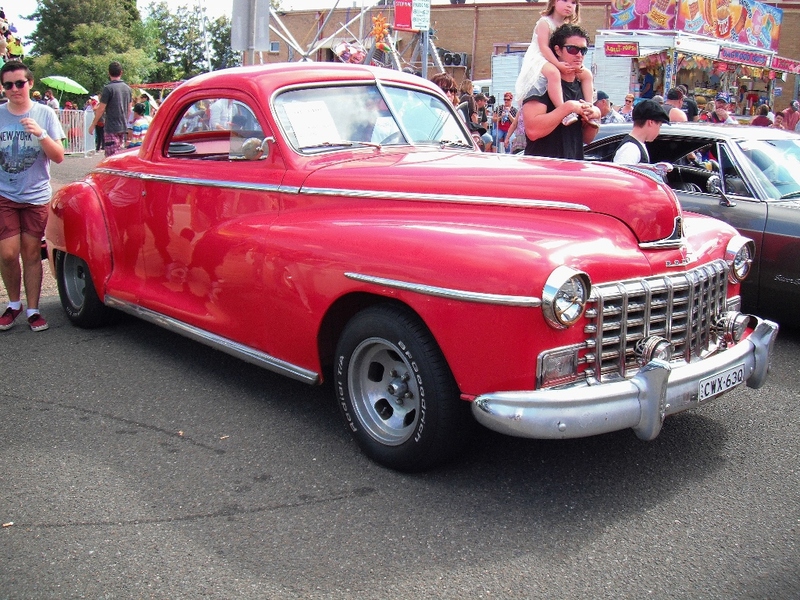 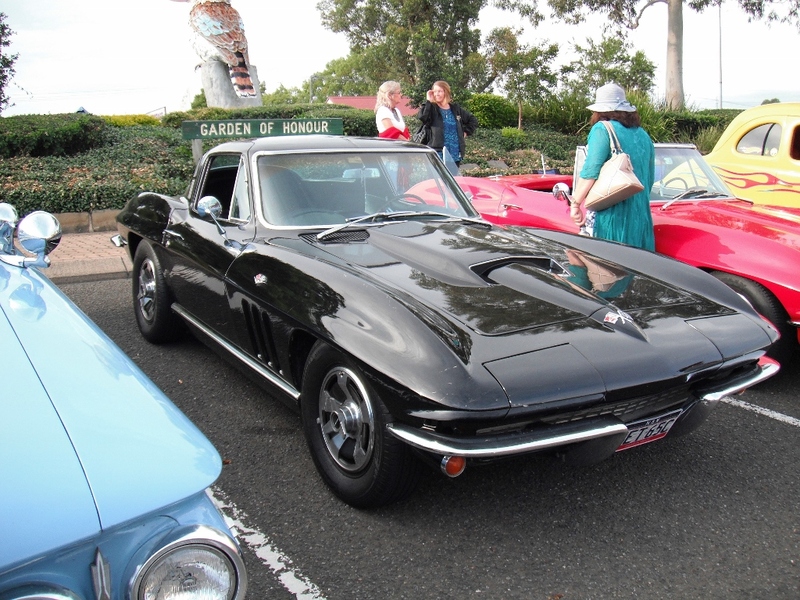 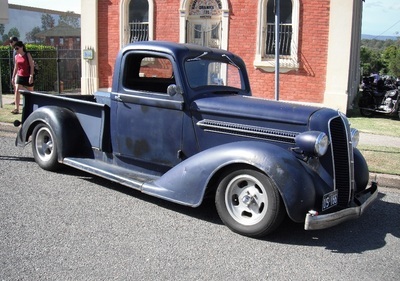 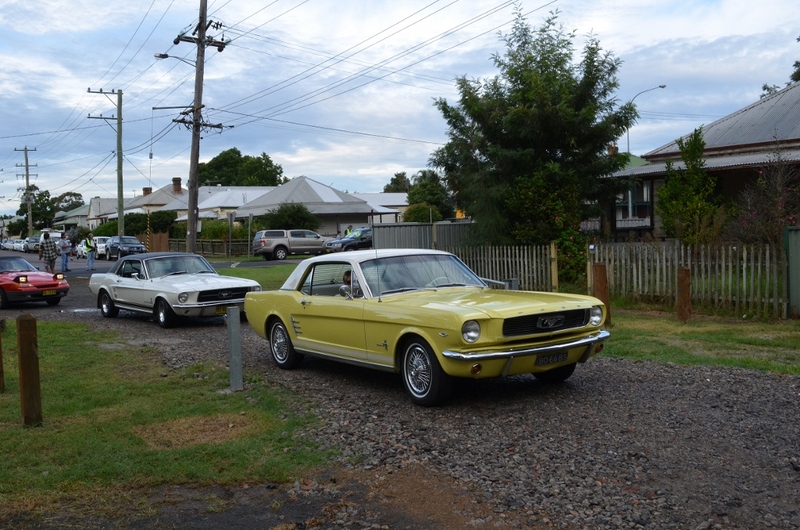 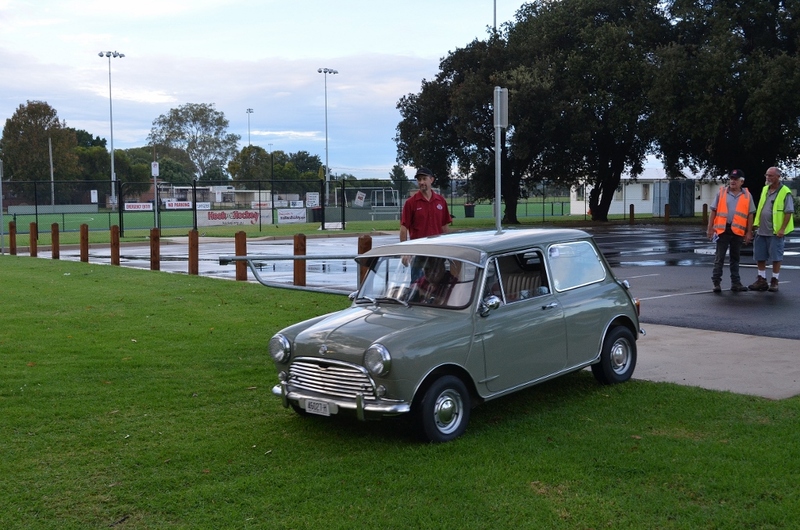 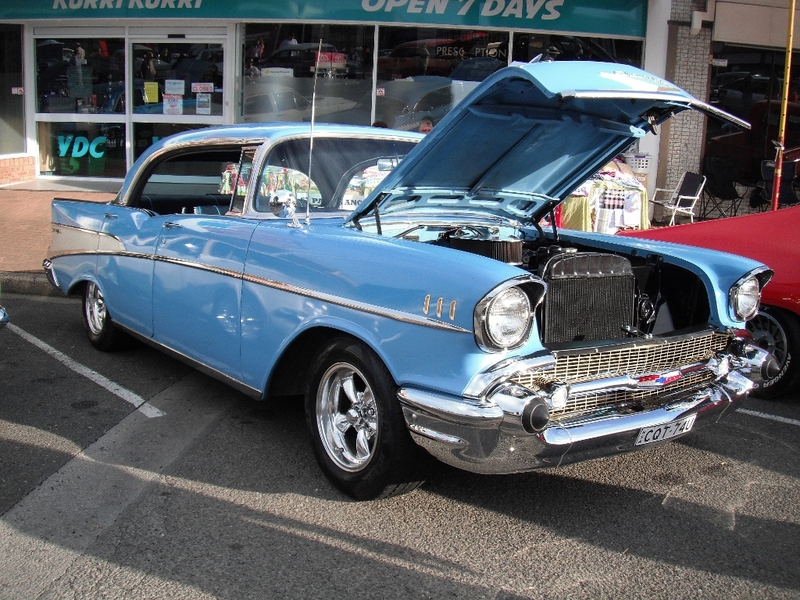 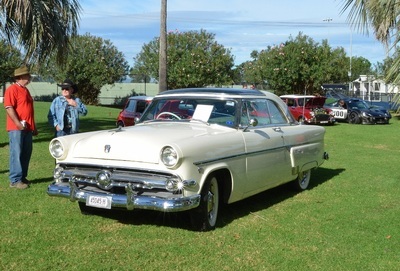 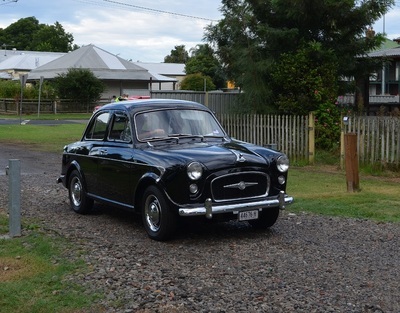 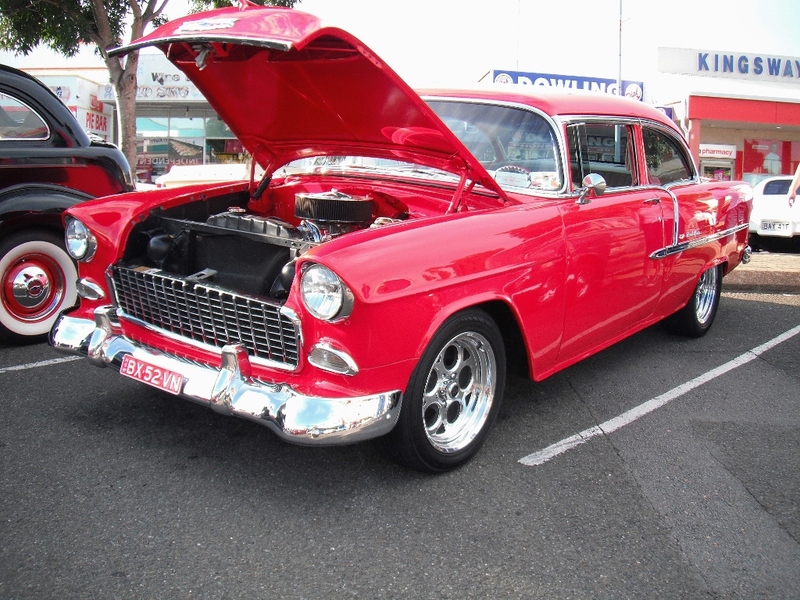 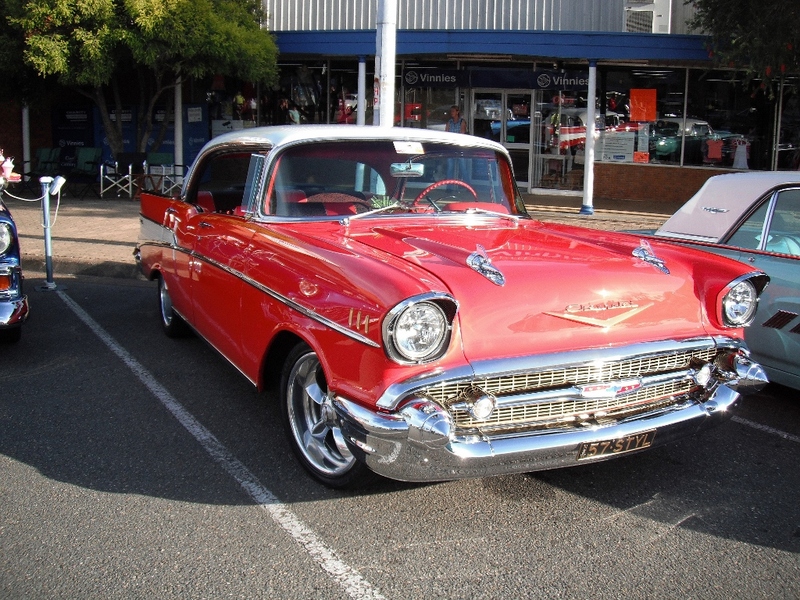 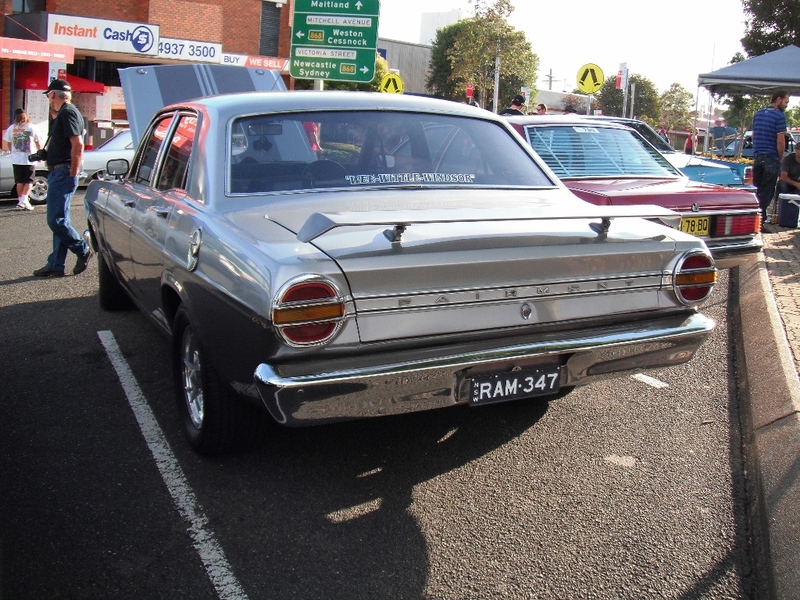 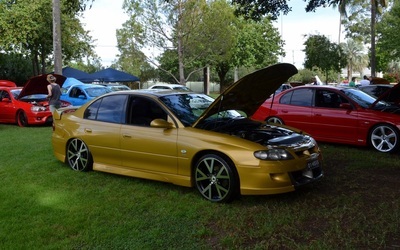 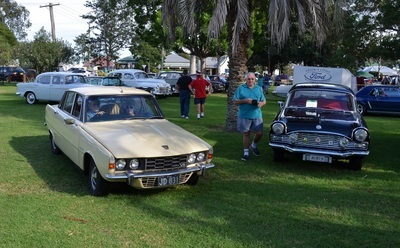 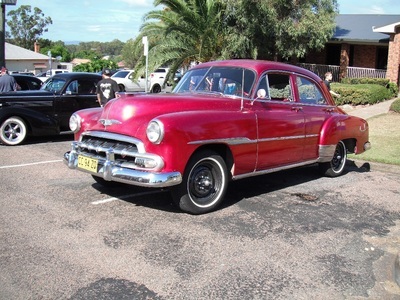 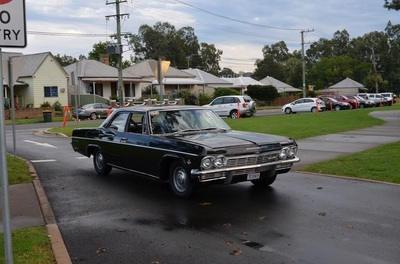 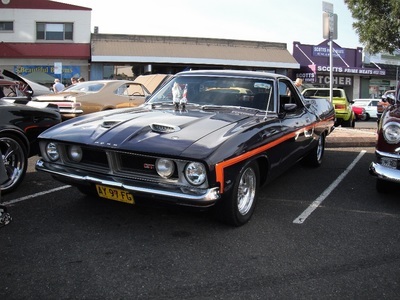 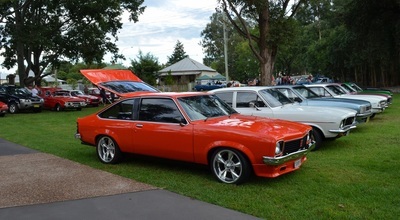 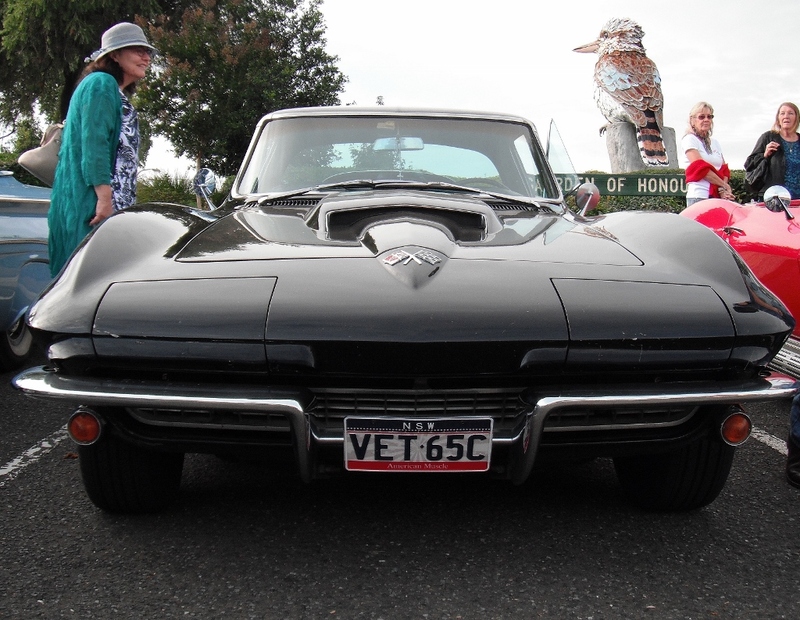 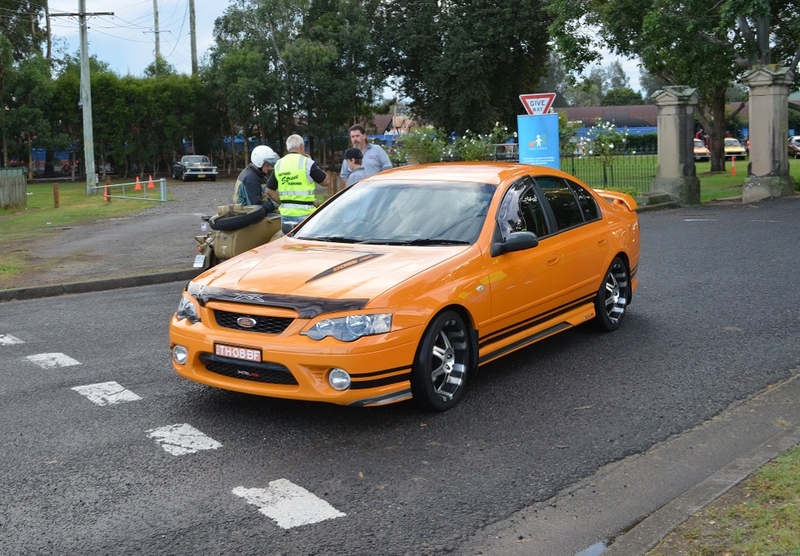 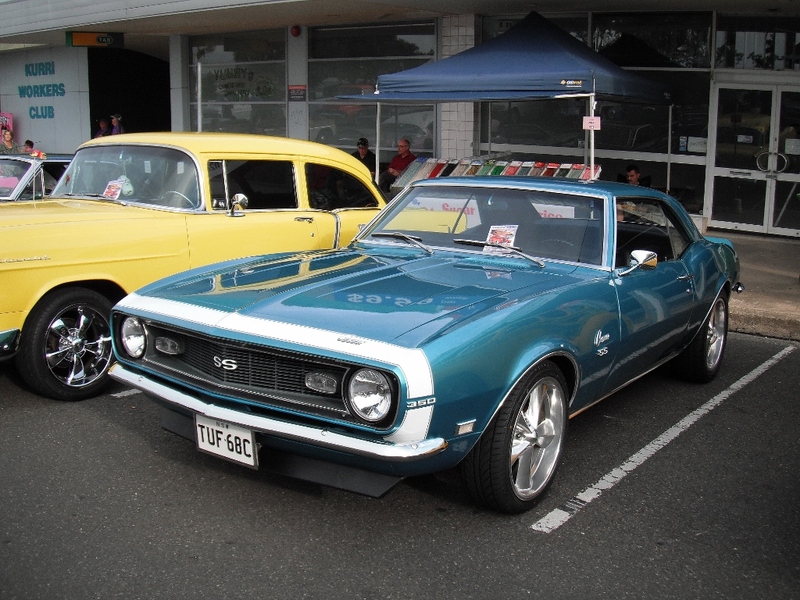 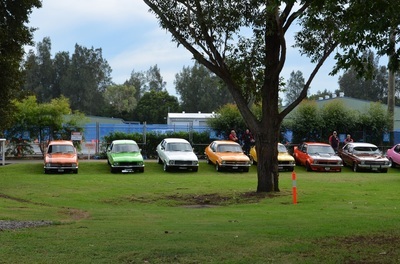 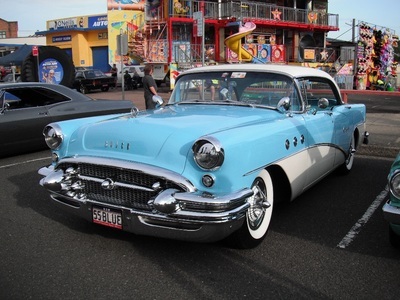 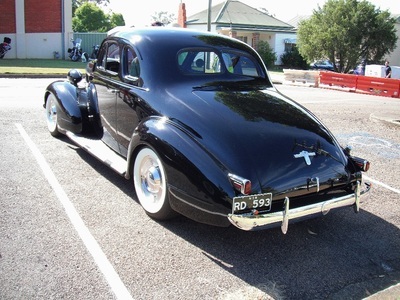 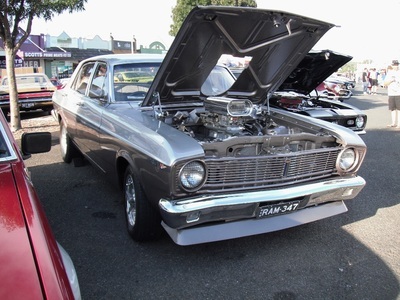 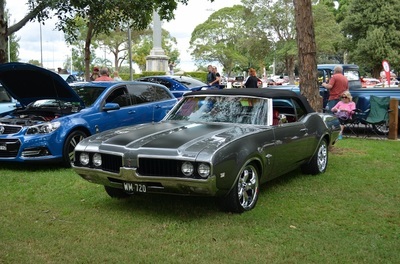 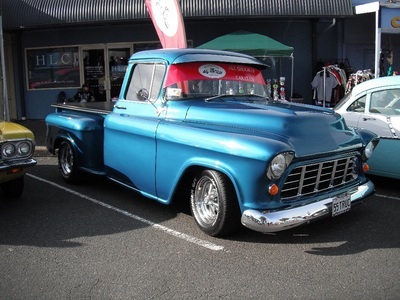 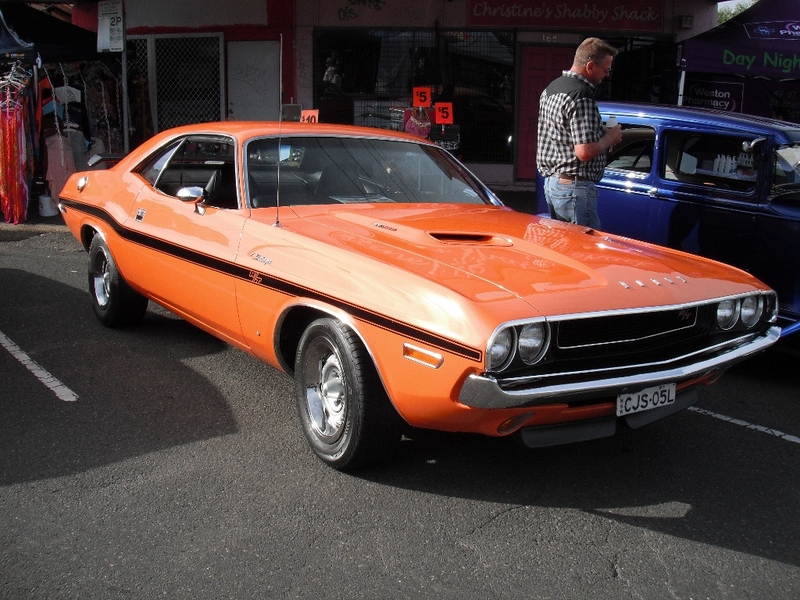 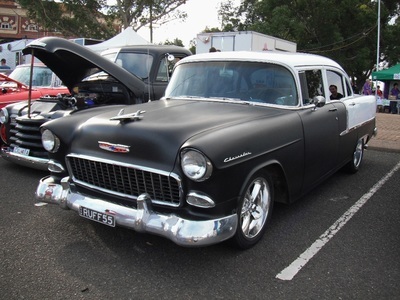 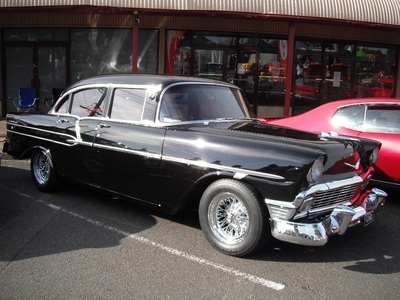 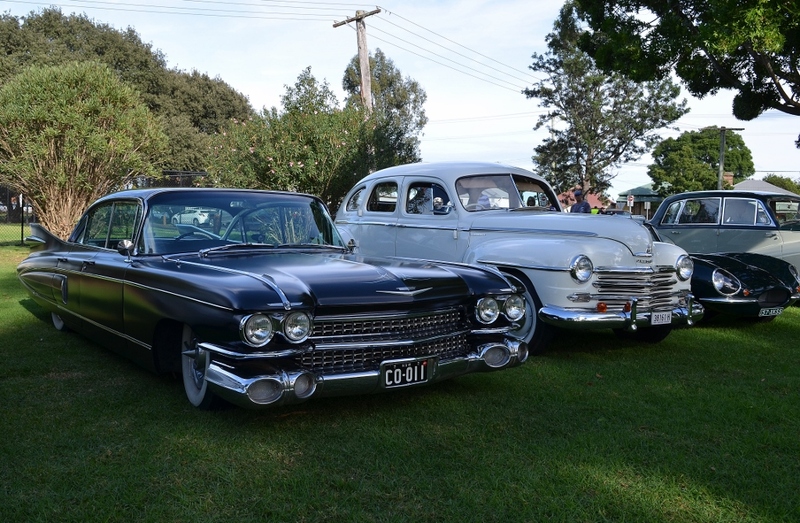 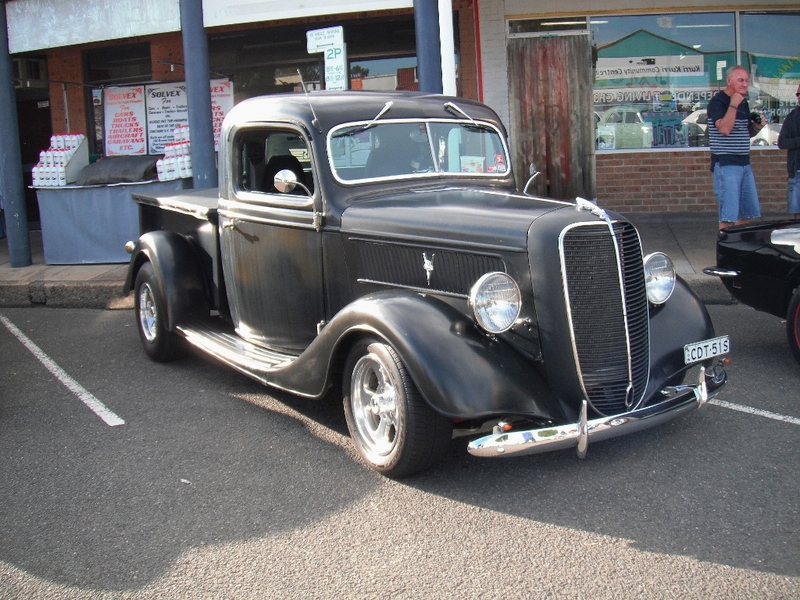 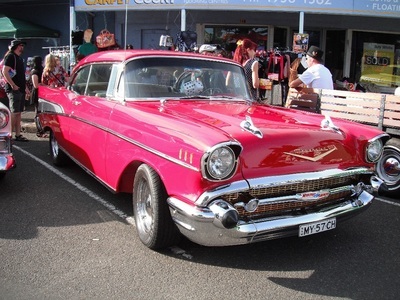 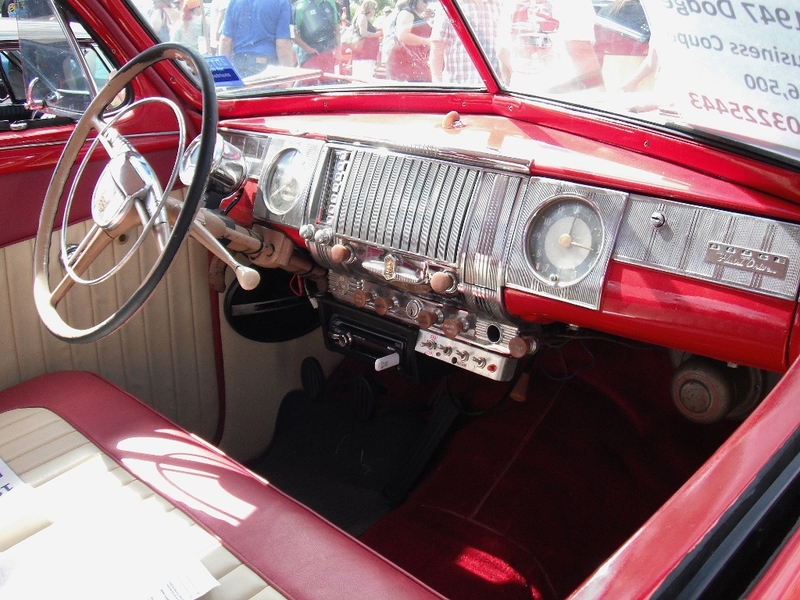 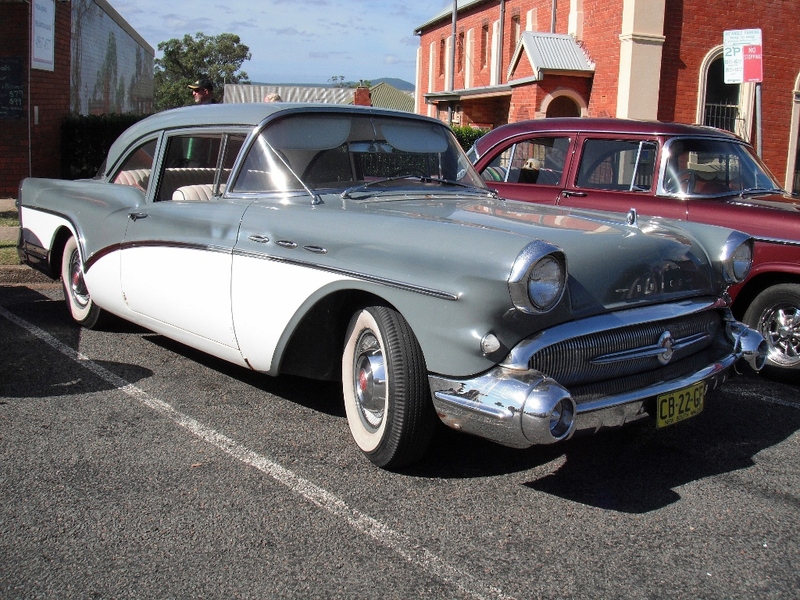 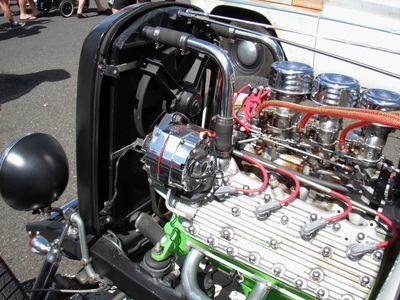 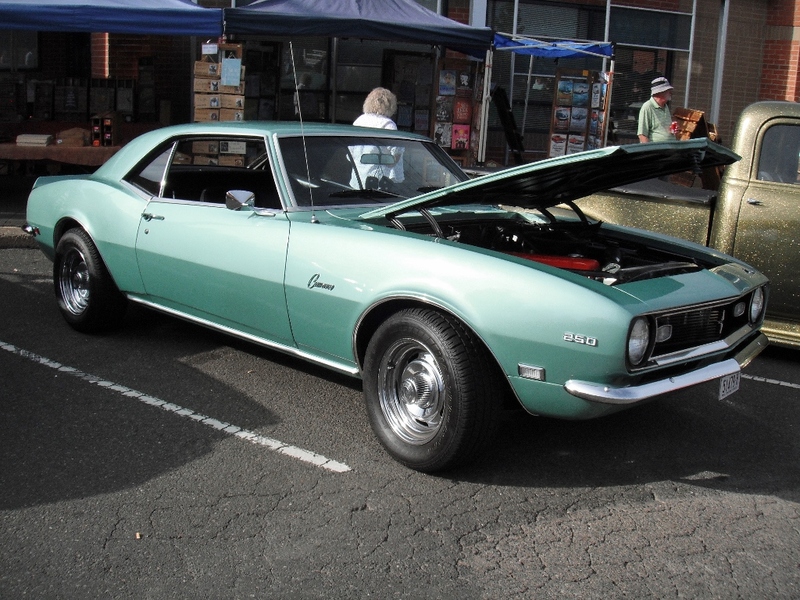 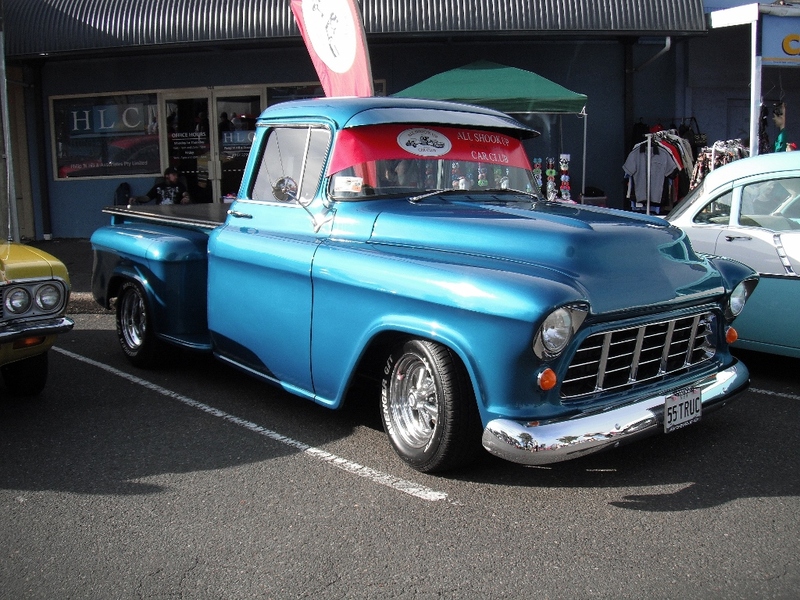 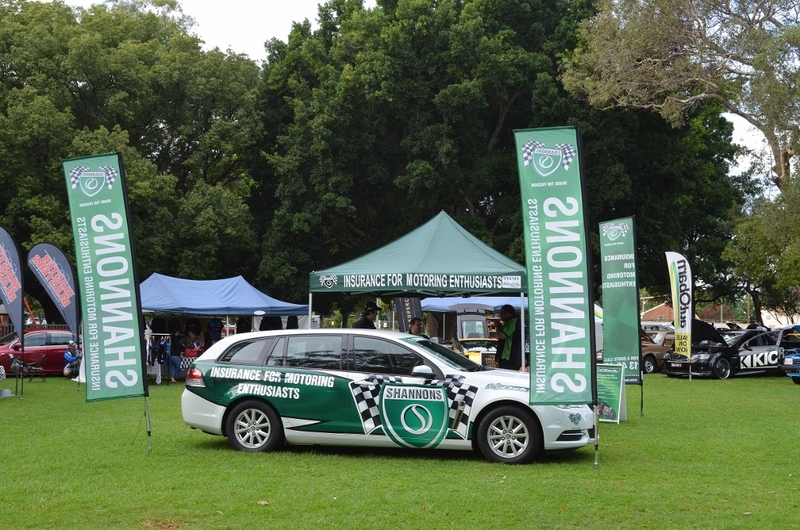 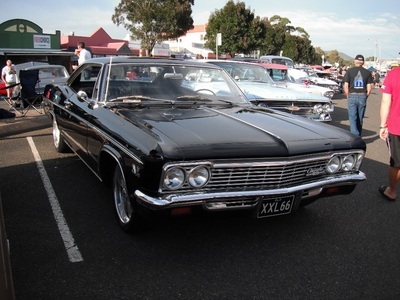 On Sunday there were over 500 cars on display including those parked at the school. 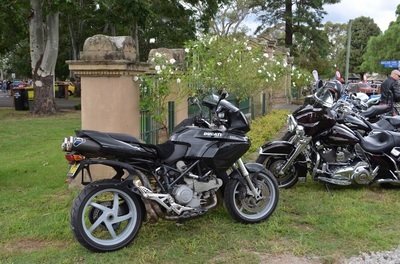 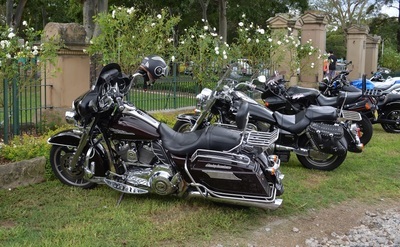 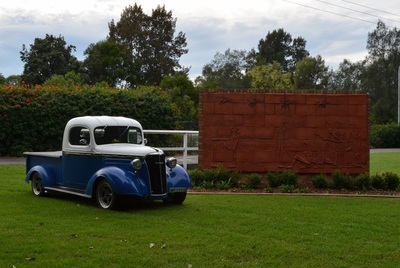 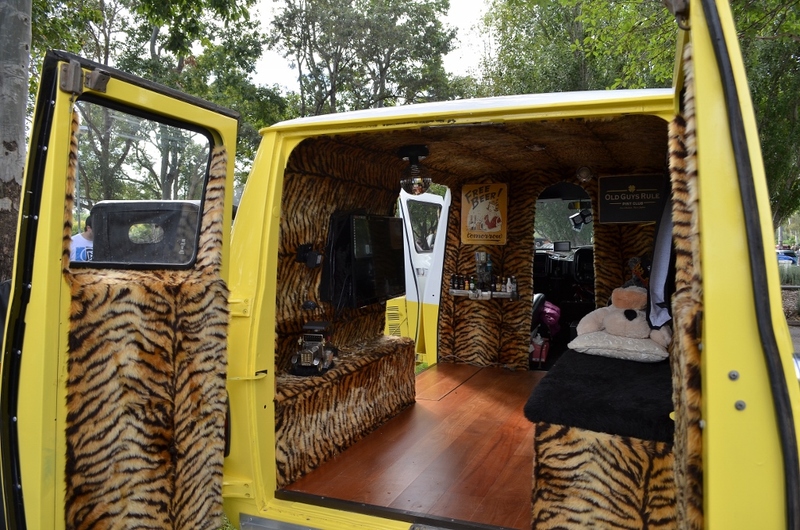 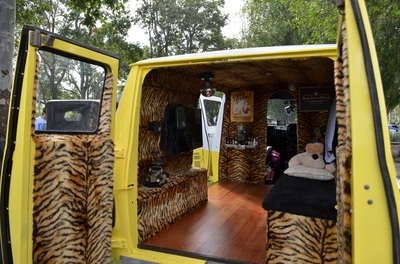 The public also came in droves making it one of the best events in the Hunter Valley. 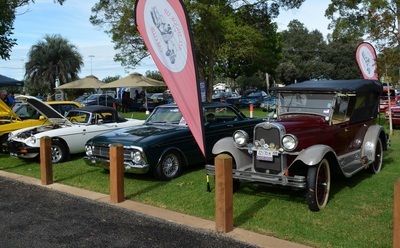 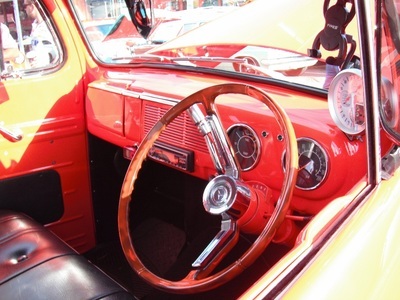 Lots to look at for those who enjoy a variety of cars and plenty of stalls to browse around or just sit and listen to the bands. 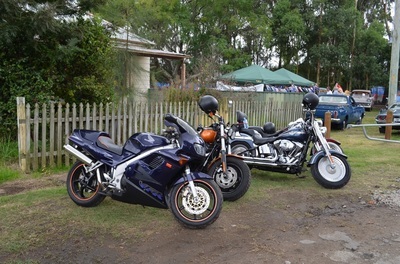 A great day out and thanks Mick for the pictures.